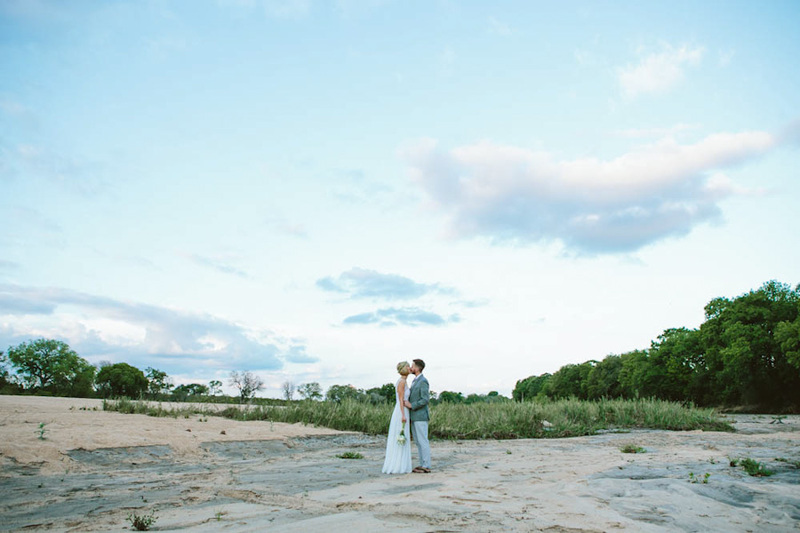 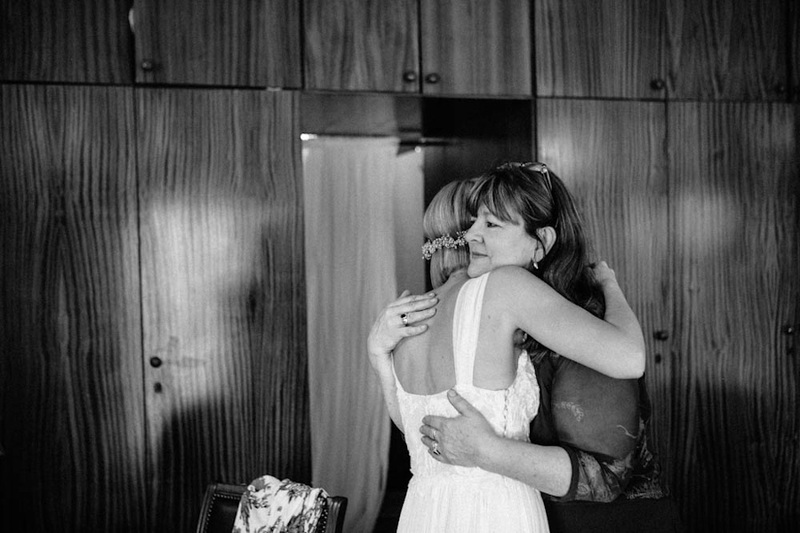 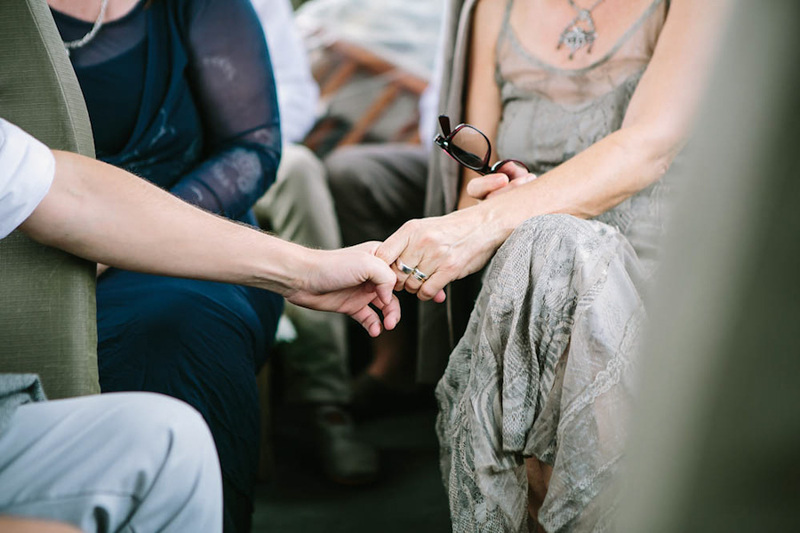 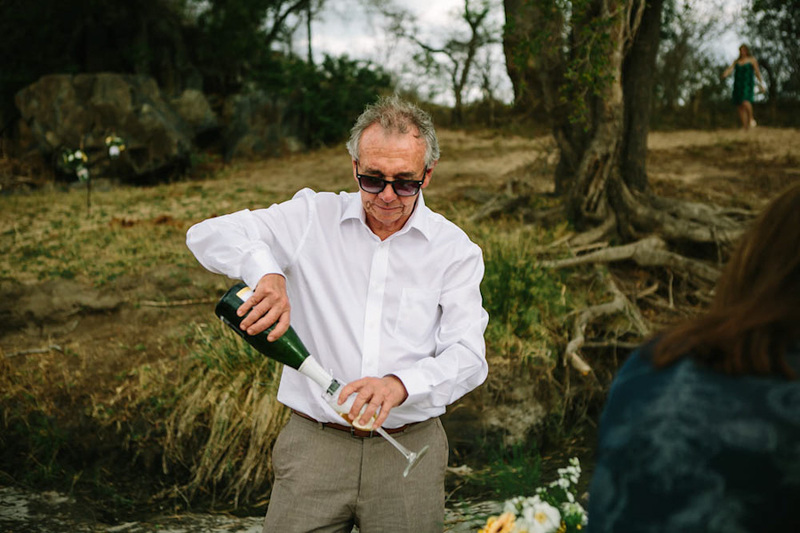 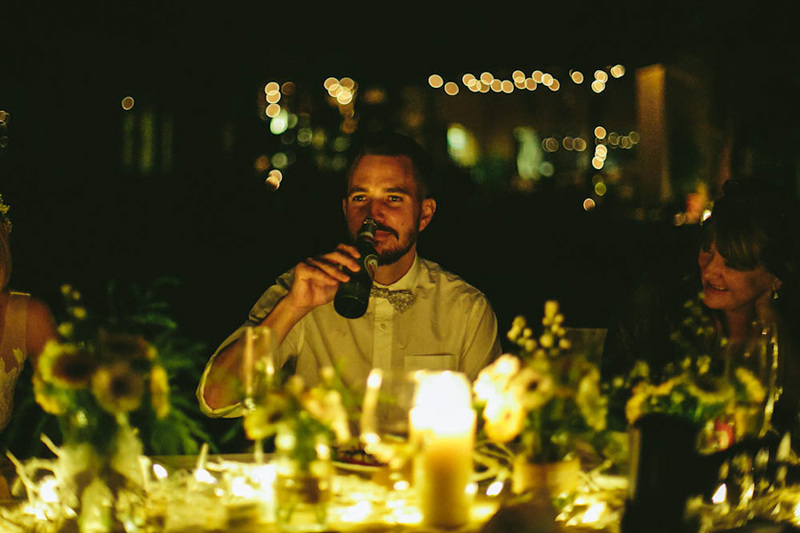 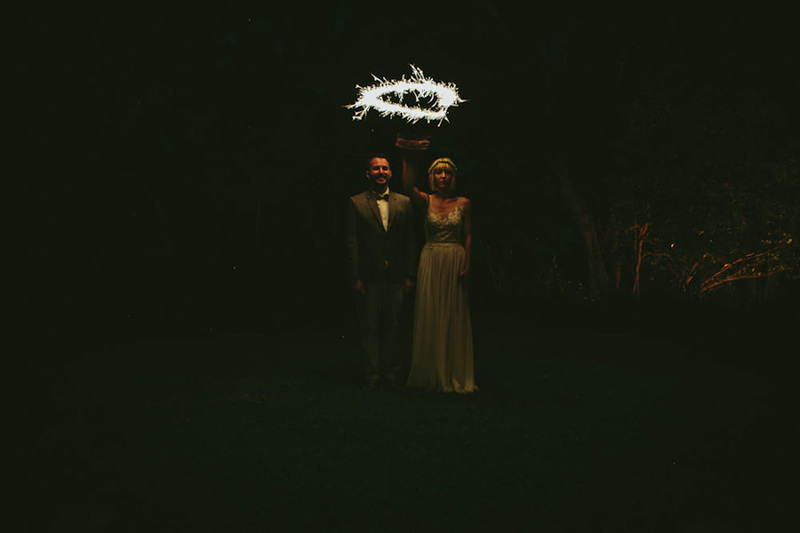 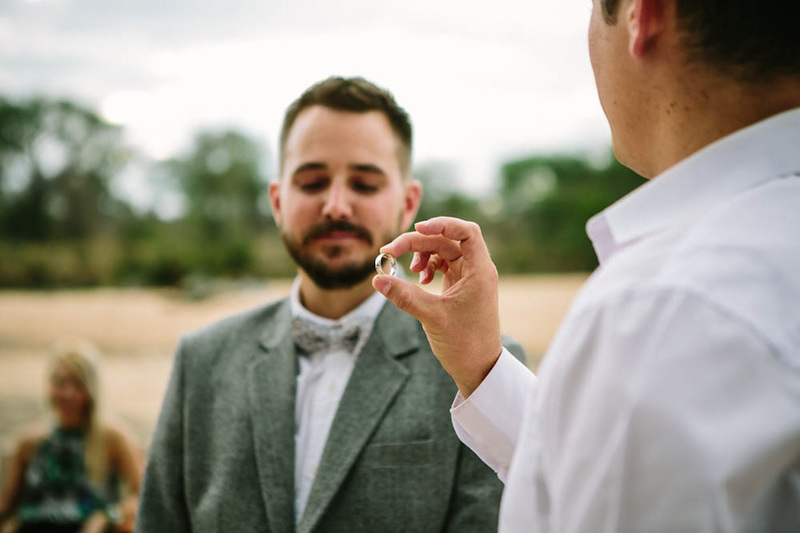 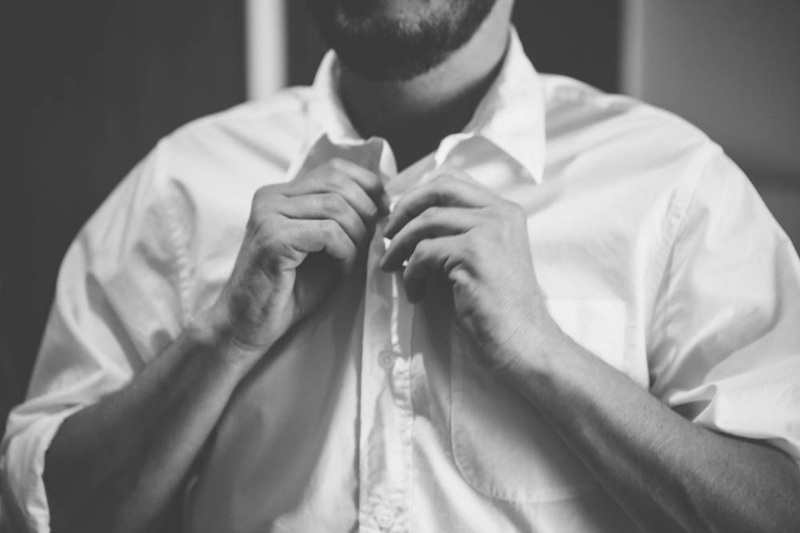 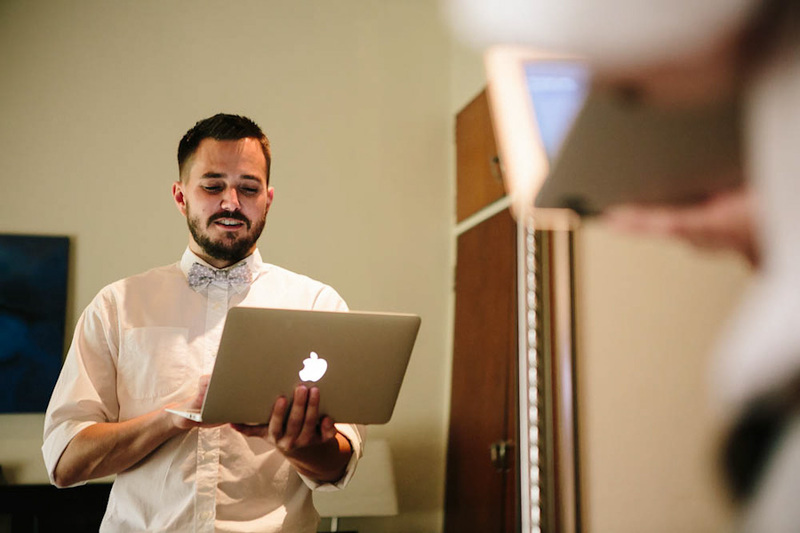 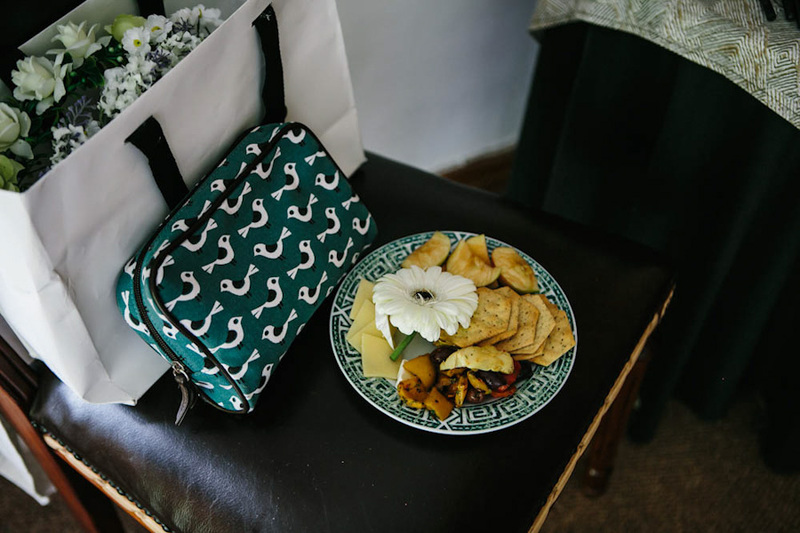 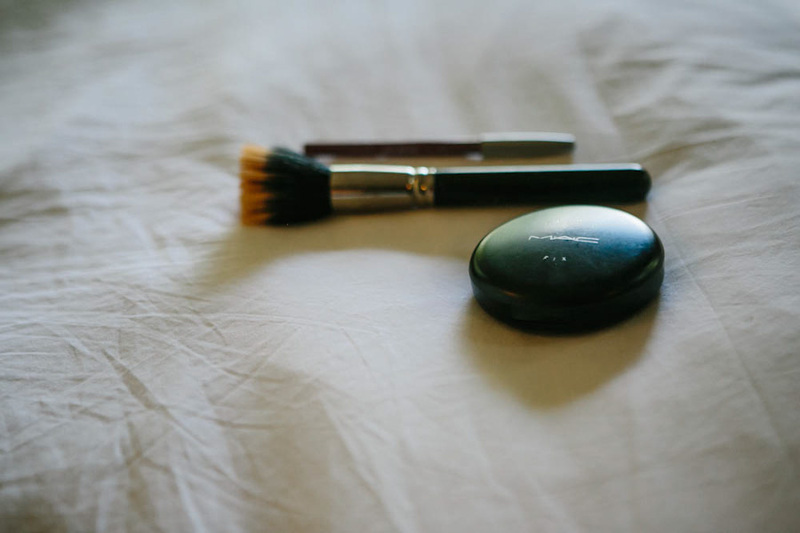 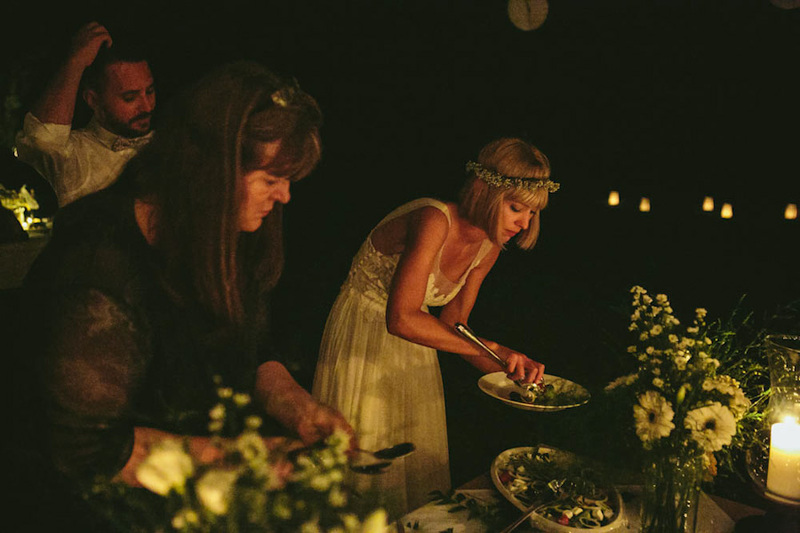 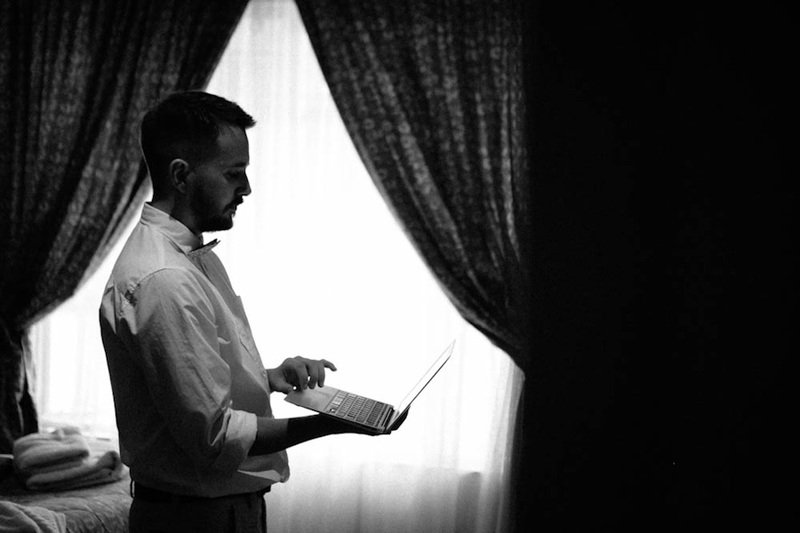 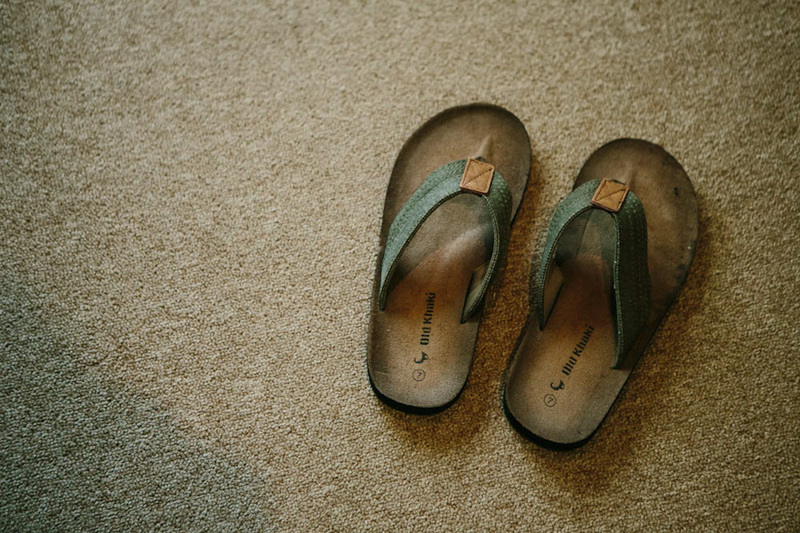 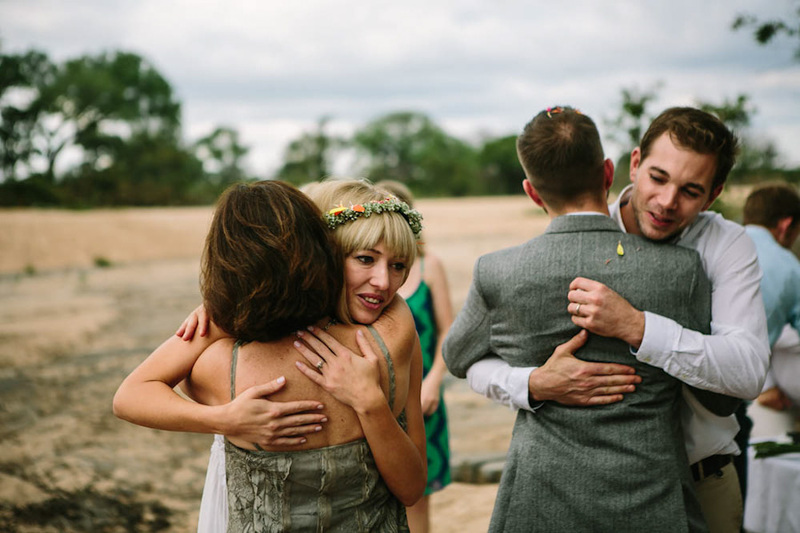 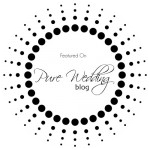 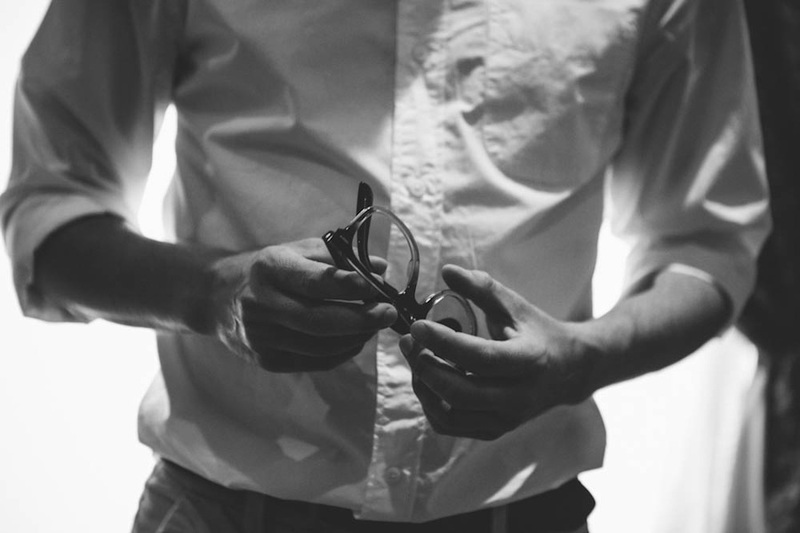 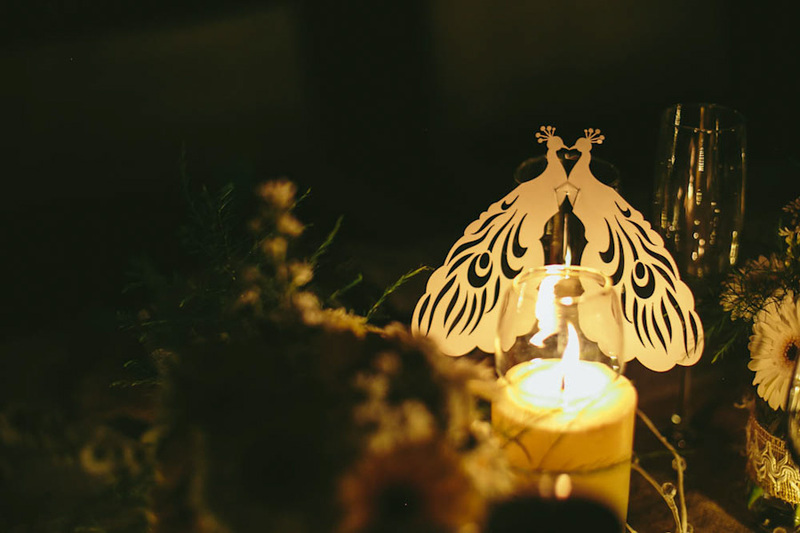 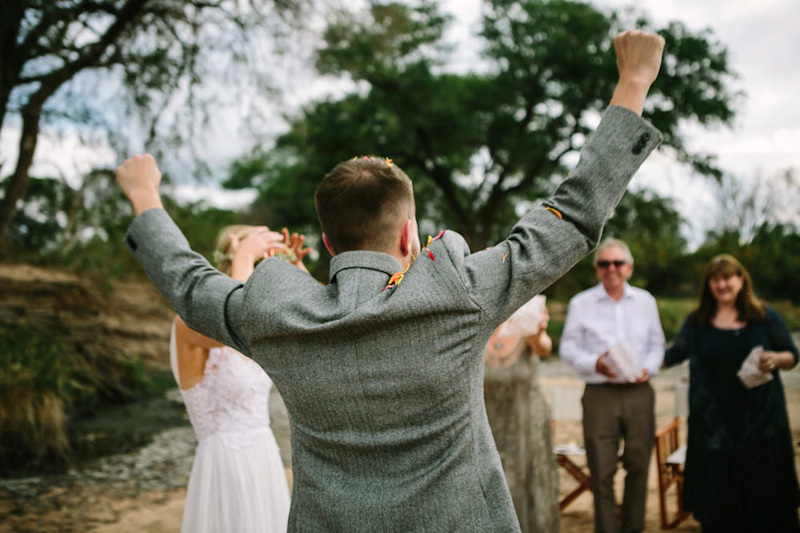 Apologies in advance for so much writing in this post, but there is so much that needs saying and if I succeed at only a fraction of it, that will be impressive as this was truly one of those magical weddings that fills our hearts with love for what we do. 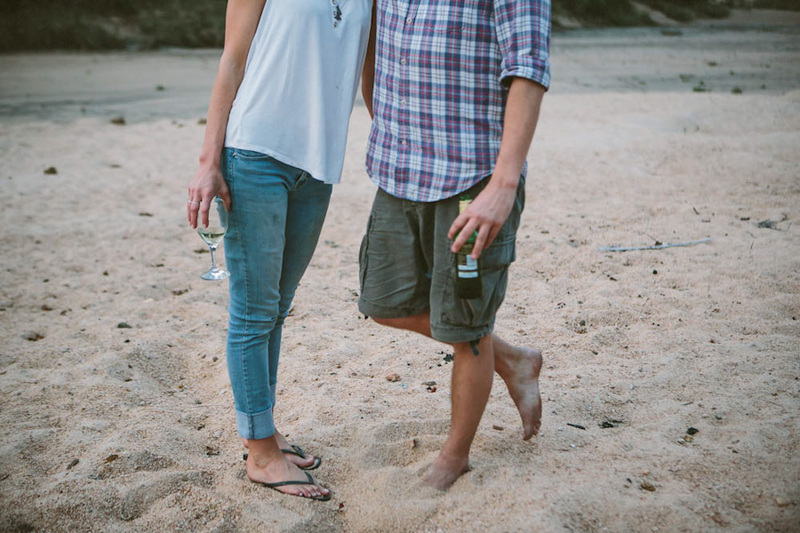 Kerryn and Jeff have been friends of friends we have kinda known for years. 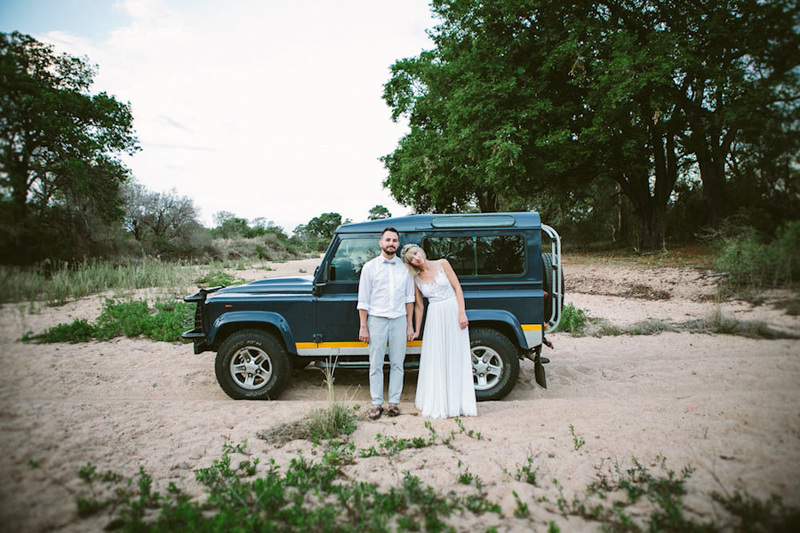 Then they bought a Landy (named Andy- our Landy is named Murray) and travelled around Africa and even got engaged in Nepal (just like us). 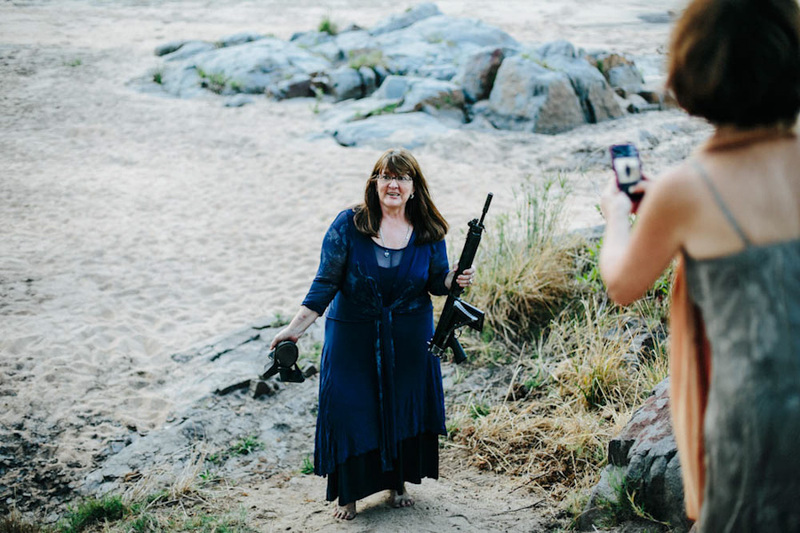 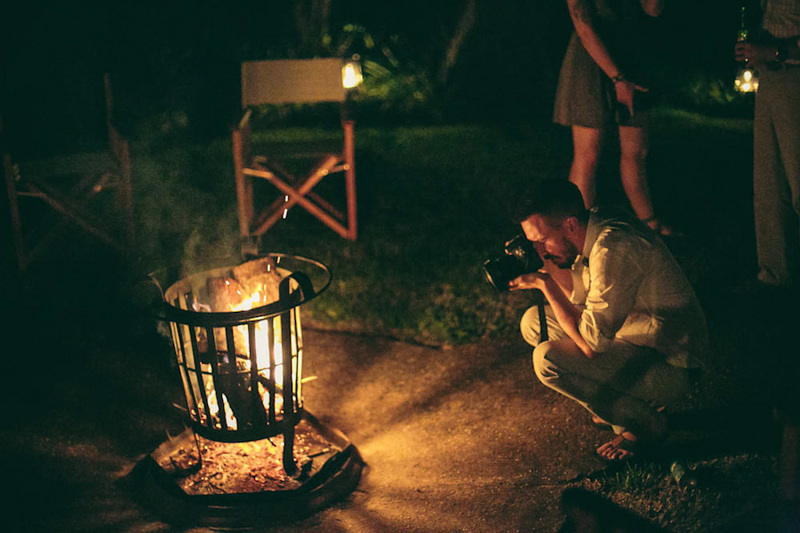 When they made an awesome website with amazing photos documenting their adventures we knew these were people we should be friends with. 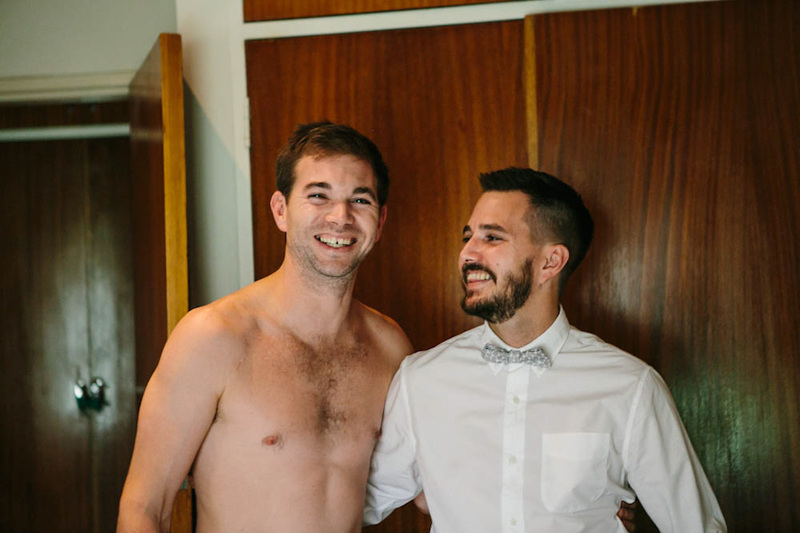 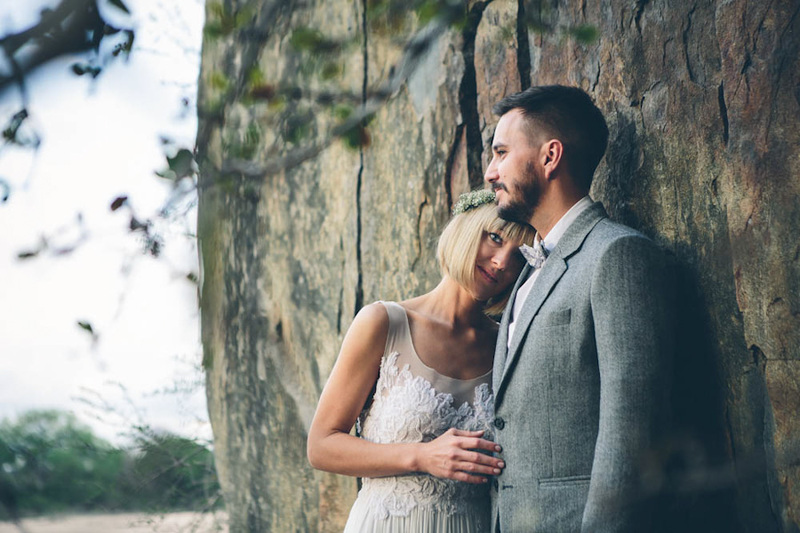 So when they asked us to be involved and document their two unique weddings we were super stoked and even more keen! 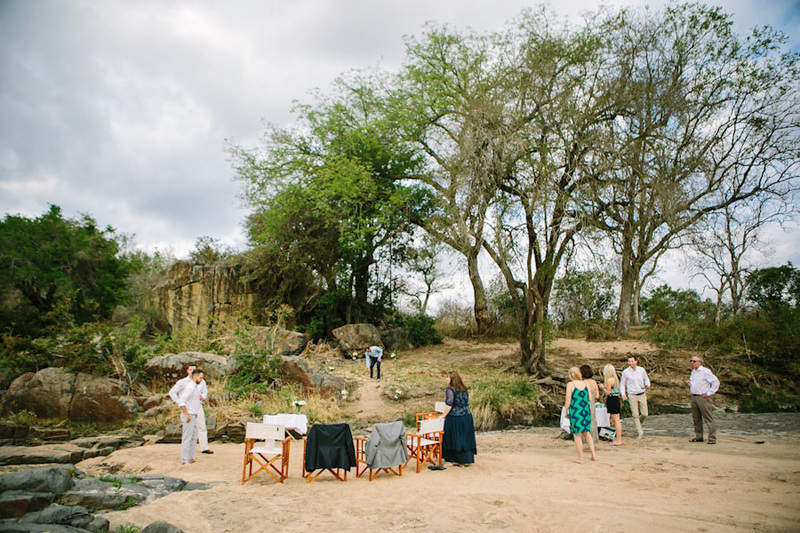 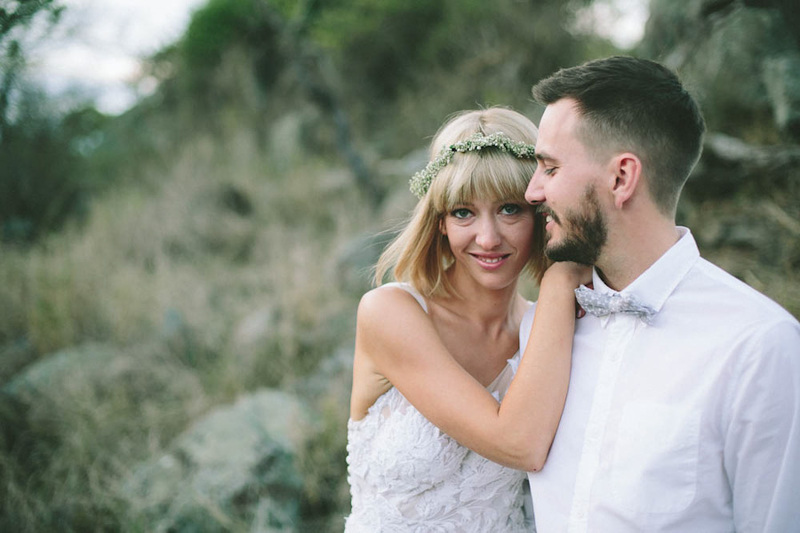 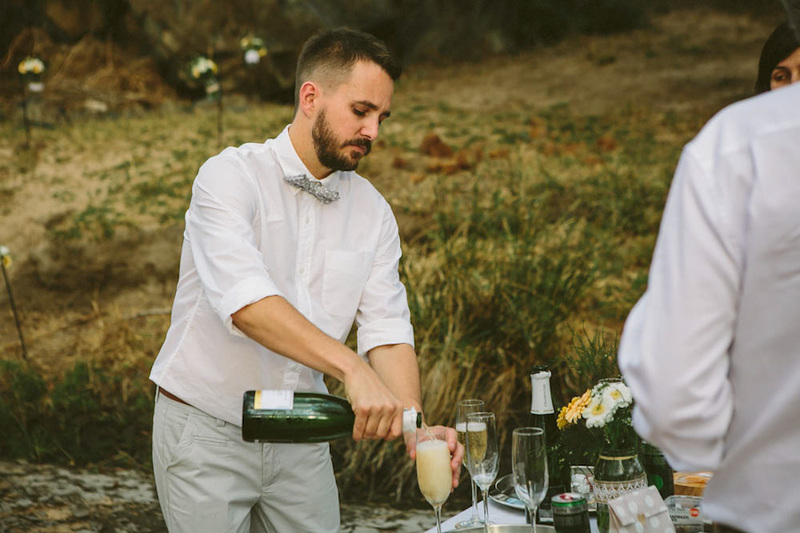 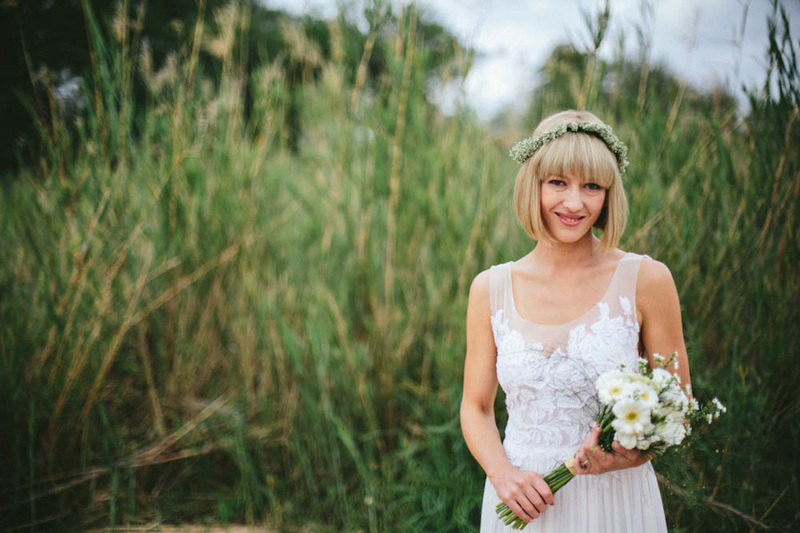 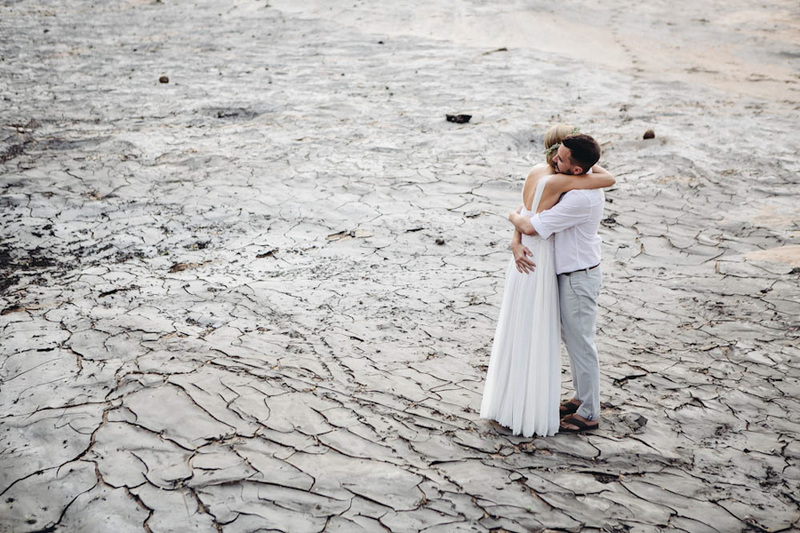 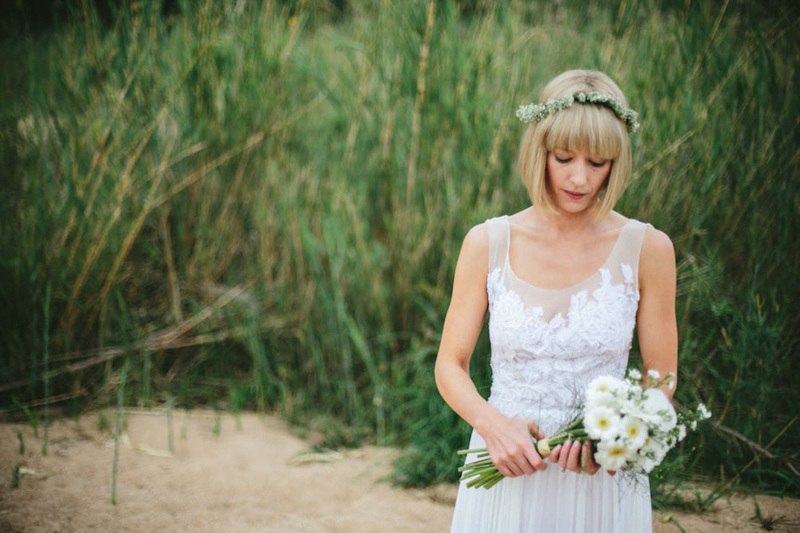 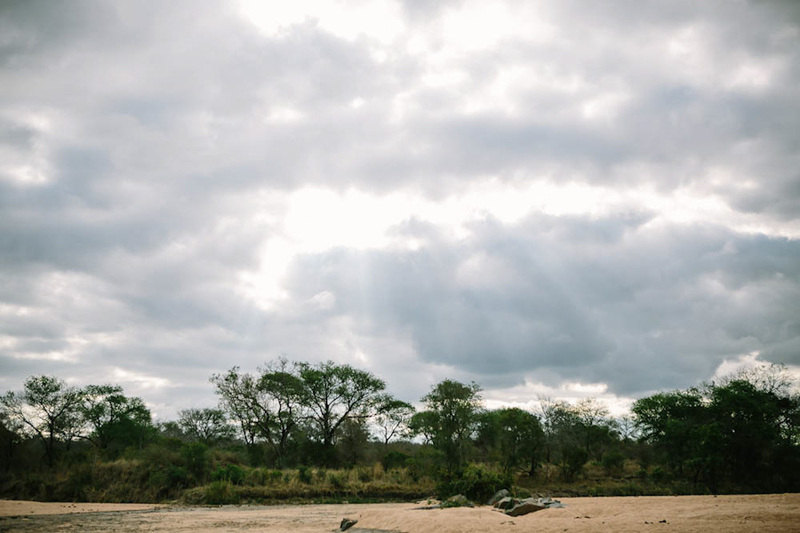 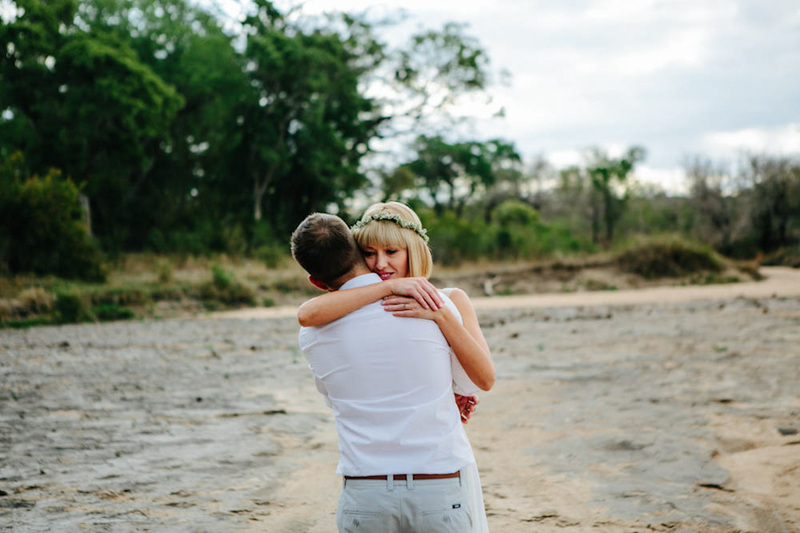 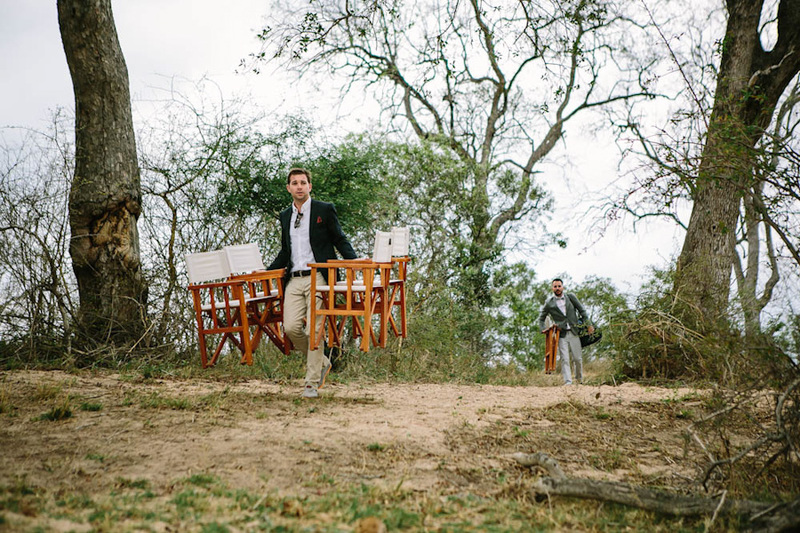 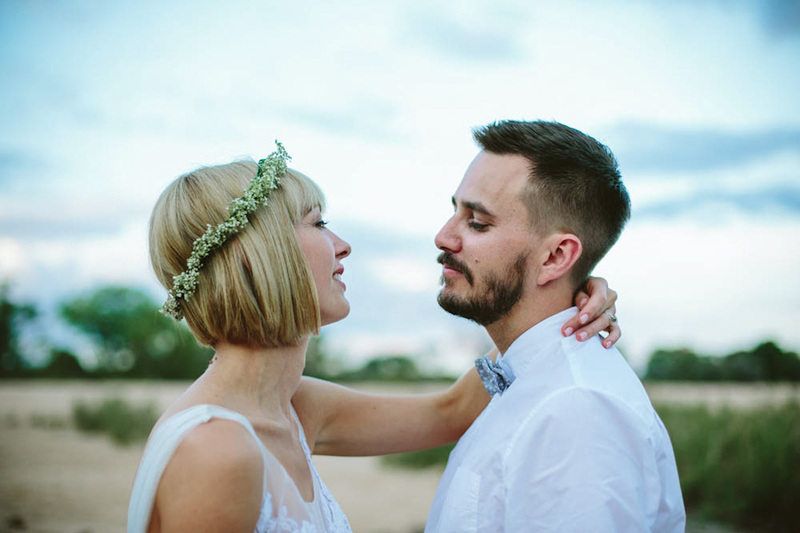 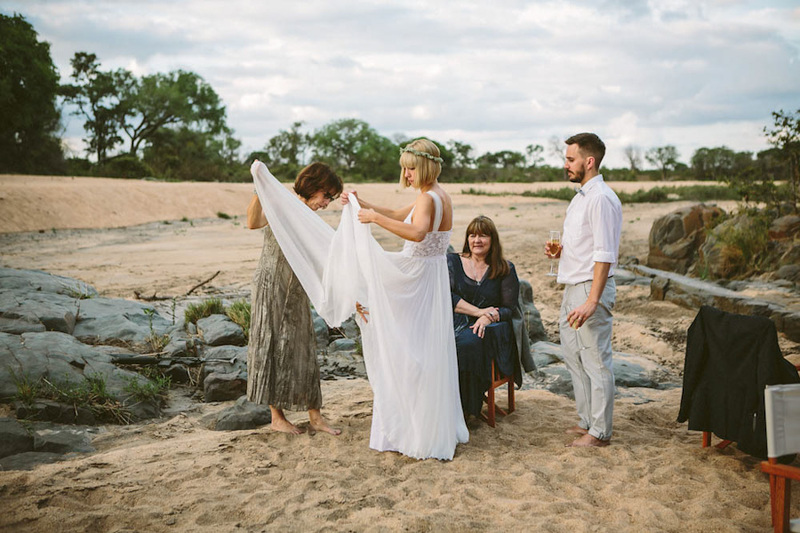 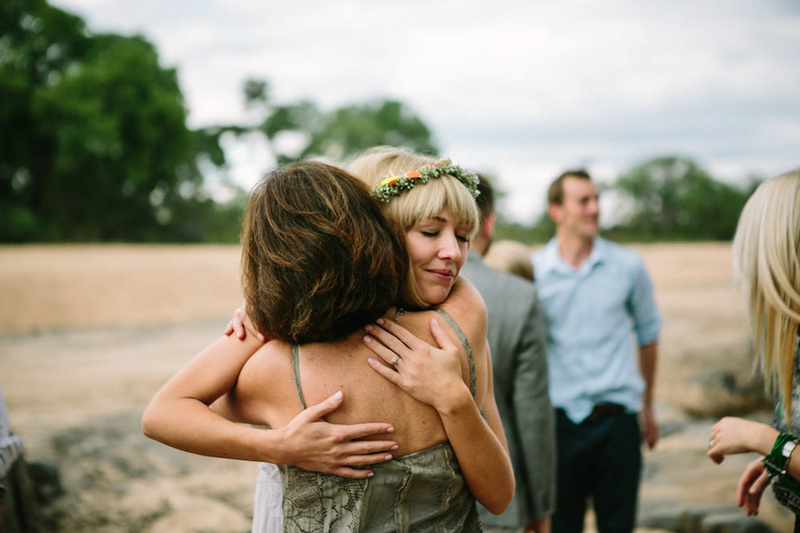 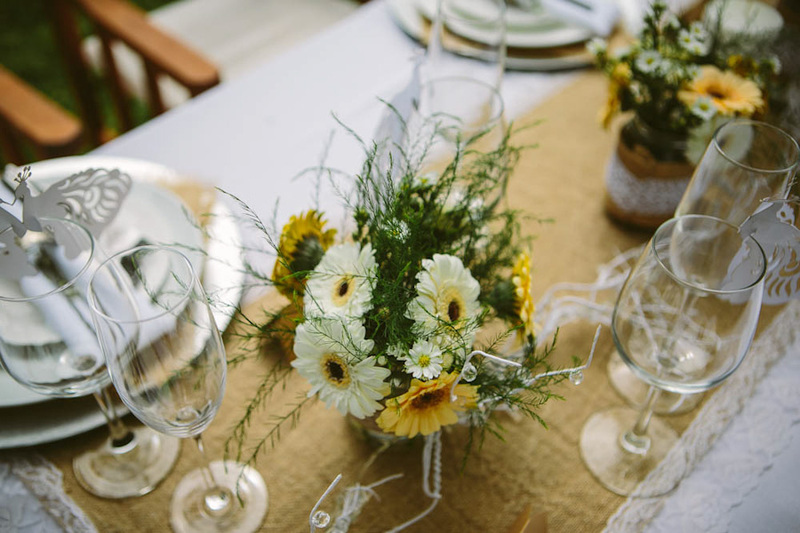 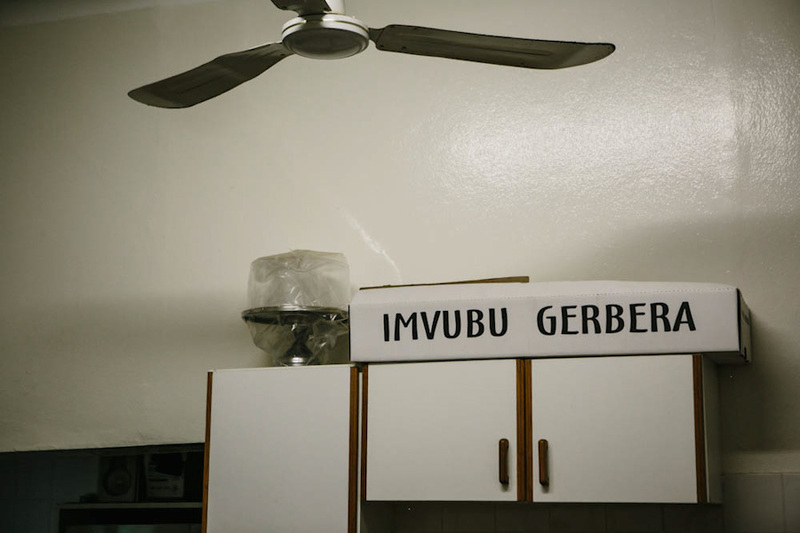 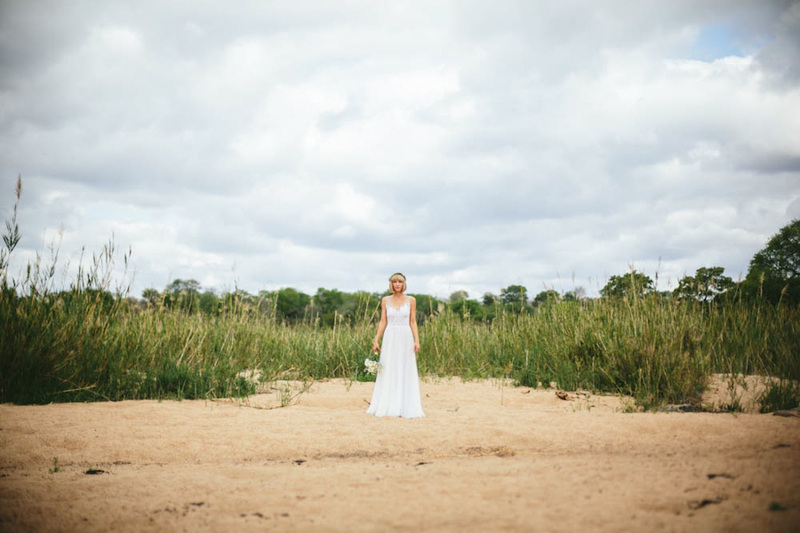 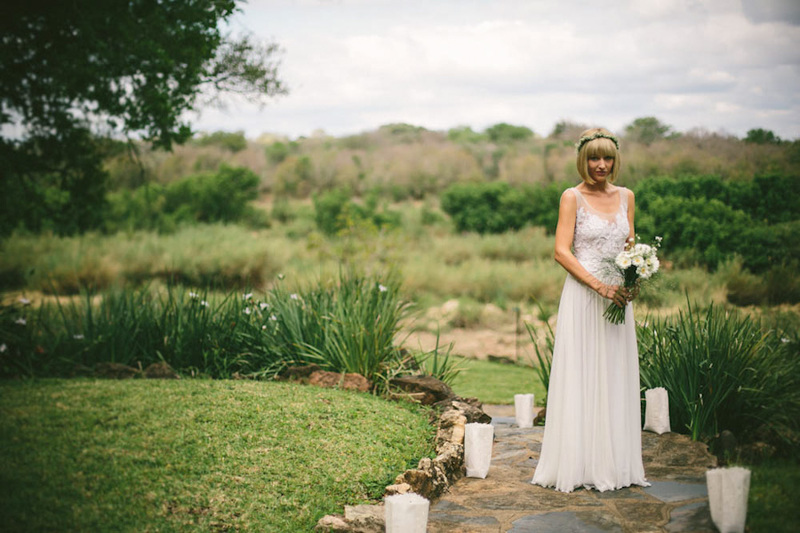 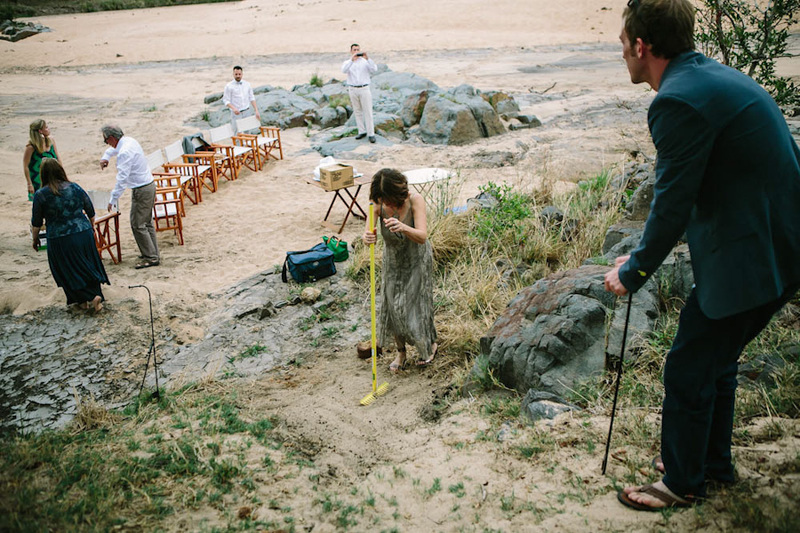 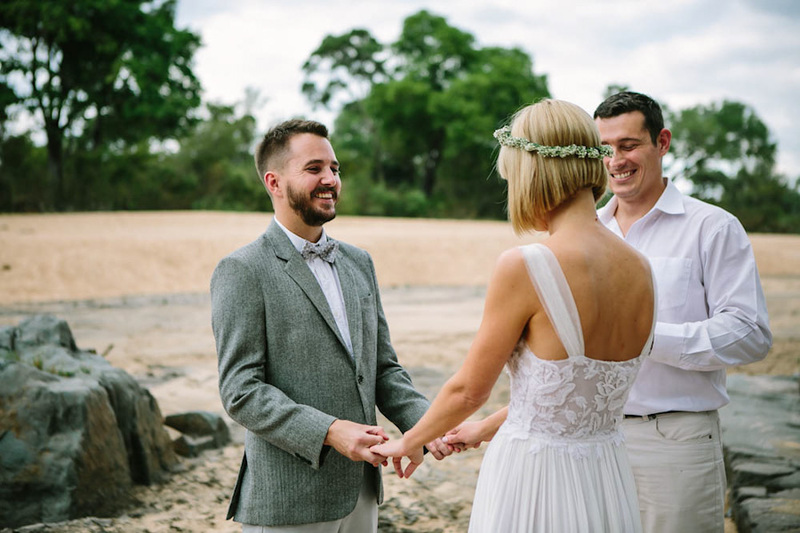 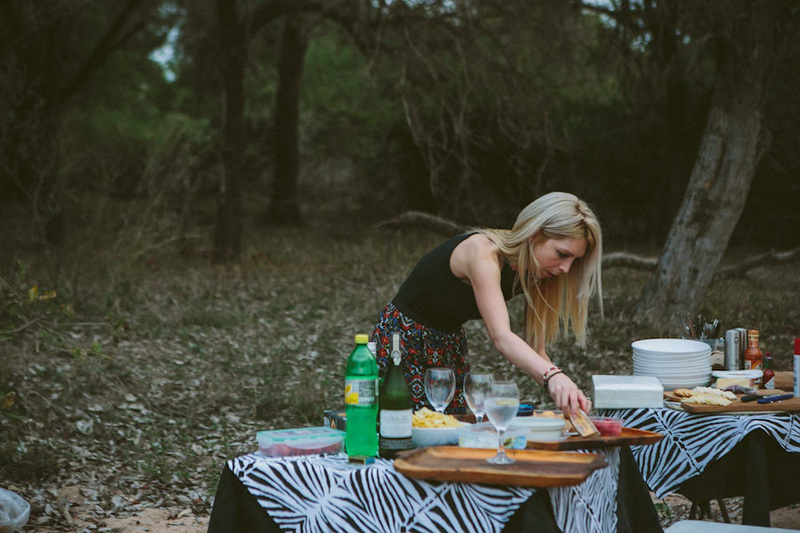 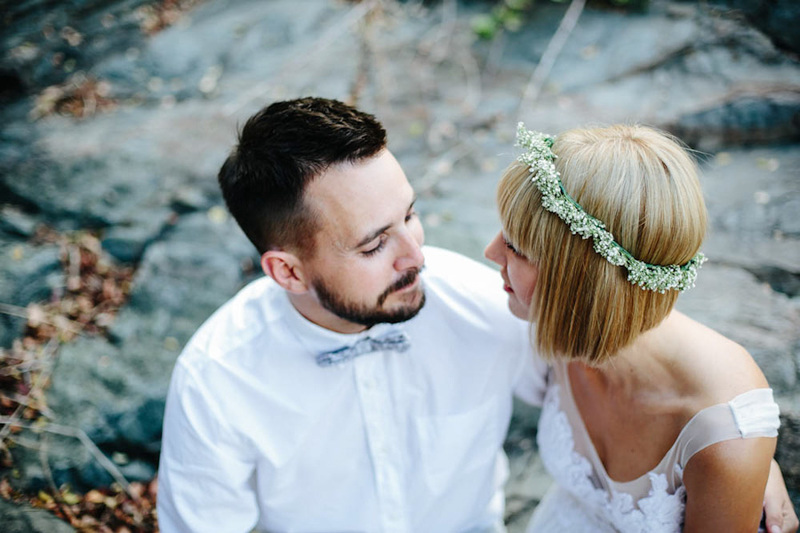 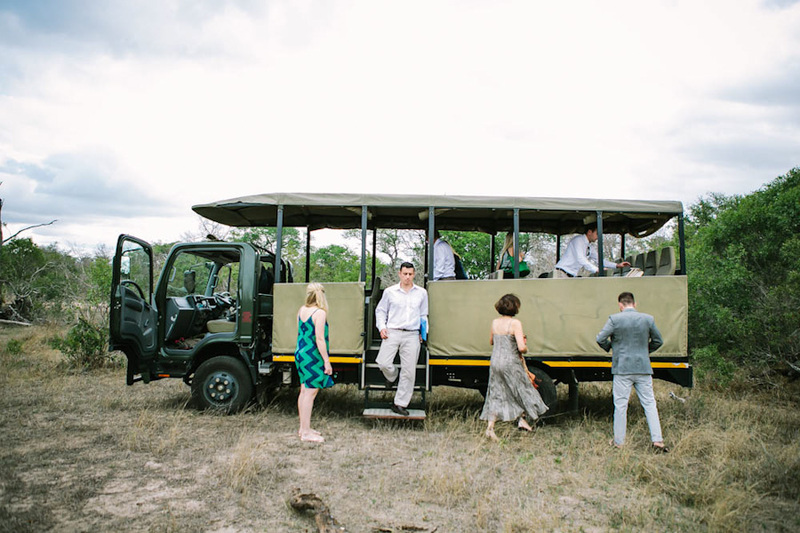 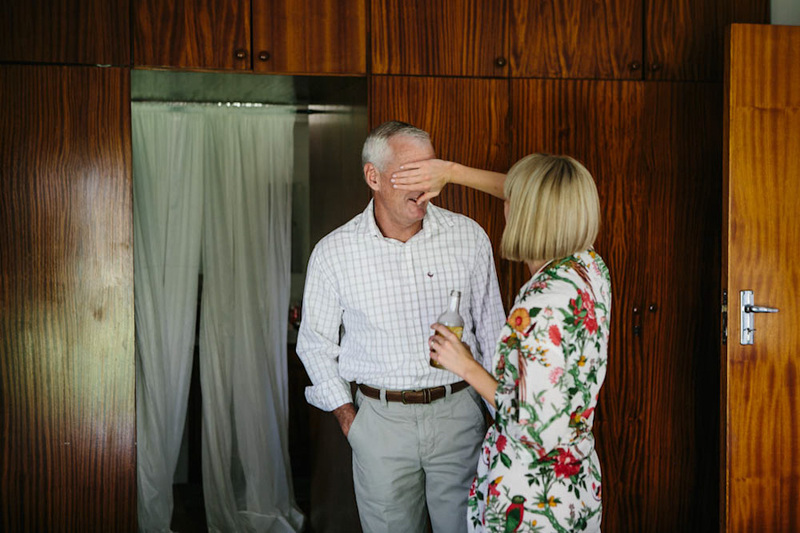 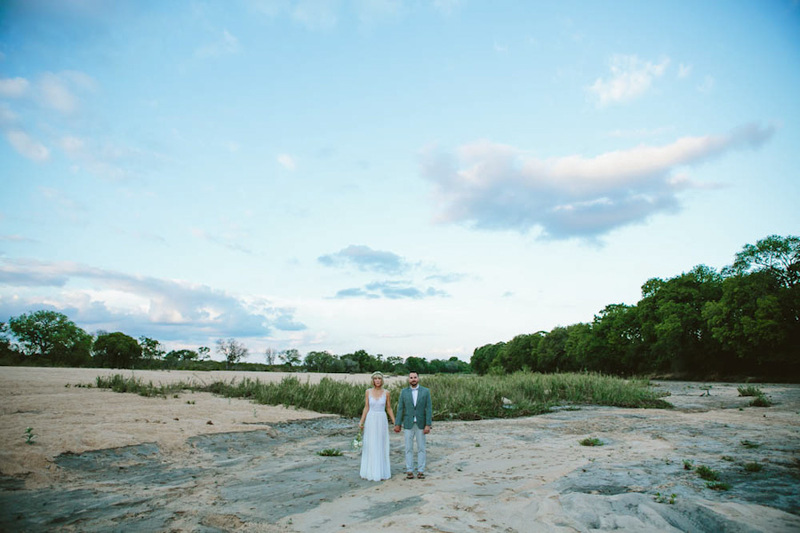 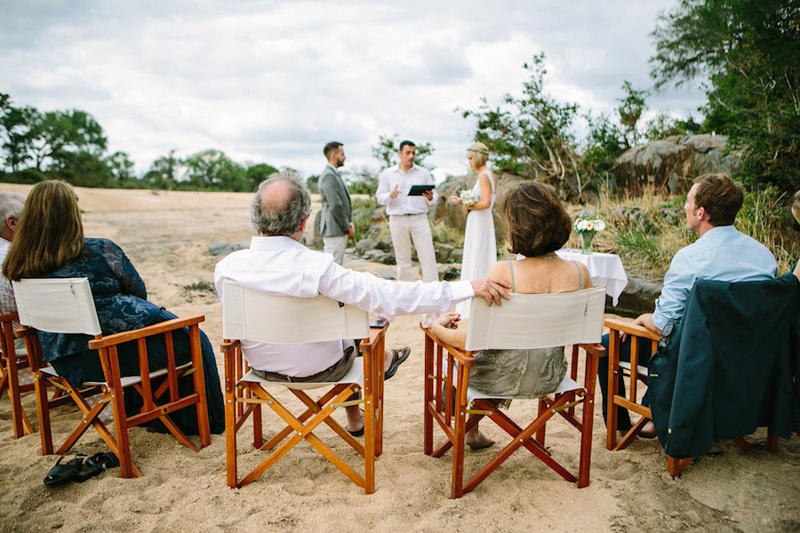 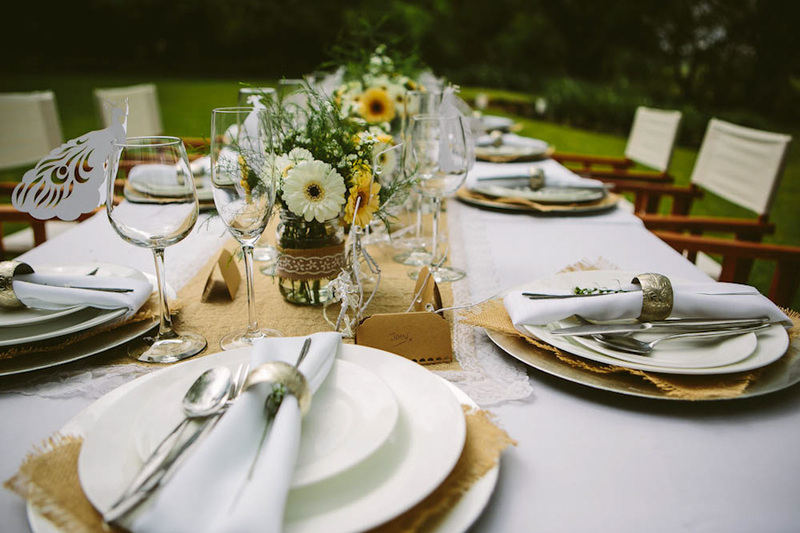 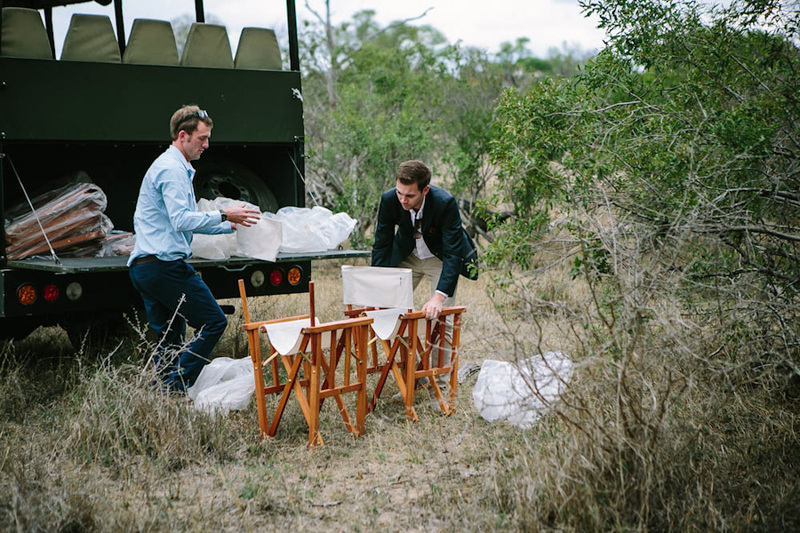 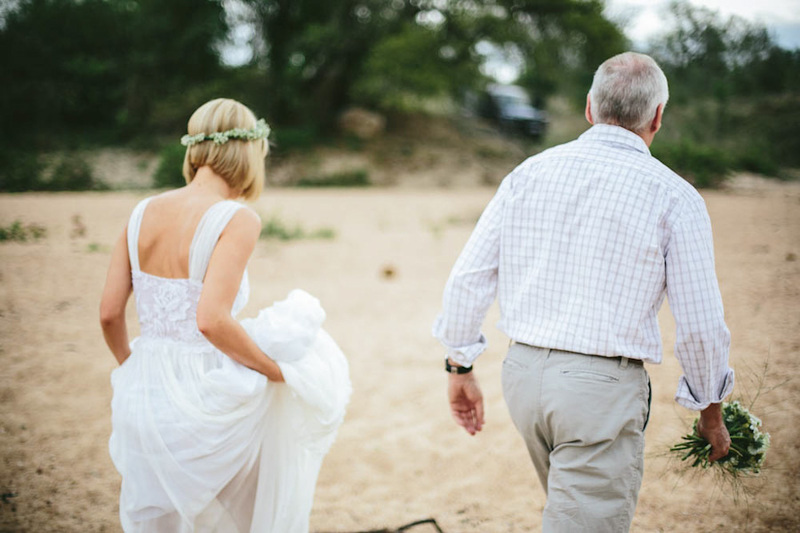 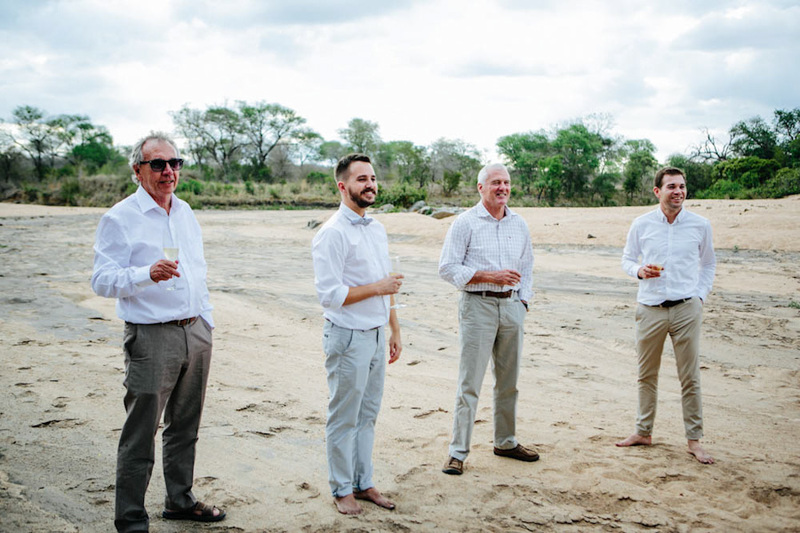 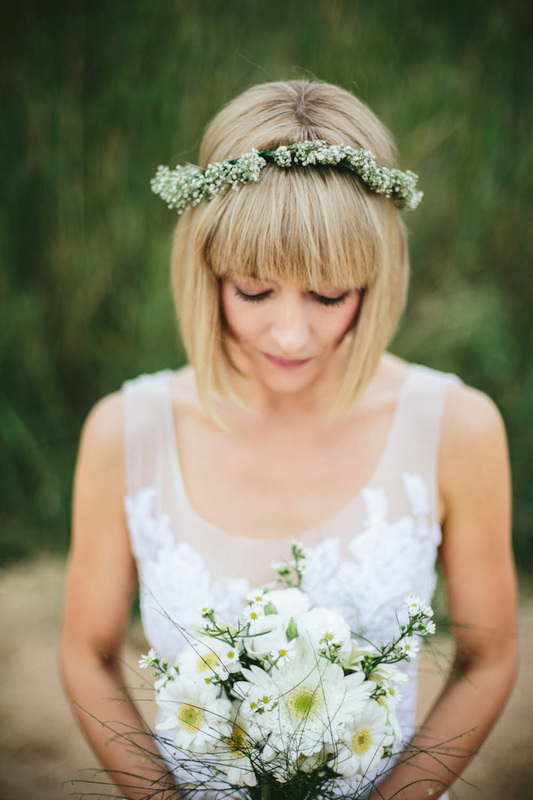 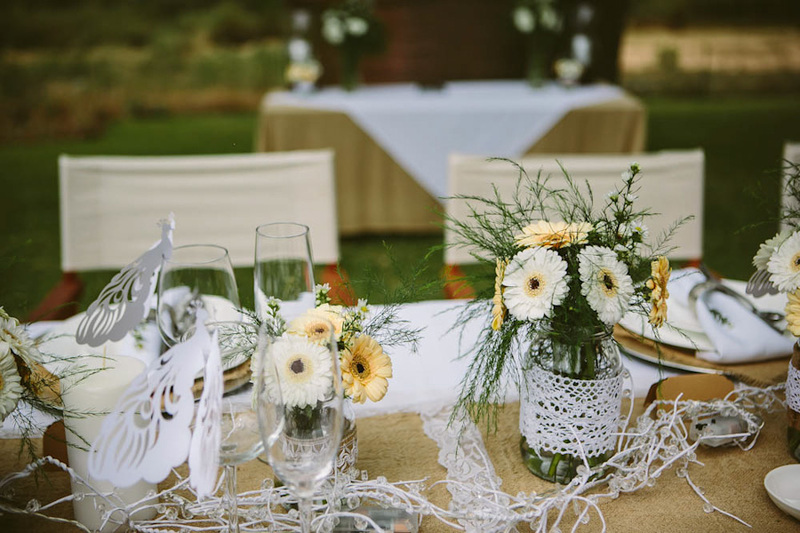 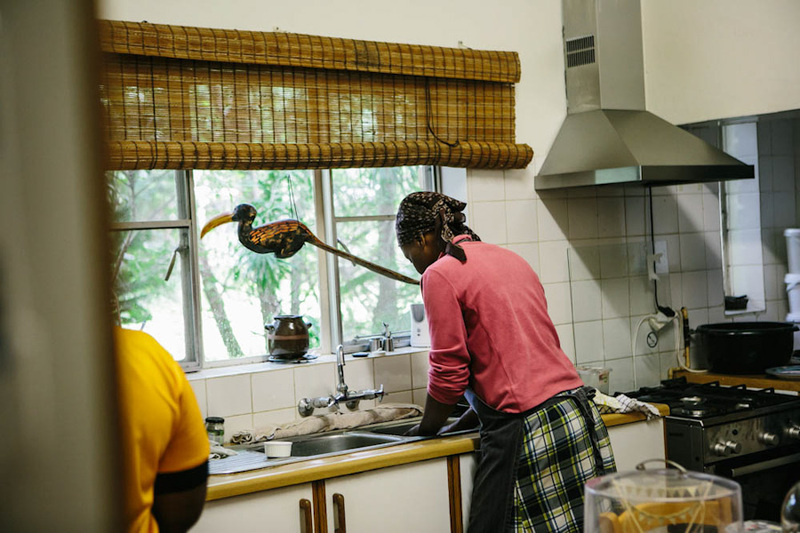 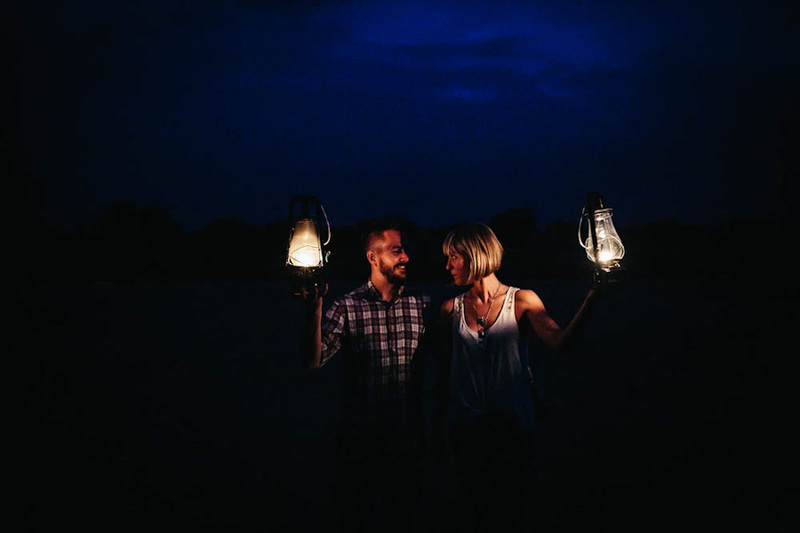 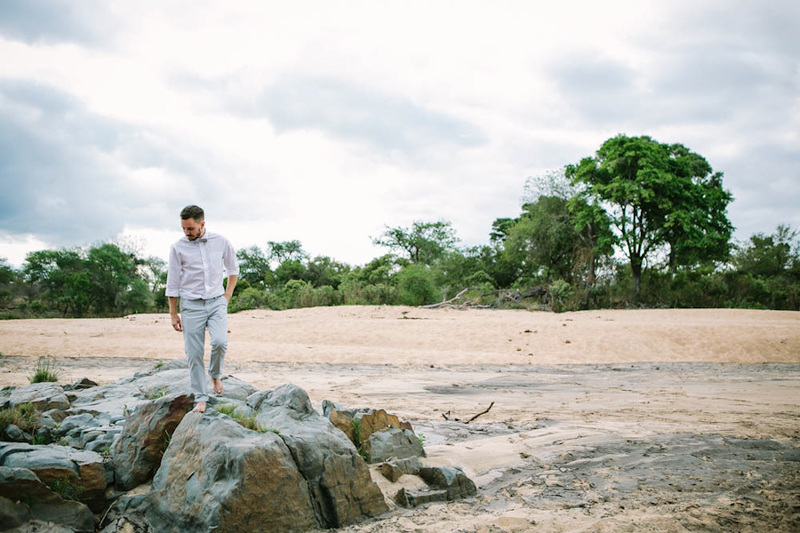 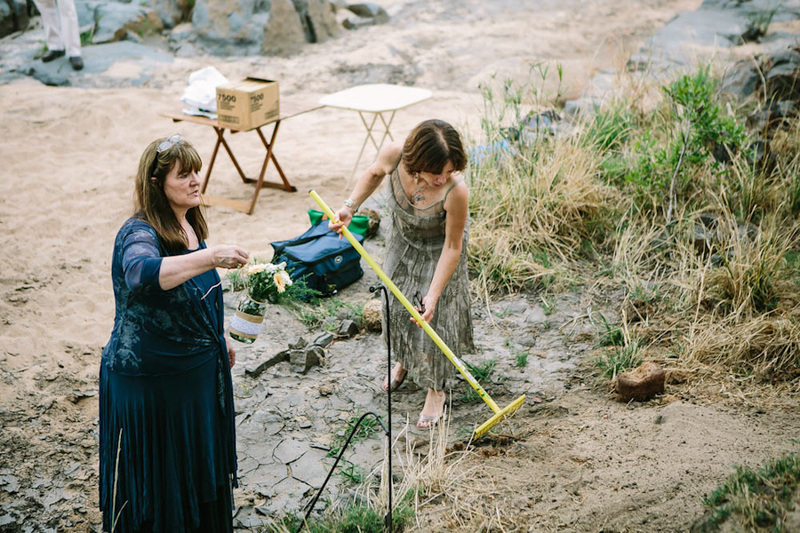 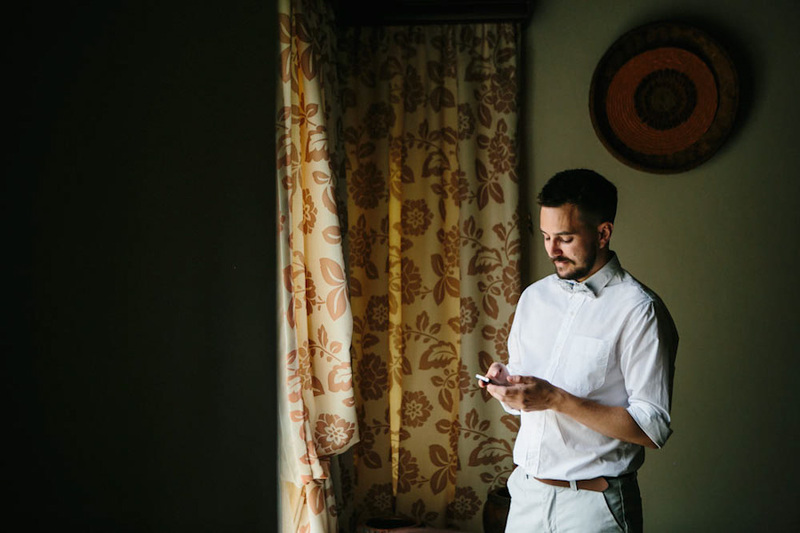 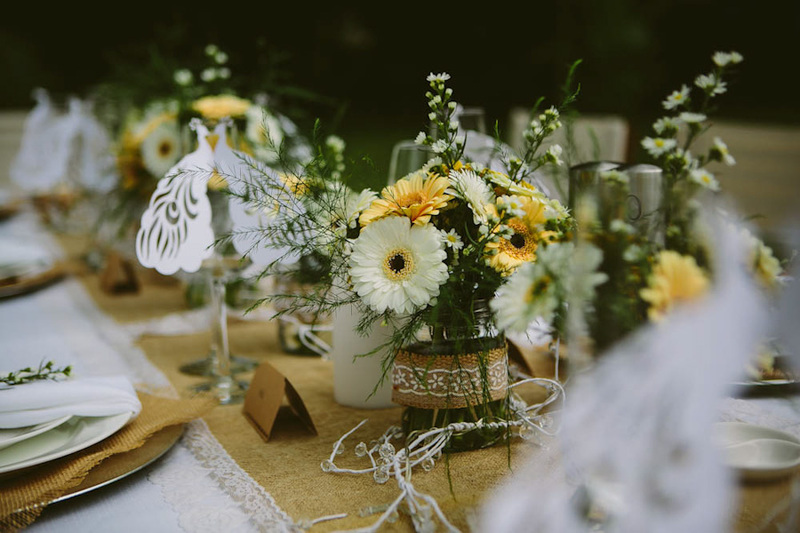 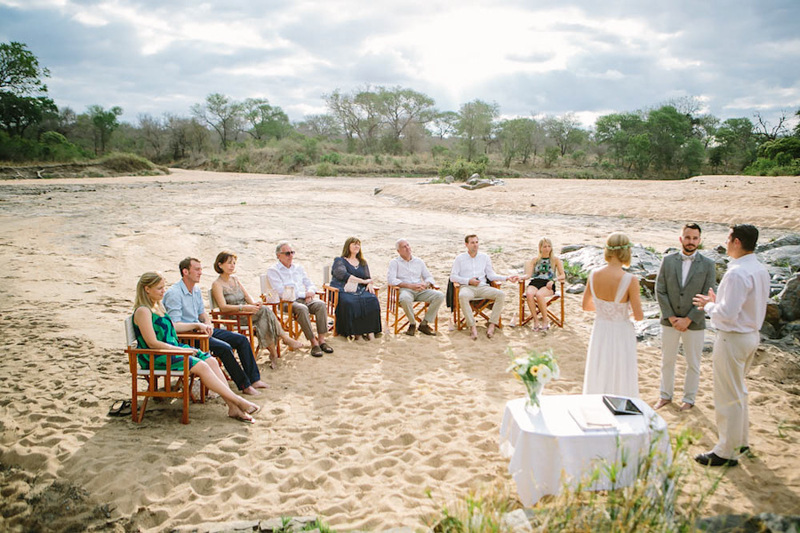 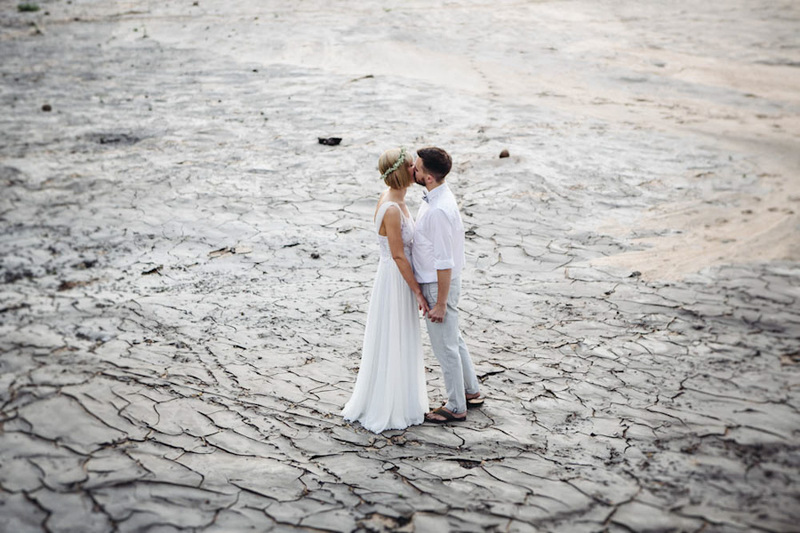 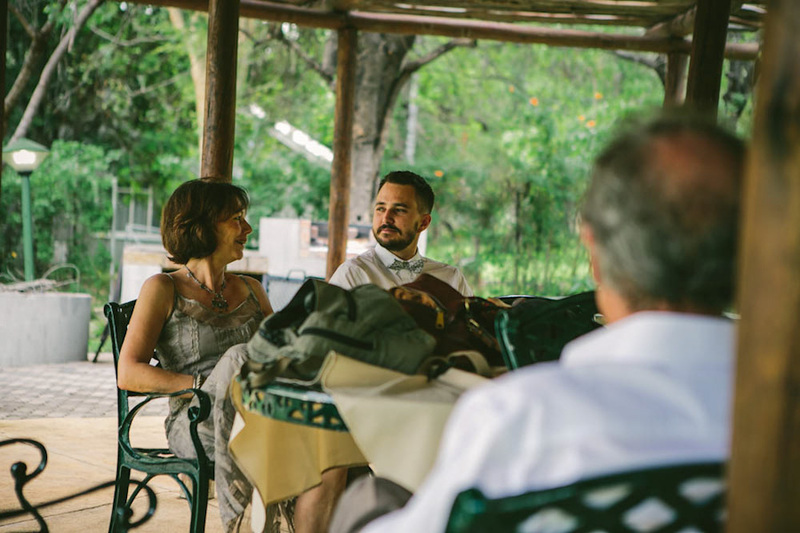 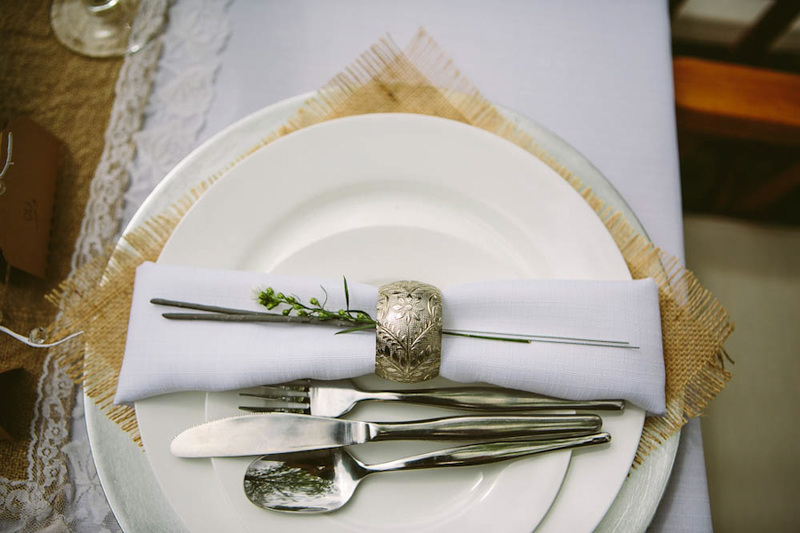 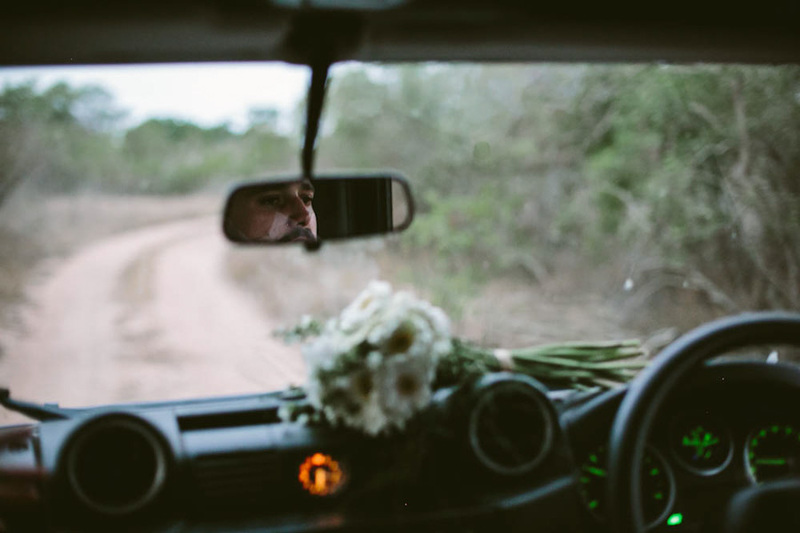 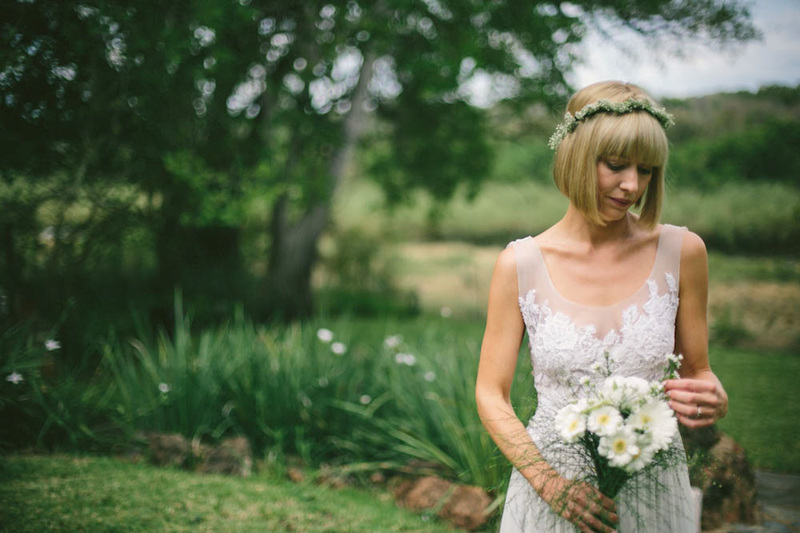 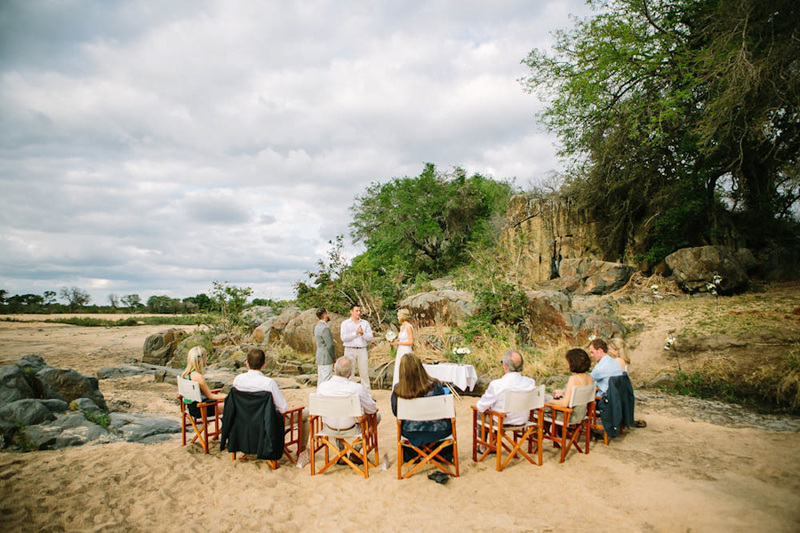 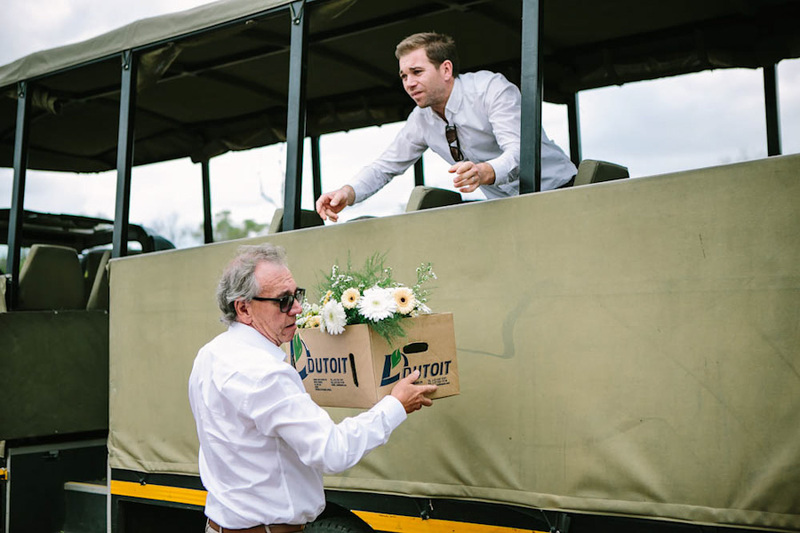 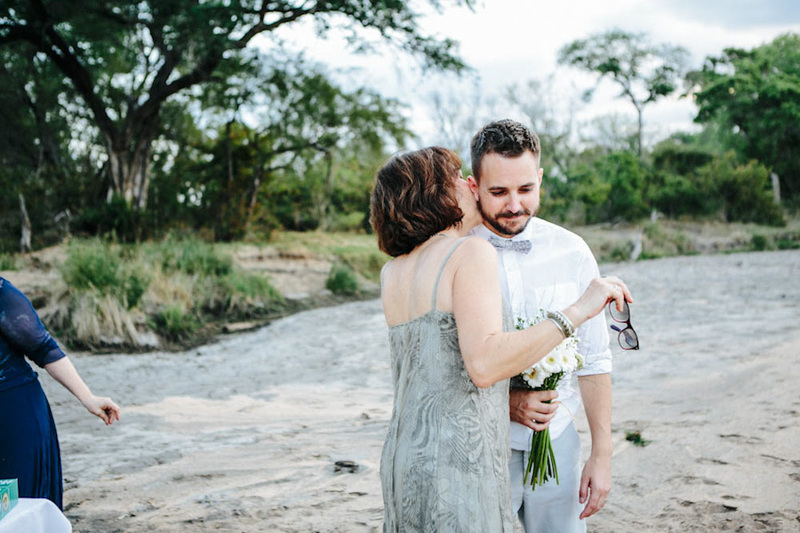 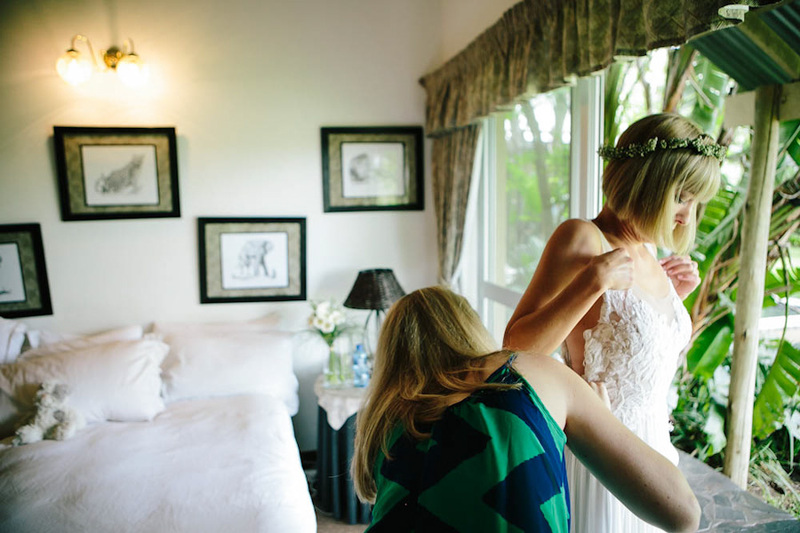 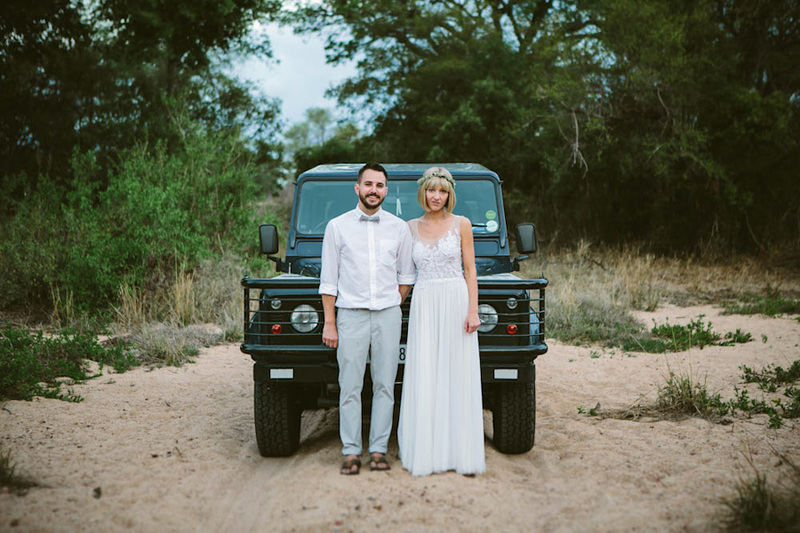 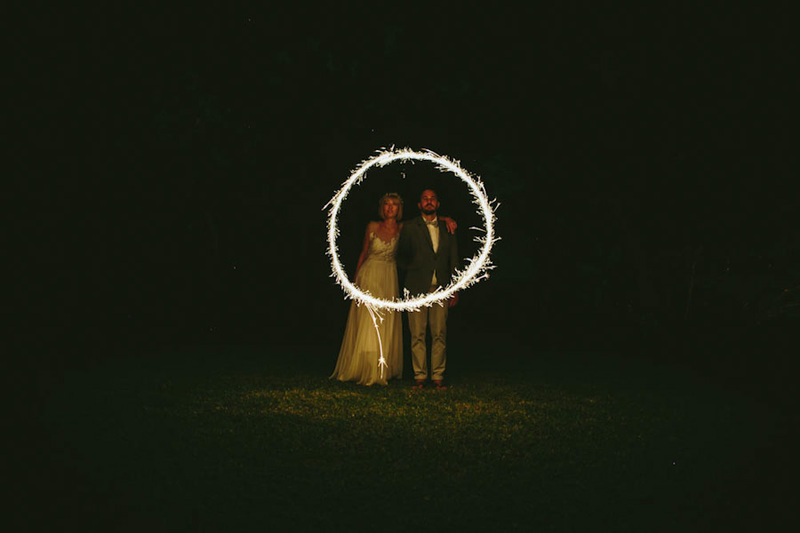 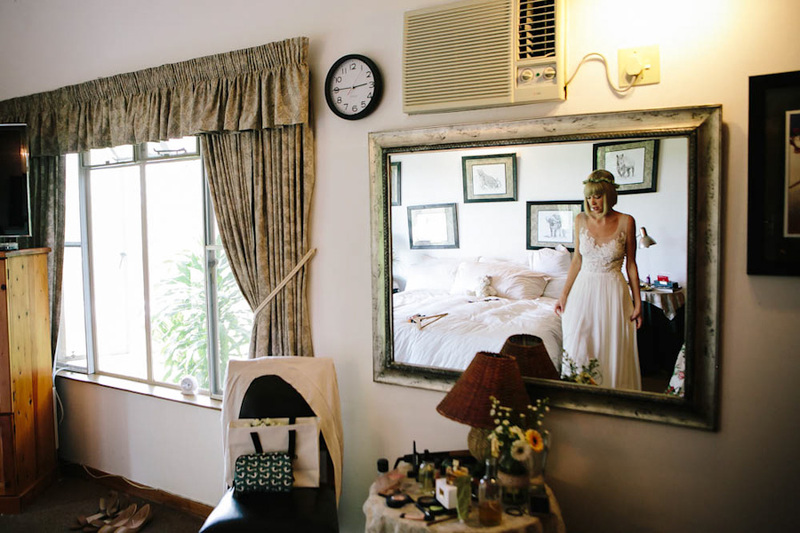 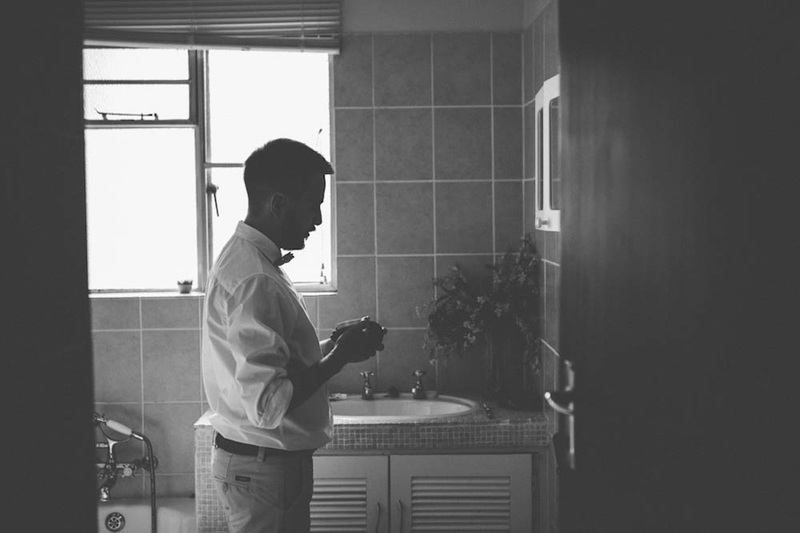 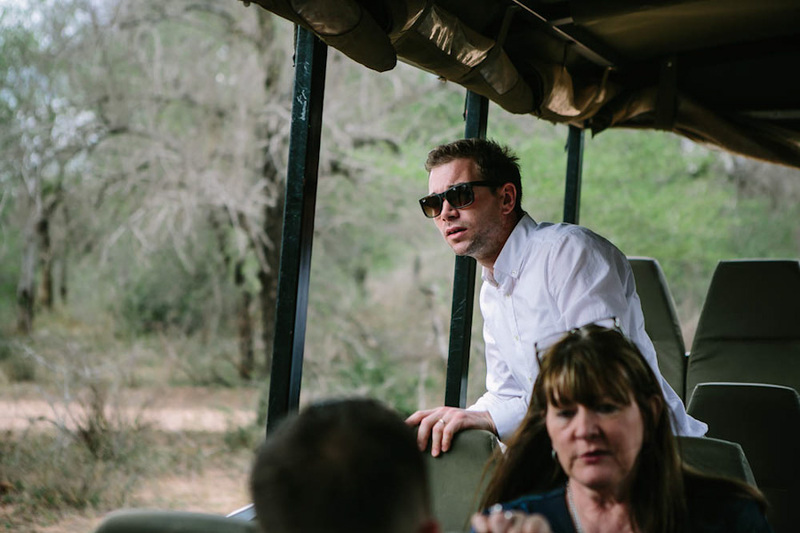 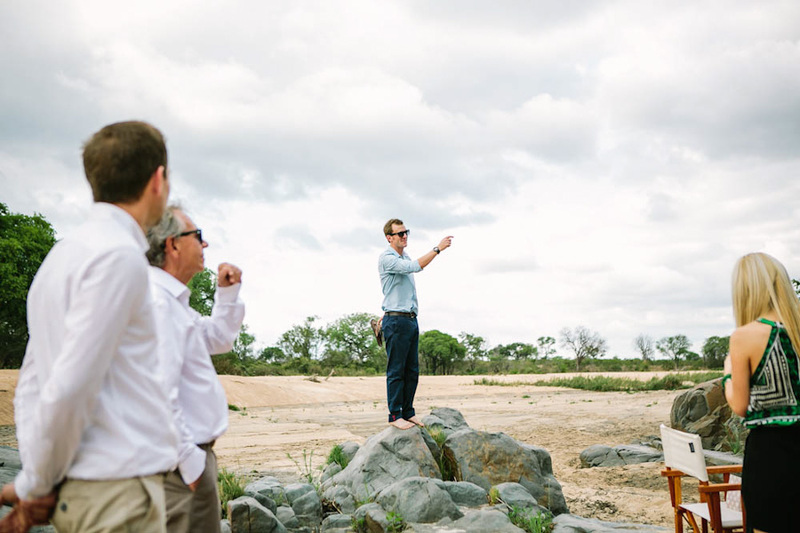 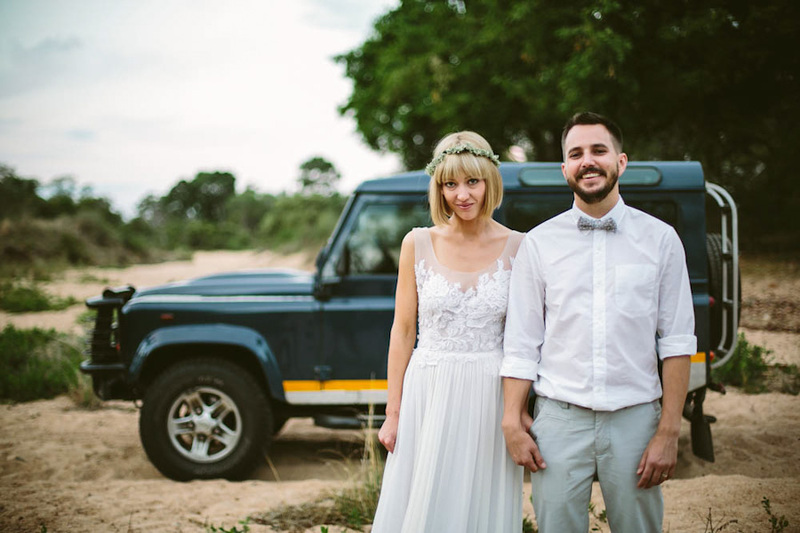 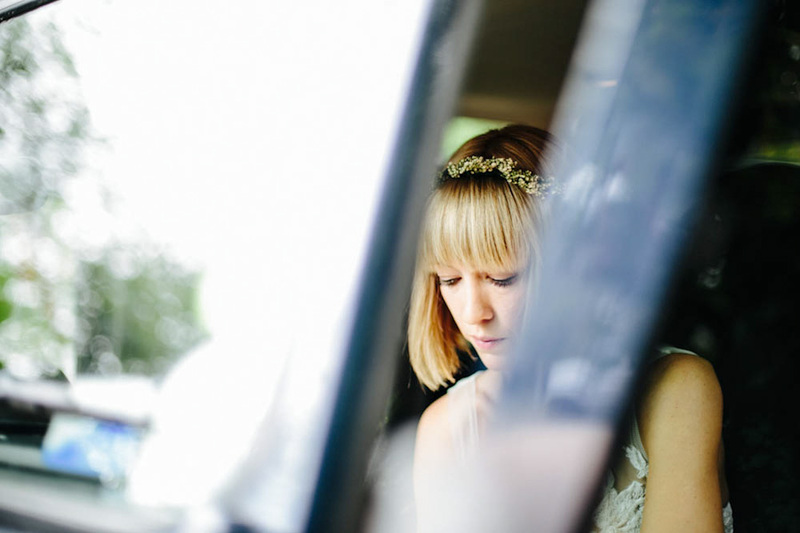 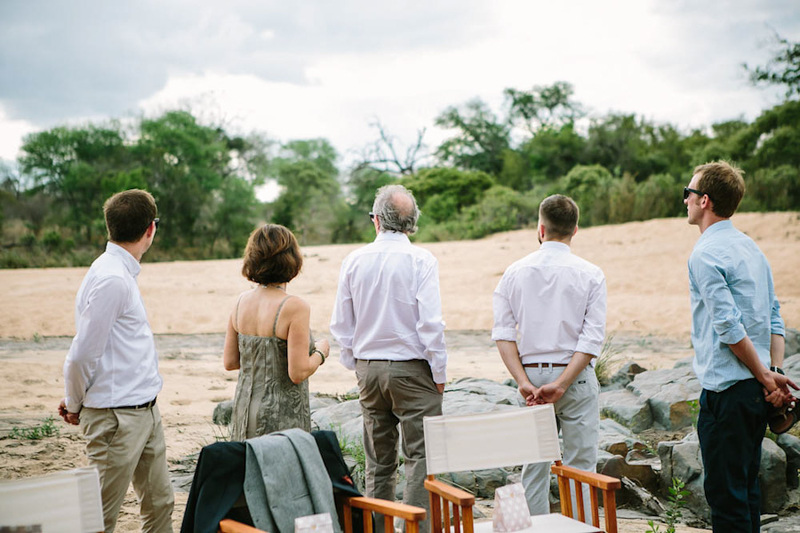 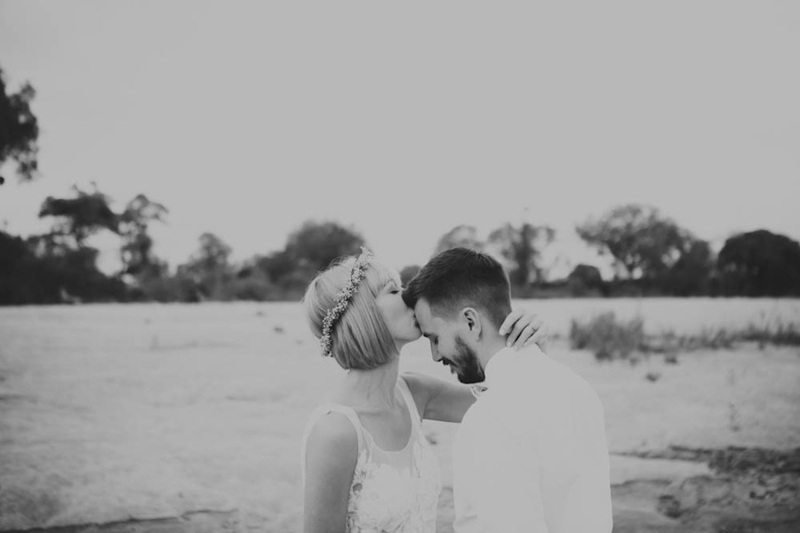 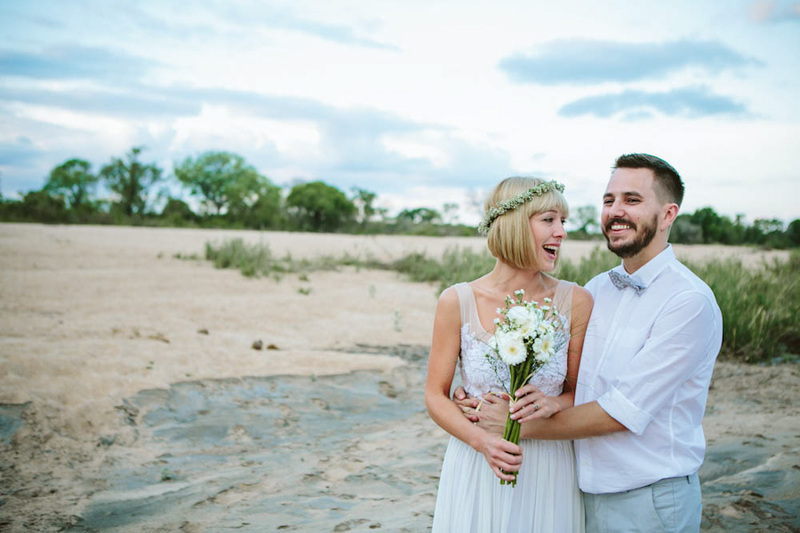 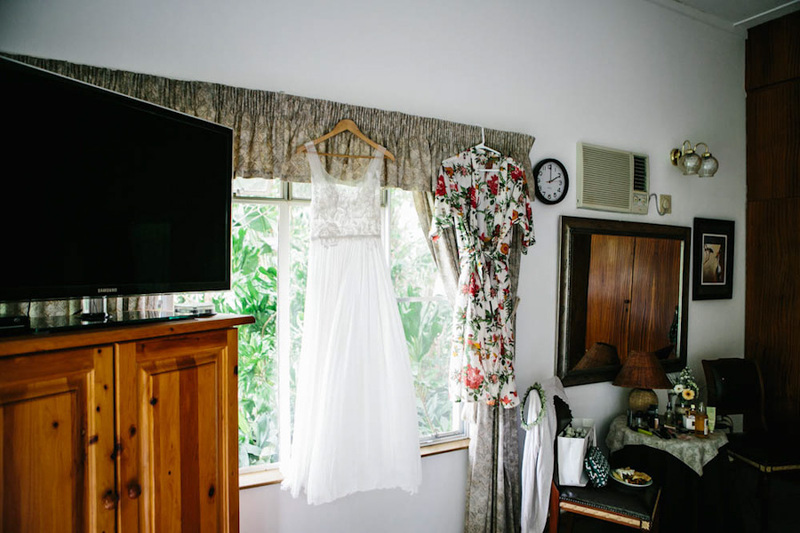 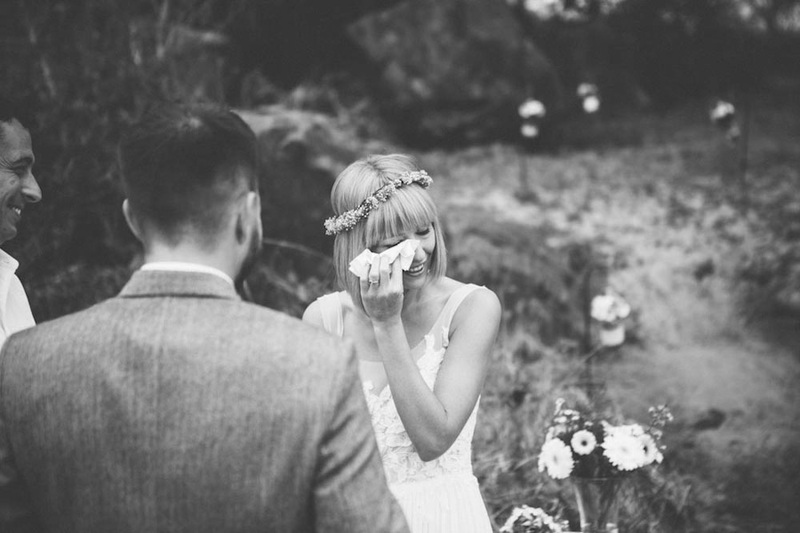 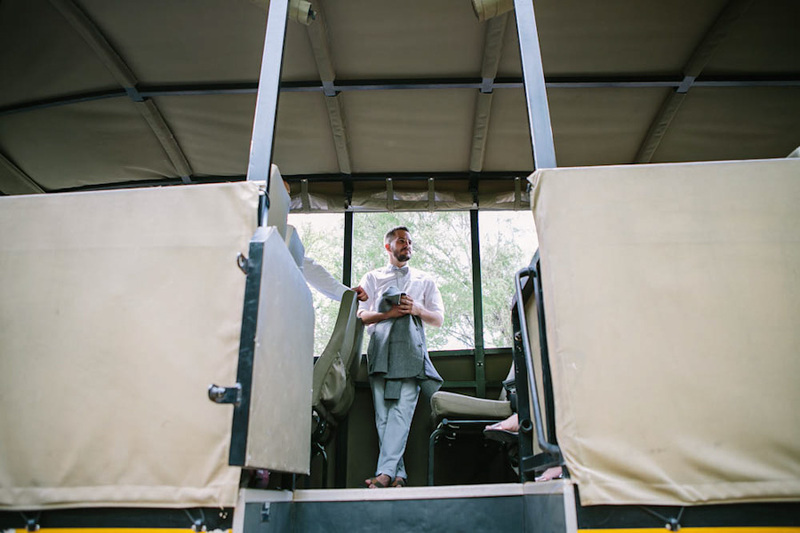 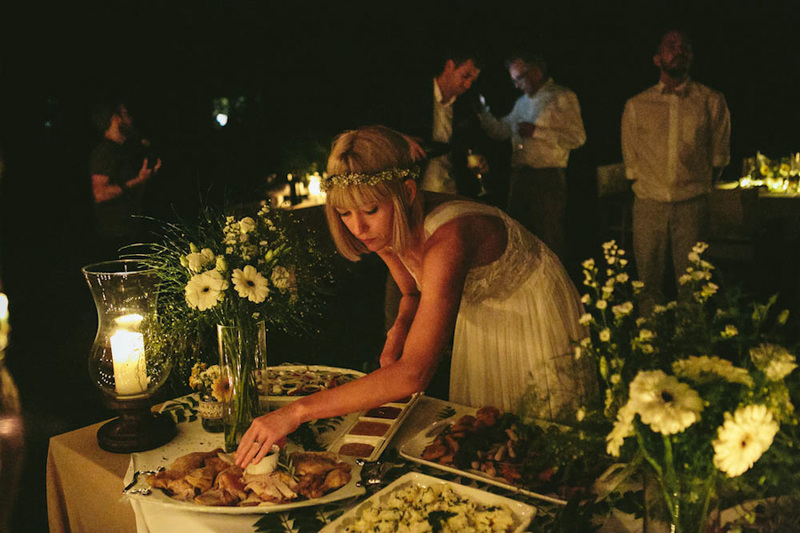 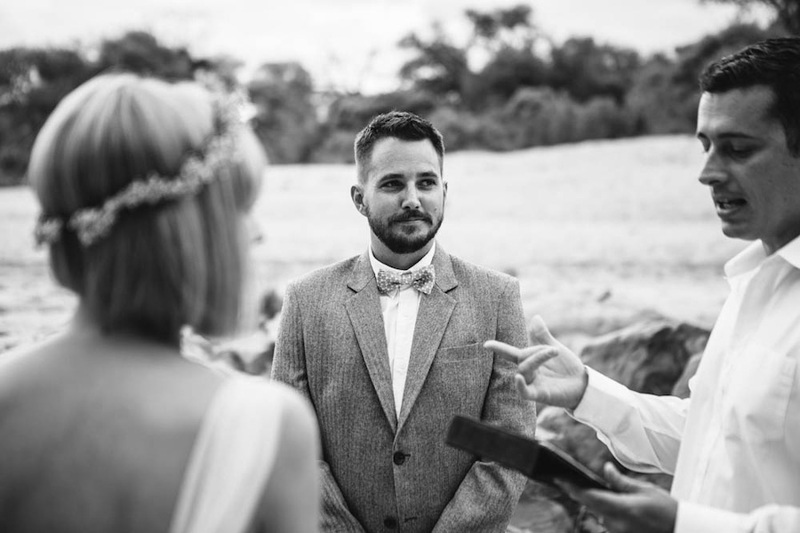 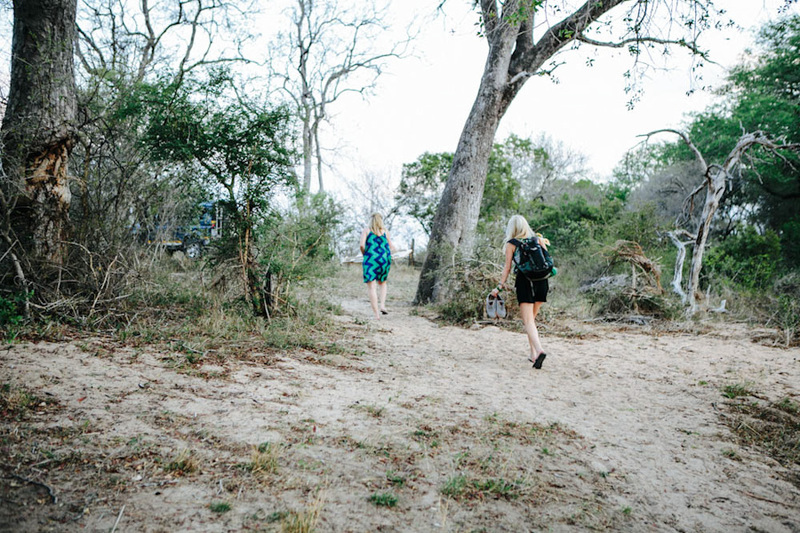 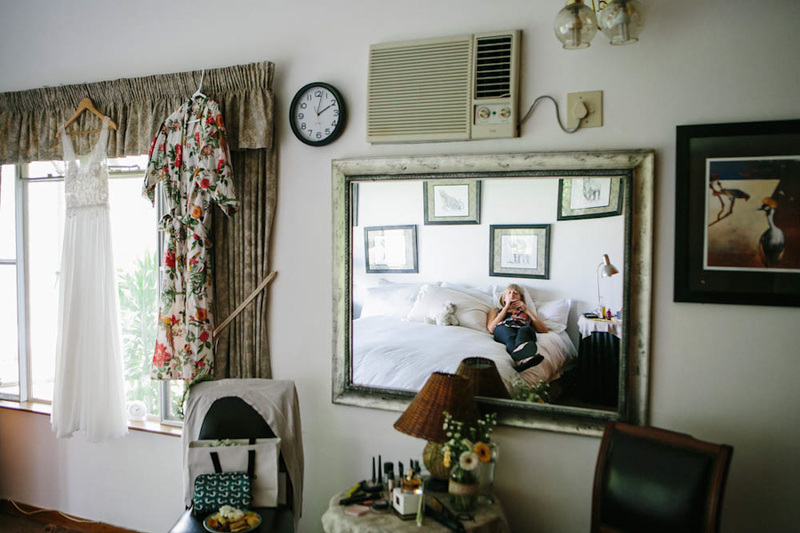 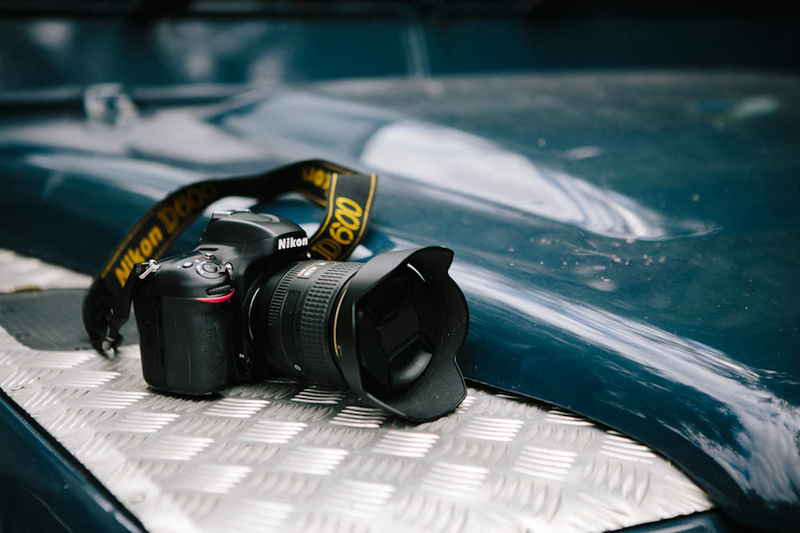 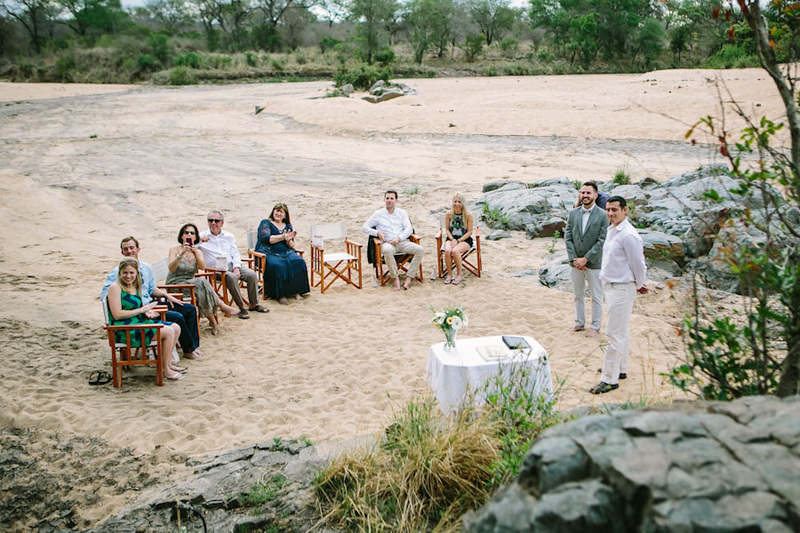 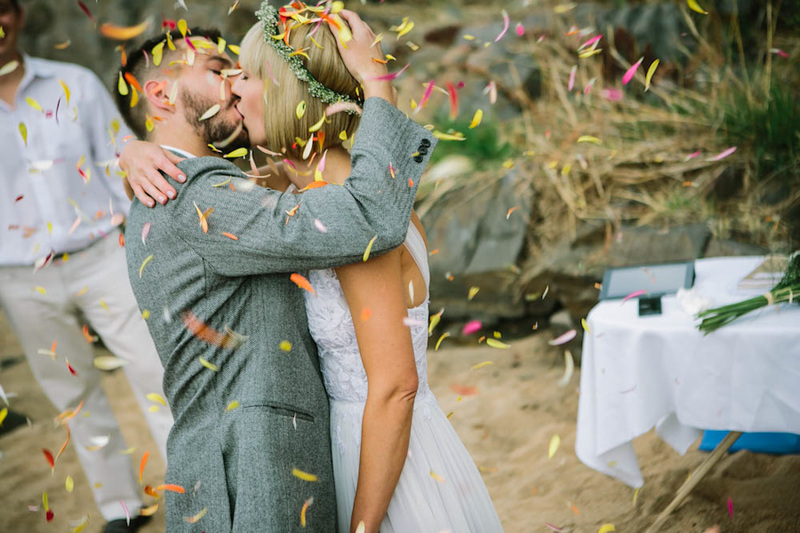 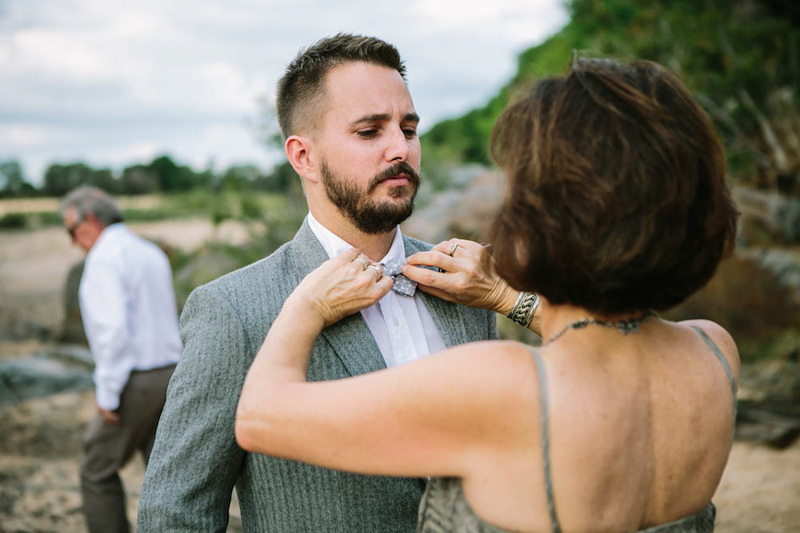 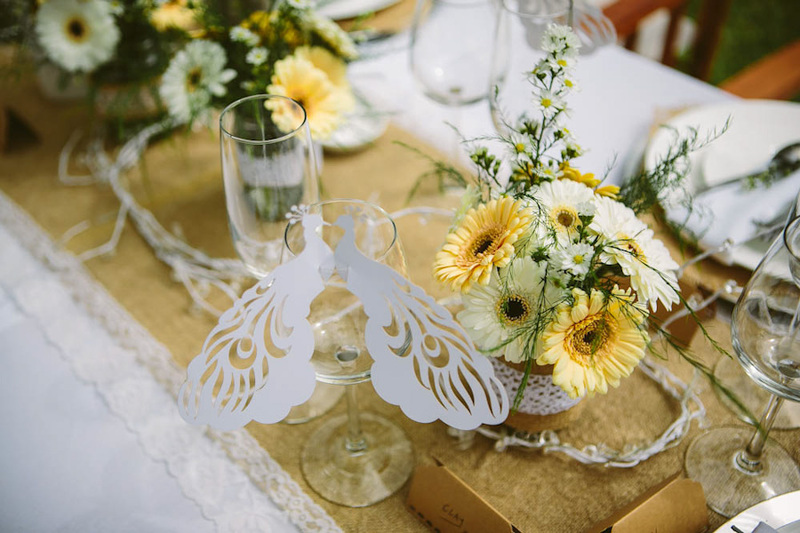 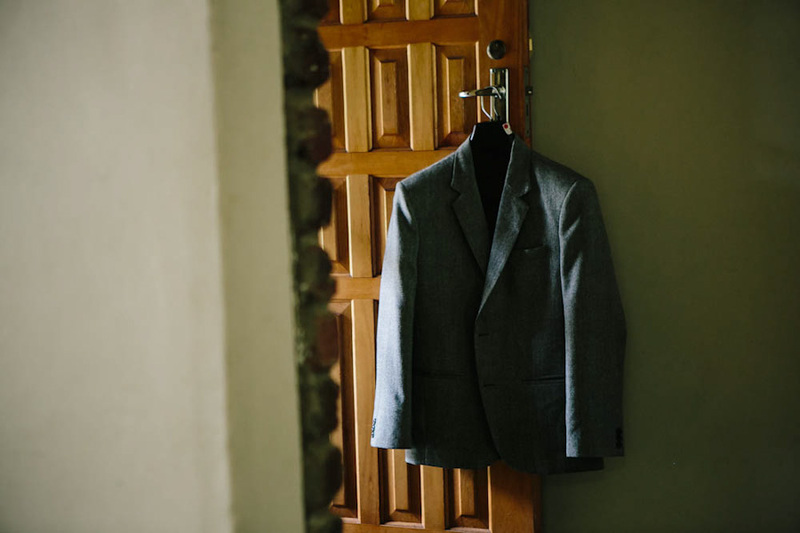 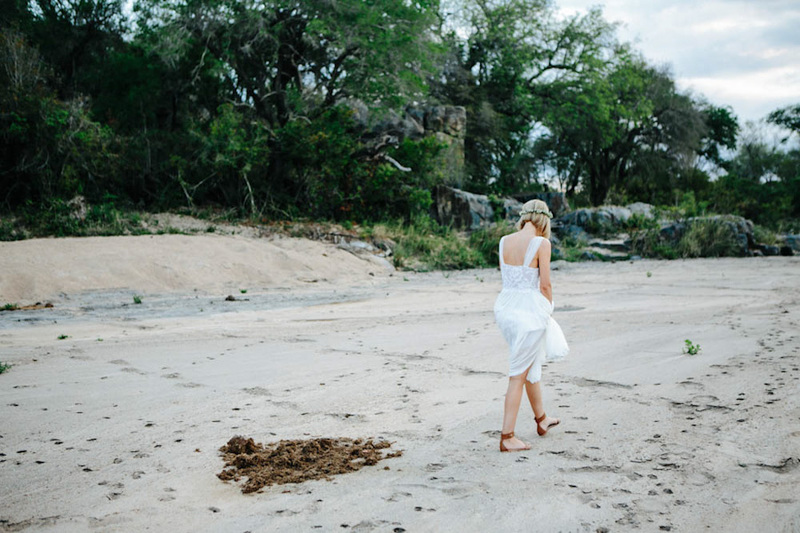 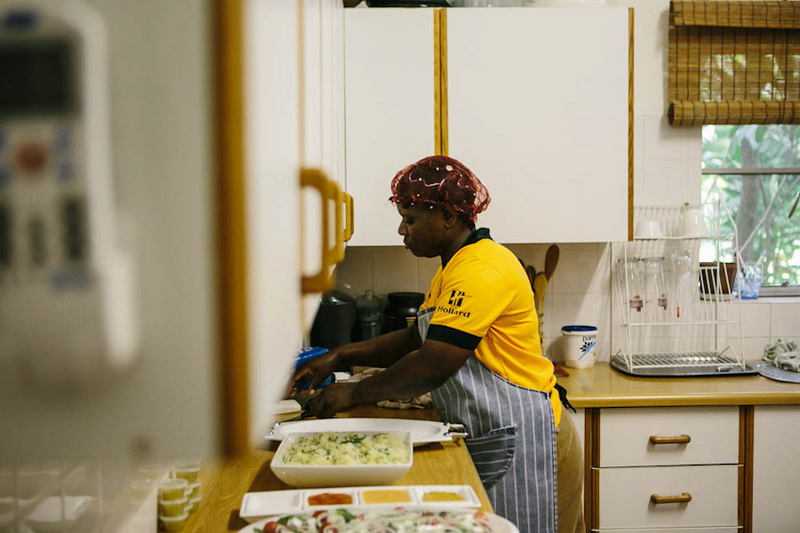 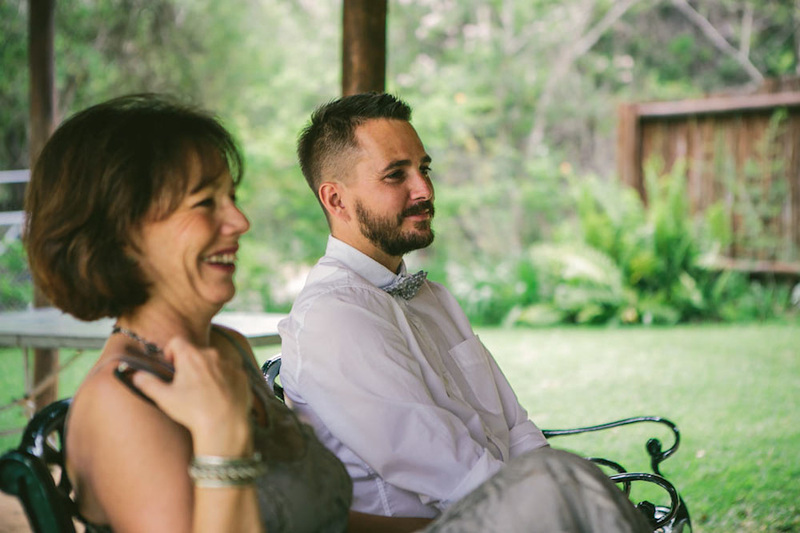 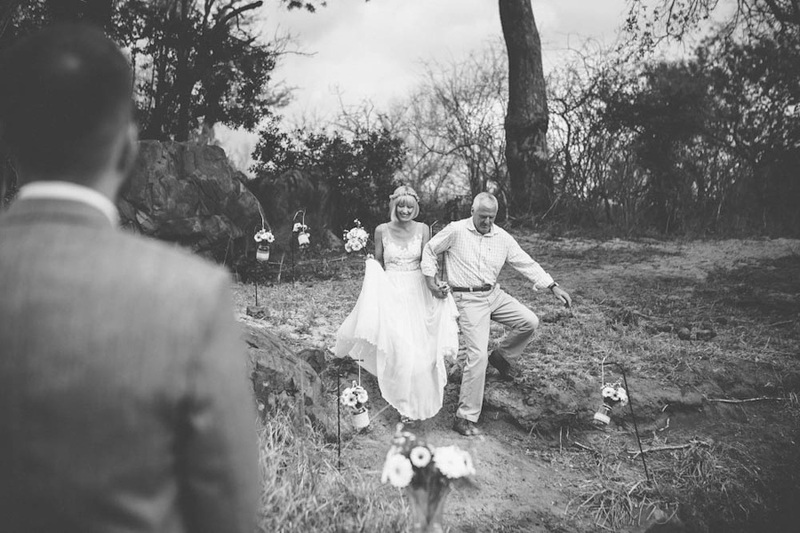 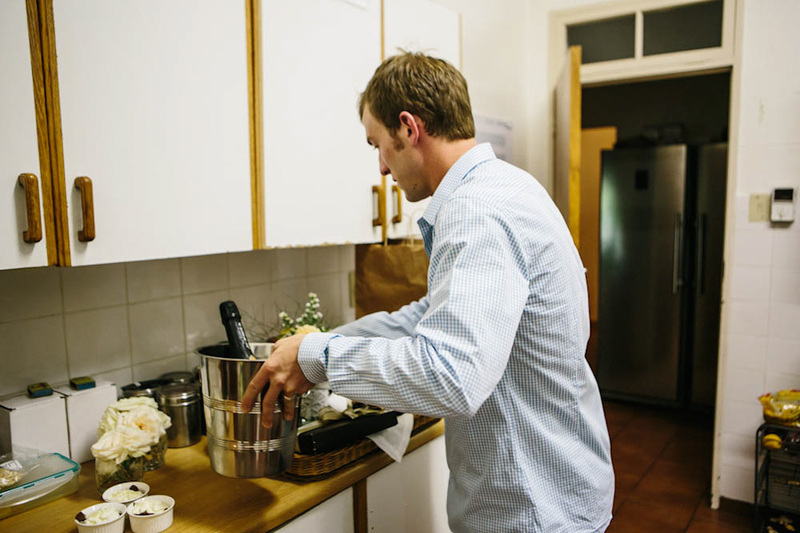 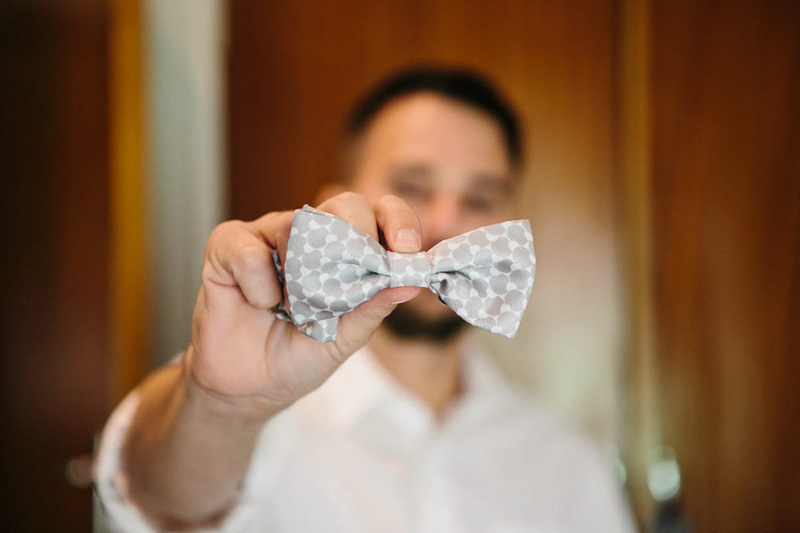 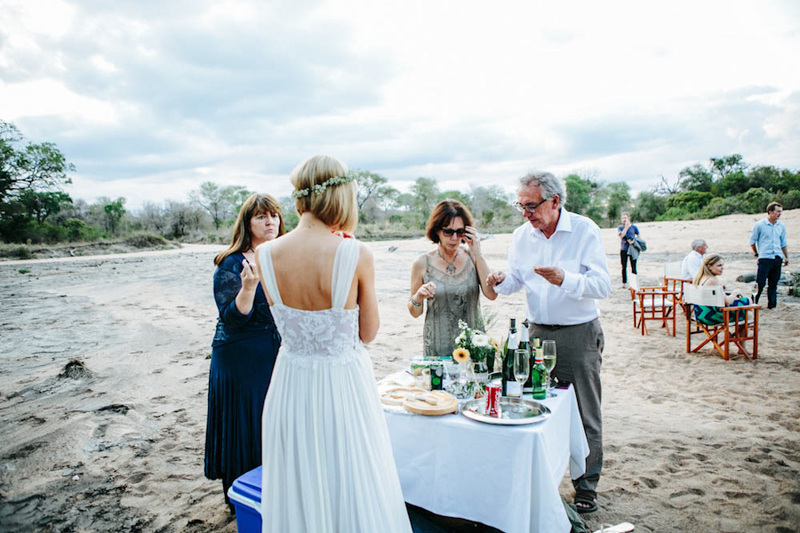 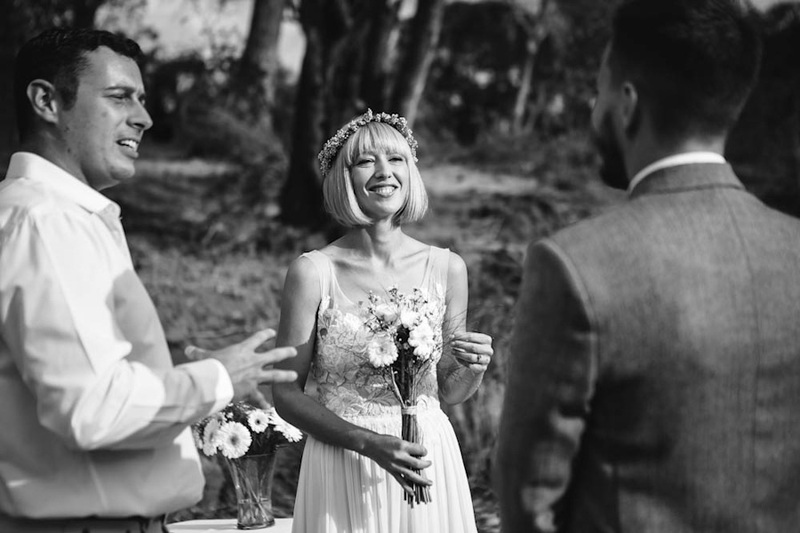 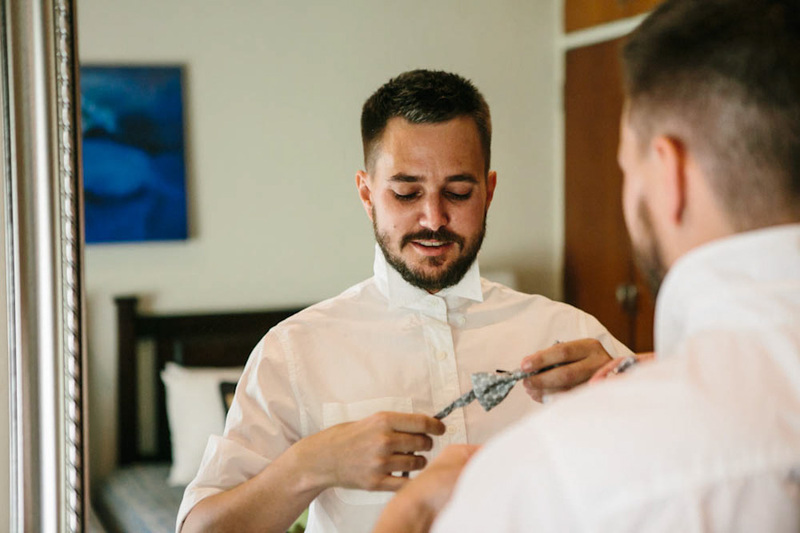 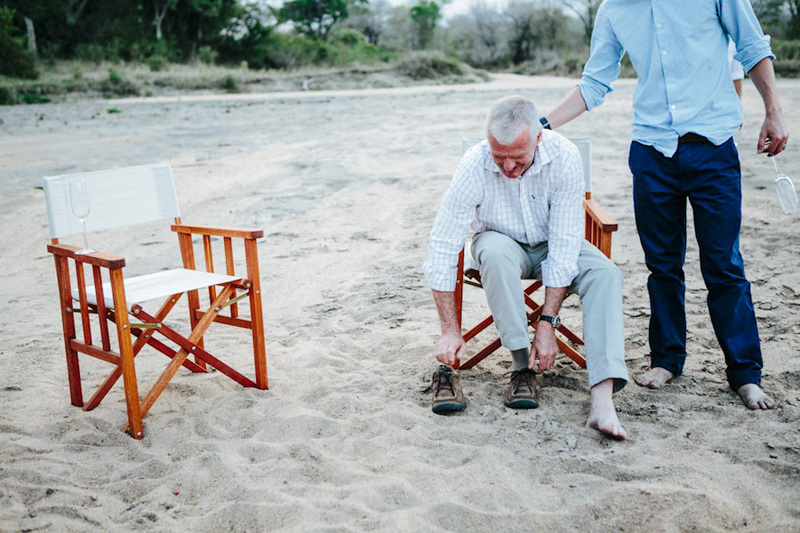 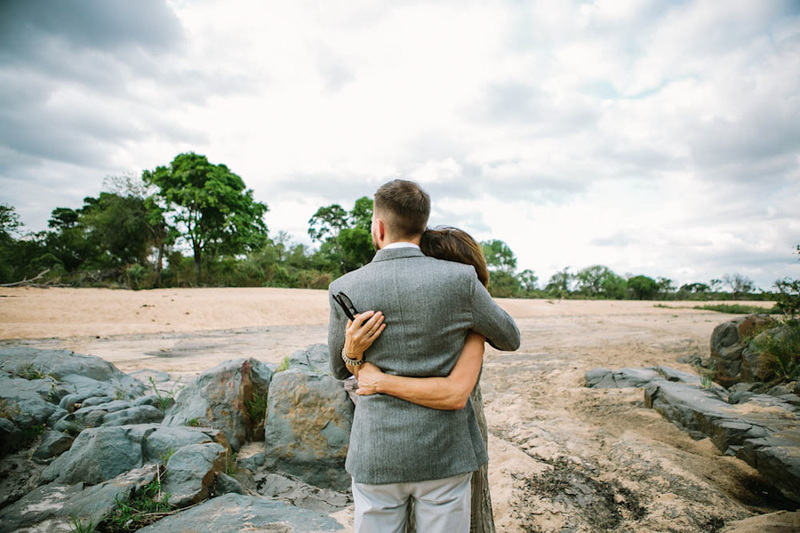 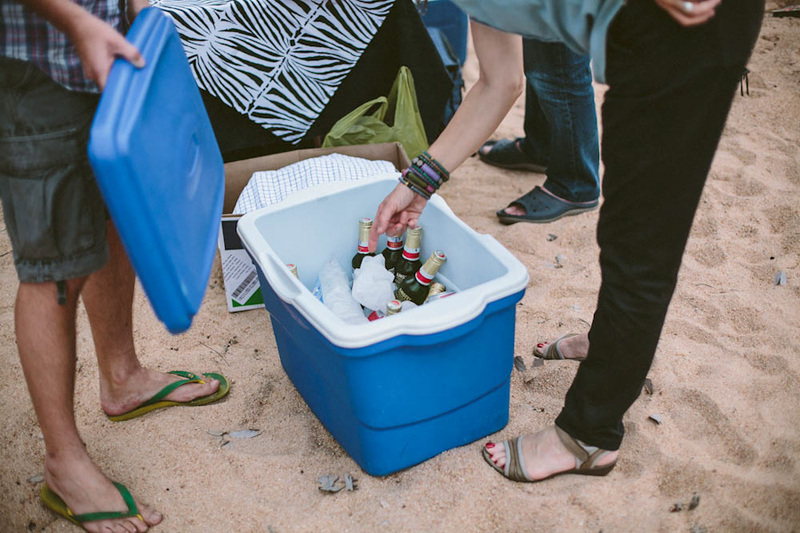 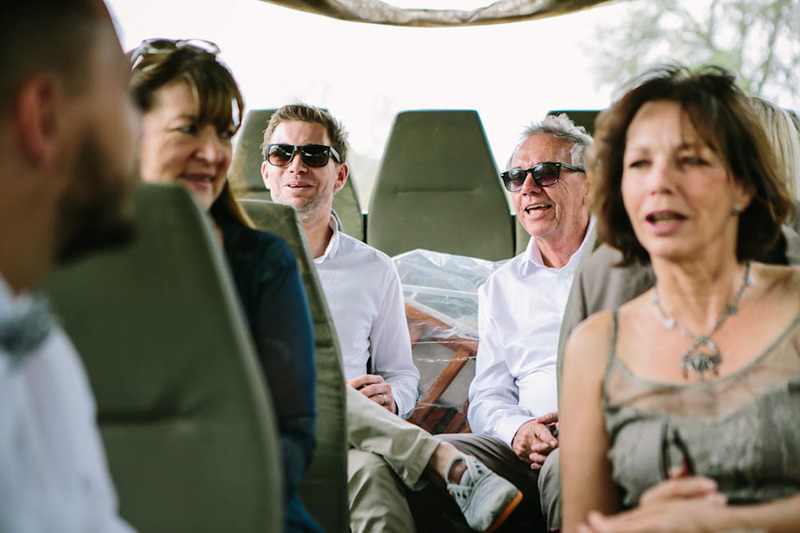 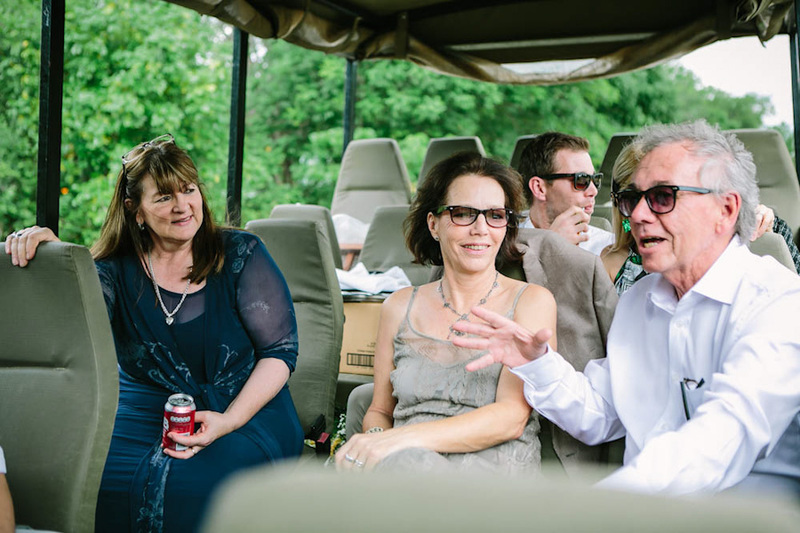 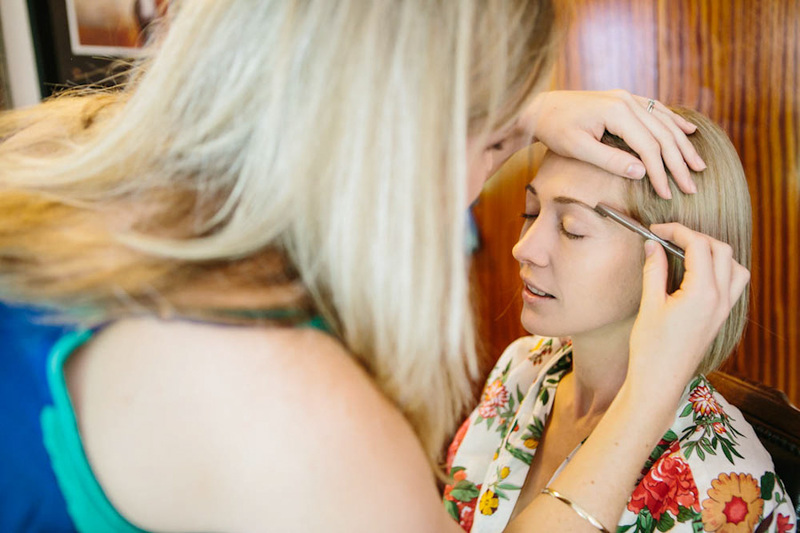 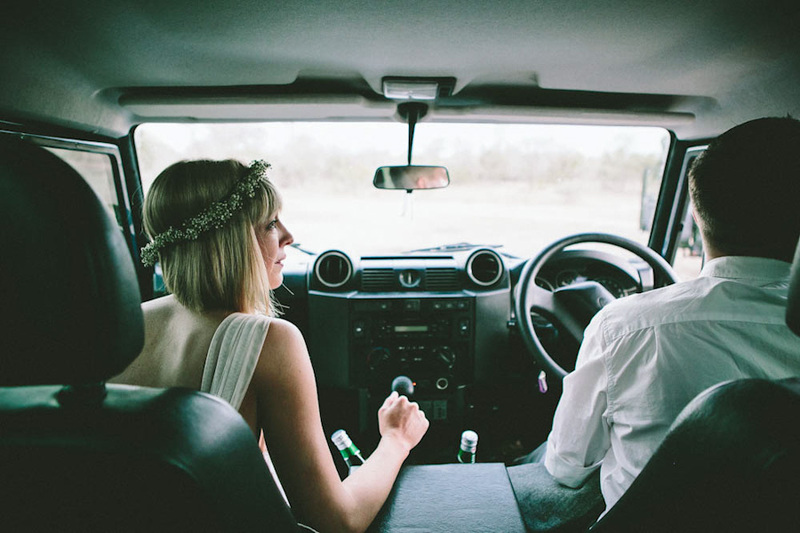 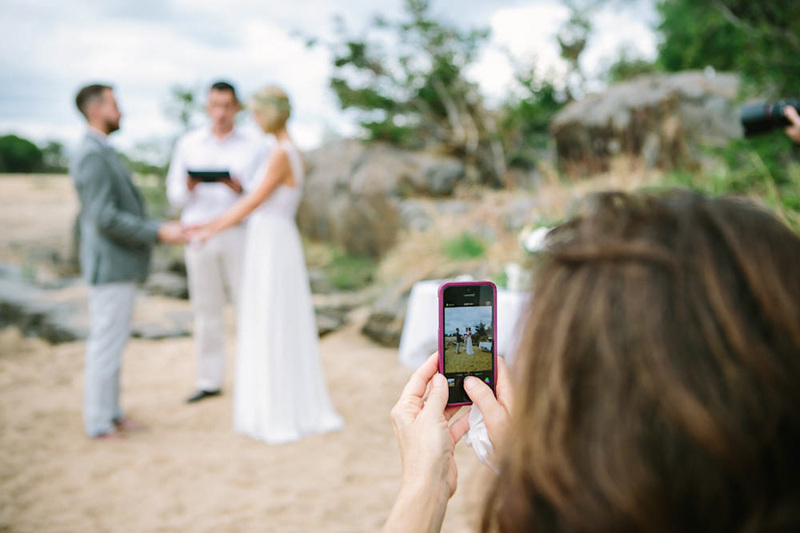 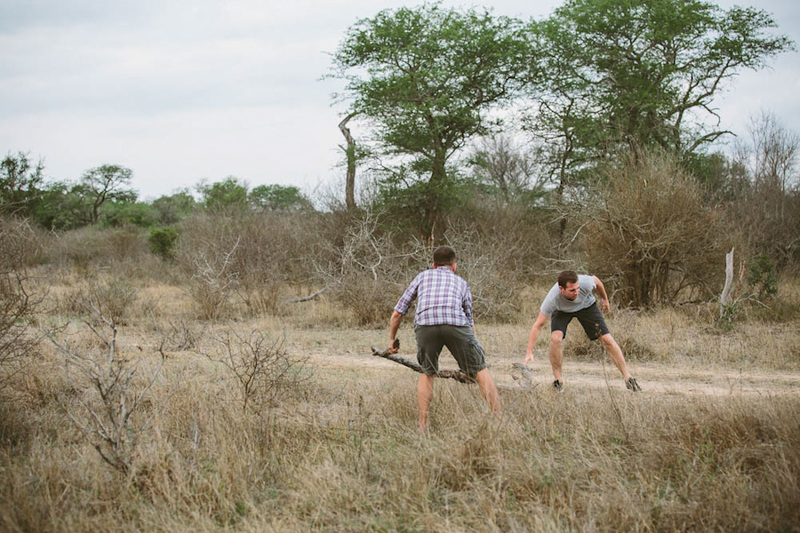 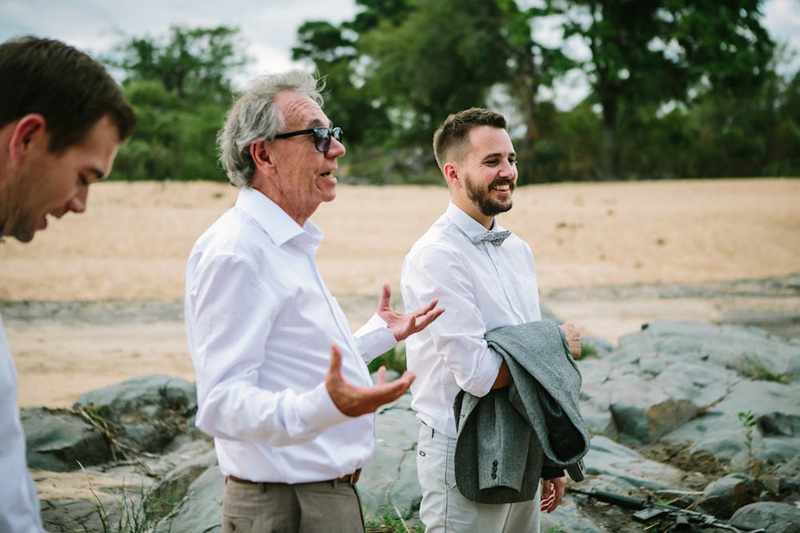 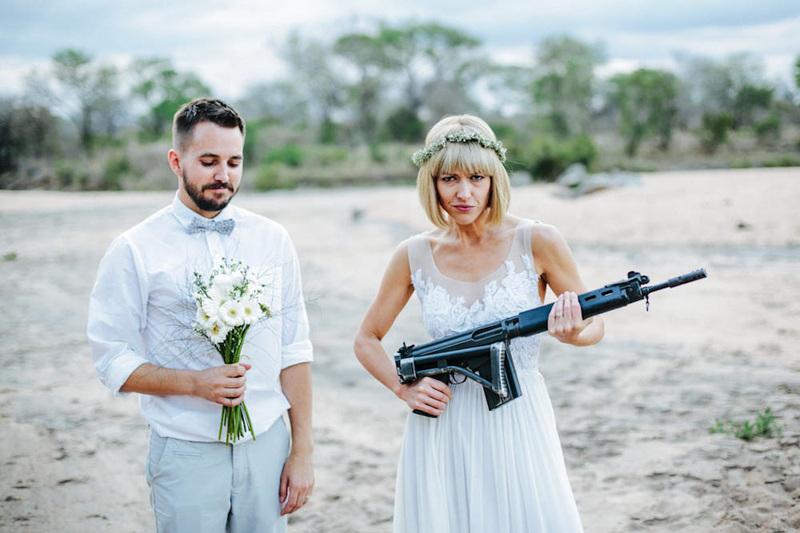 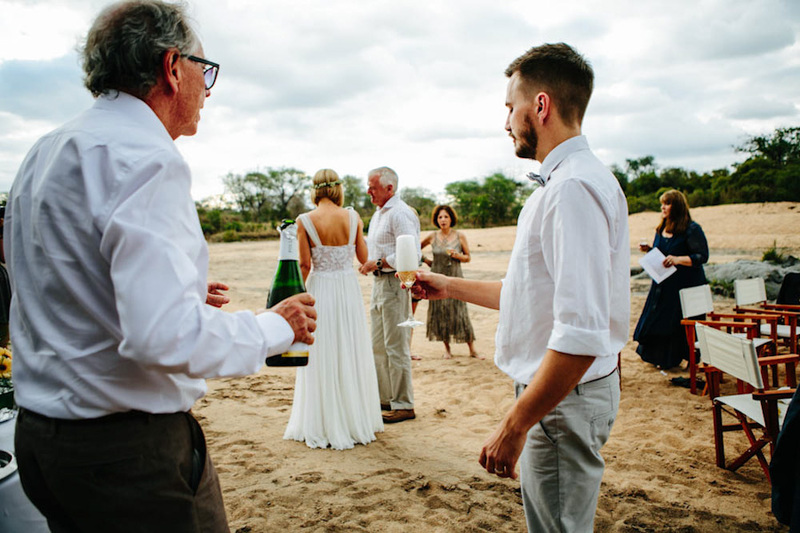 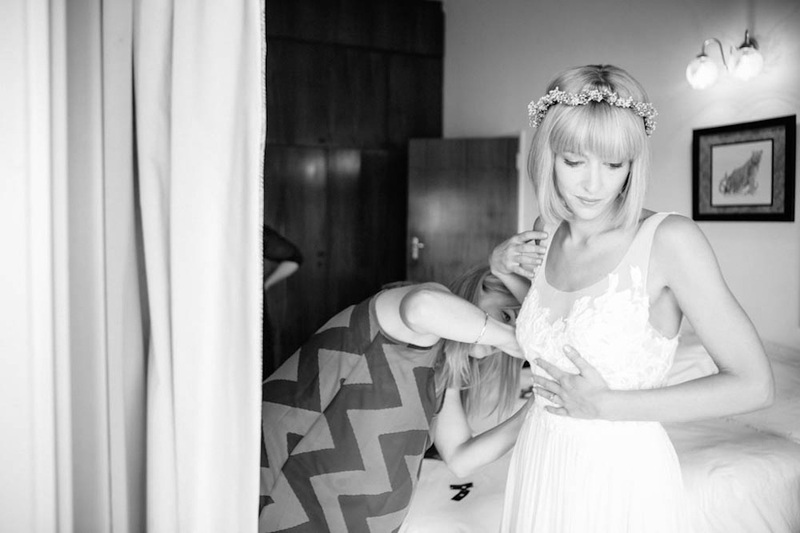 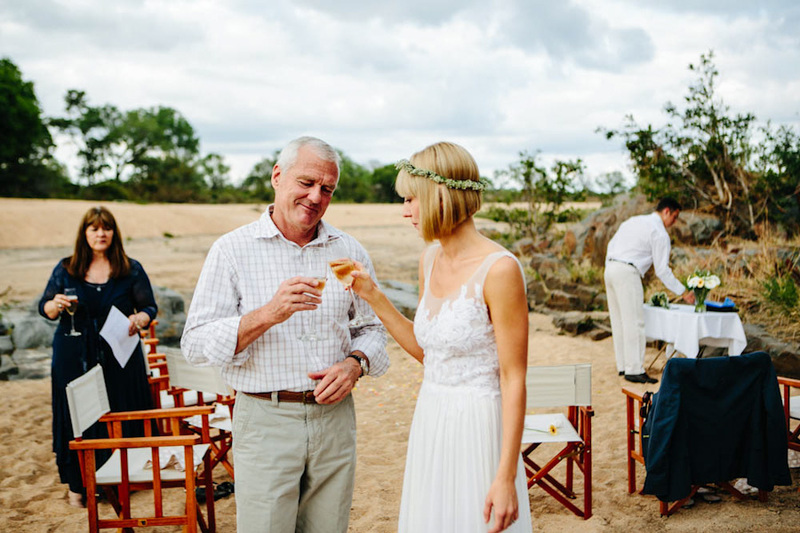 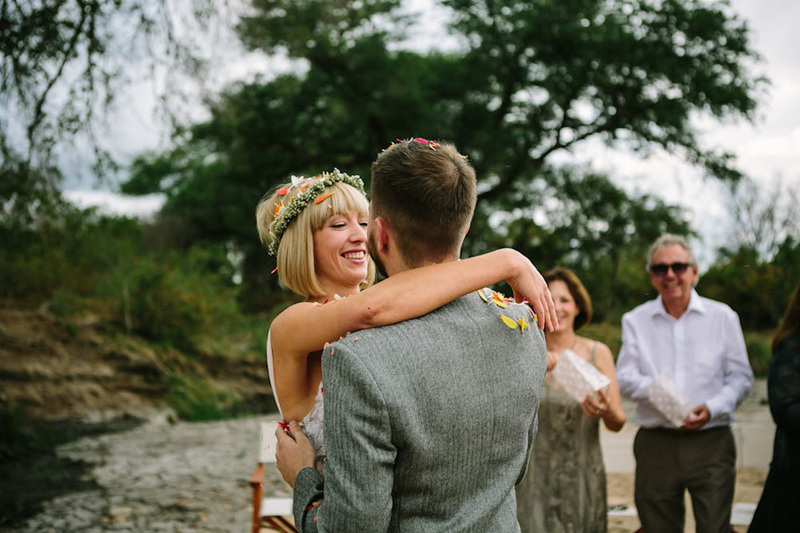 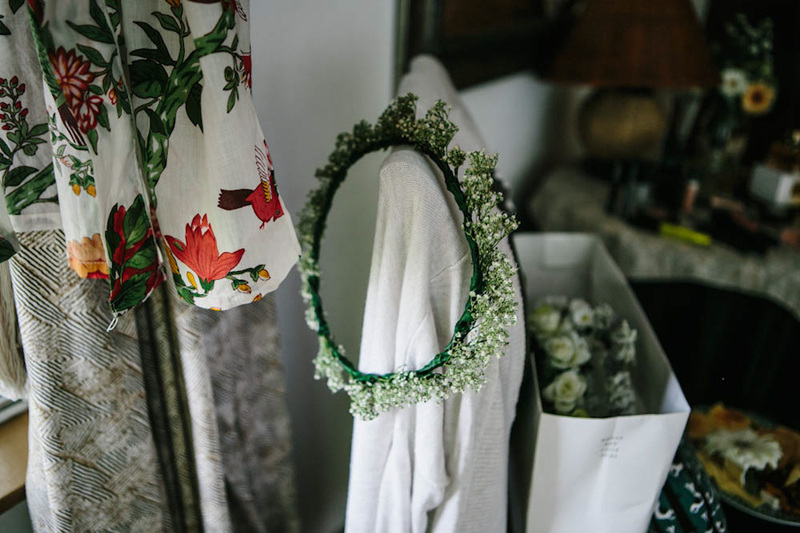 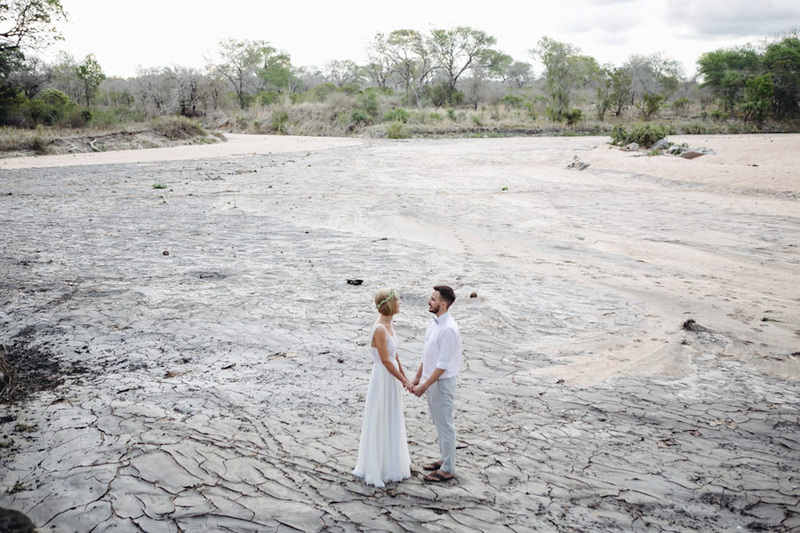 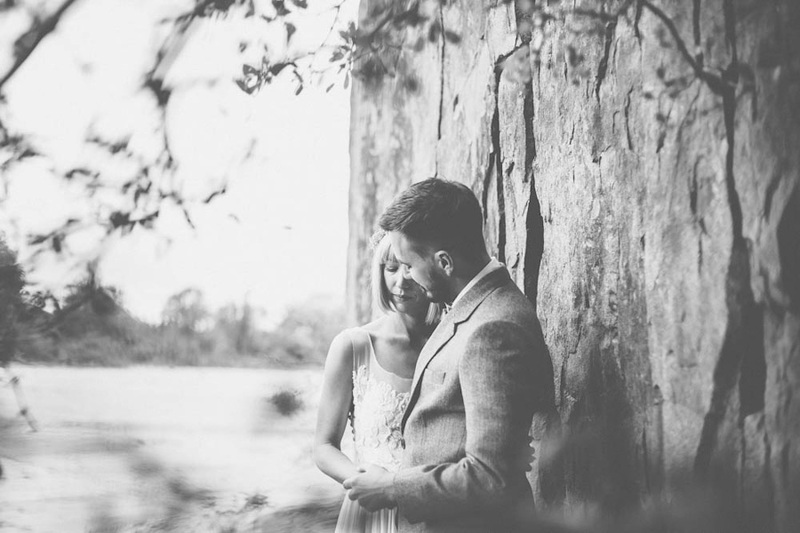 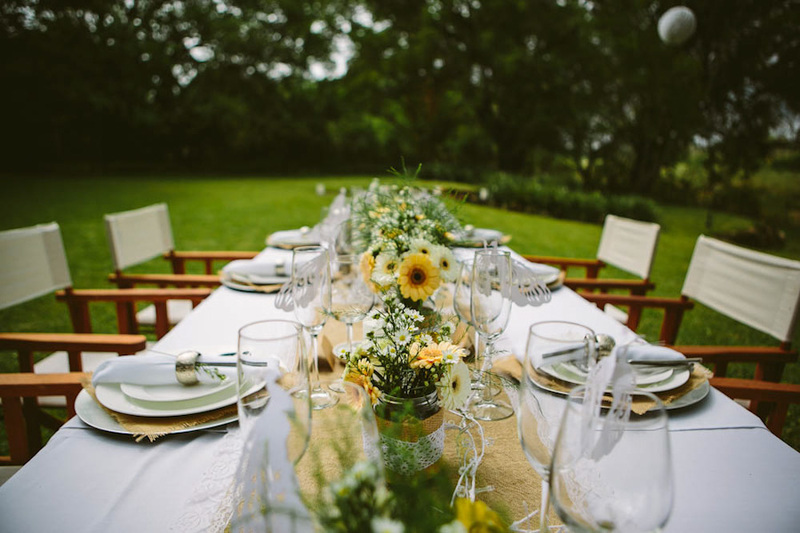 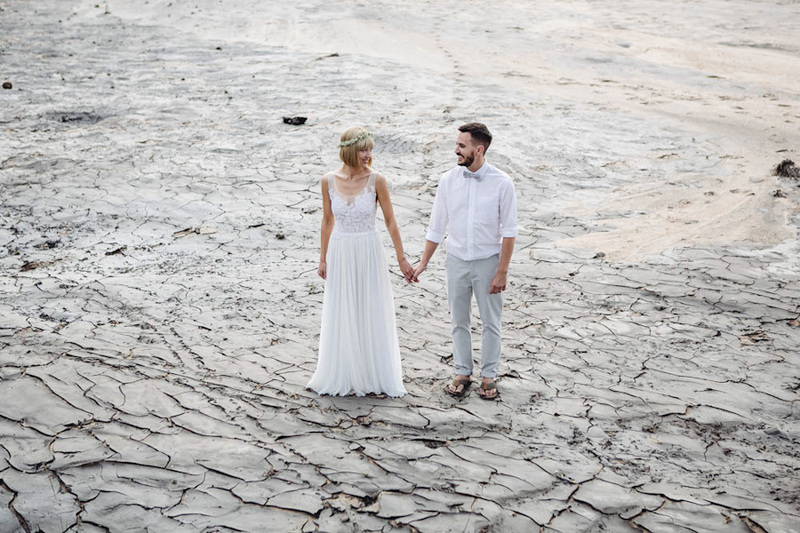 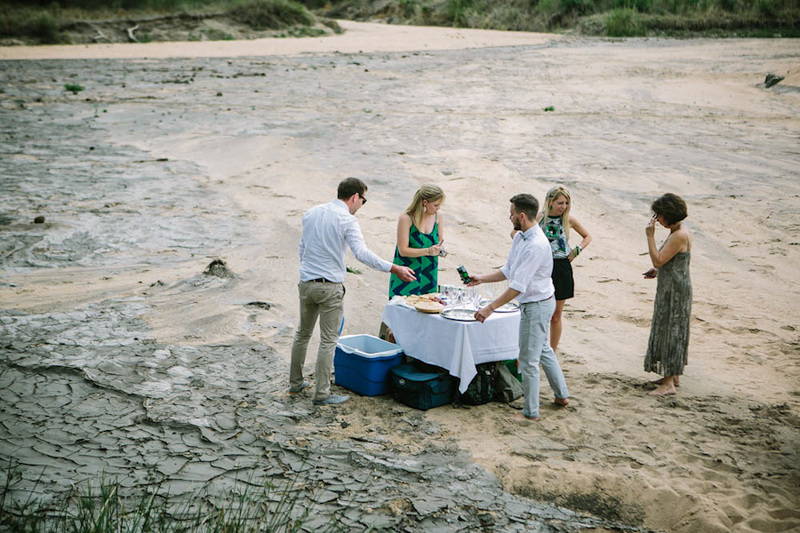 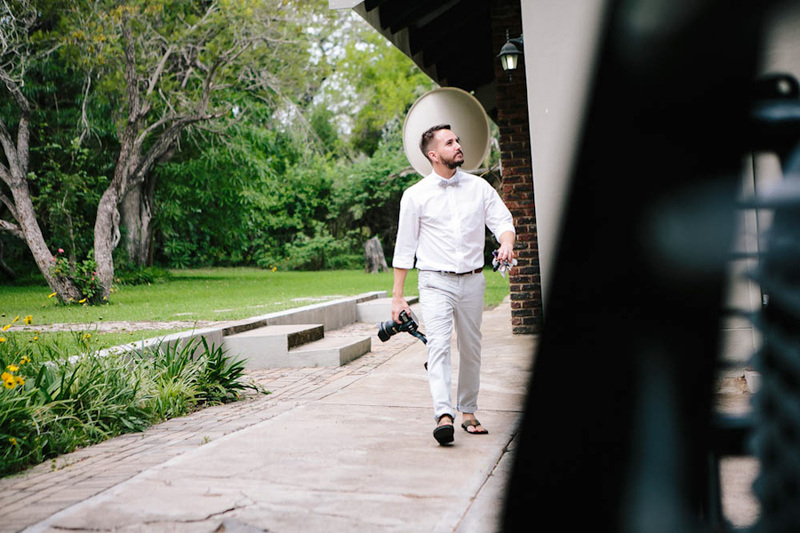 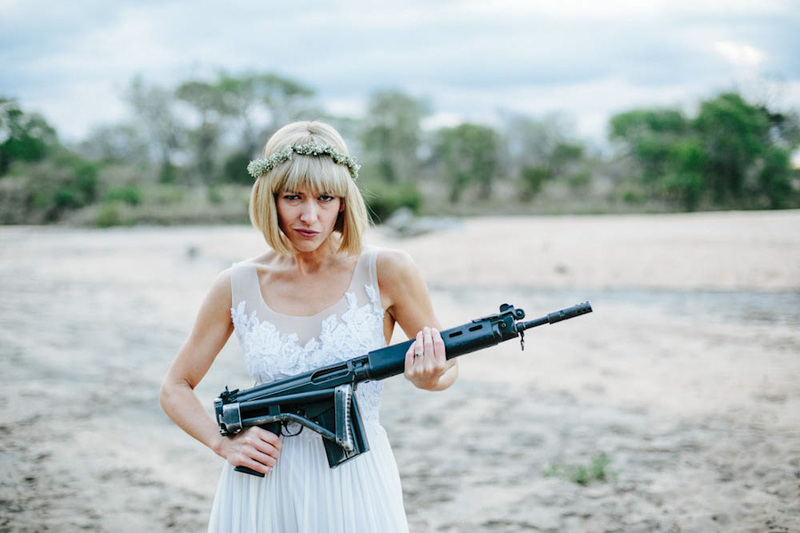 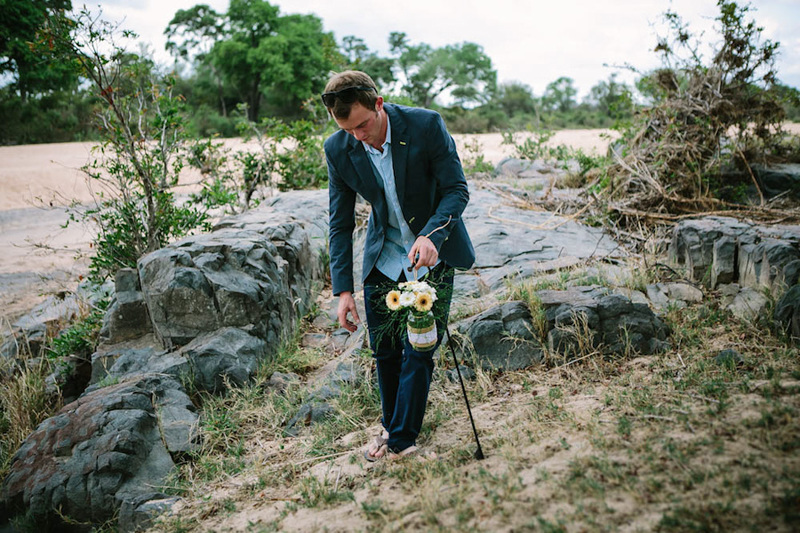 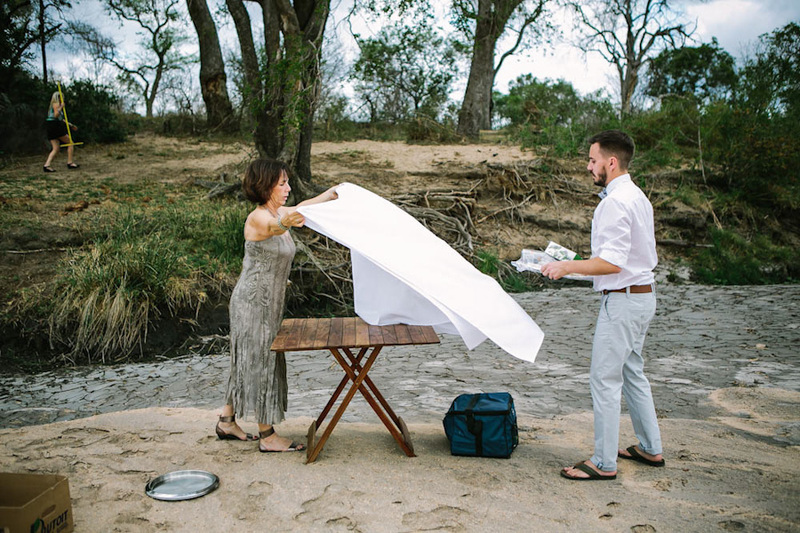 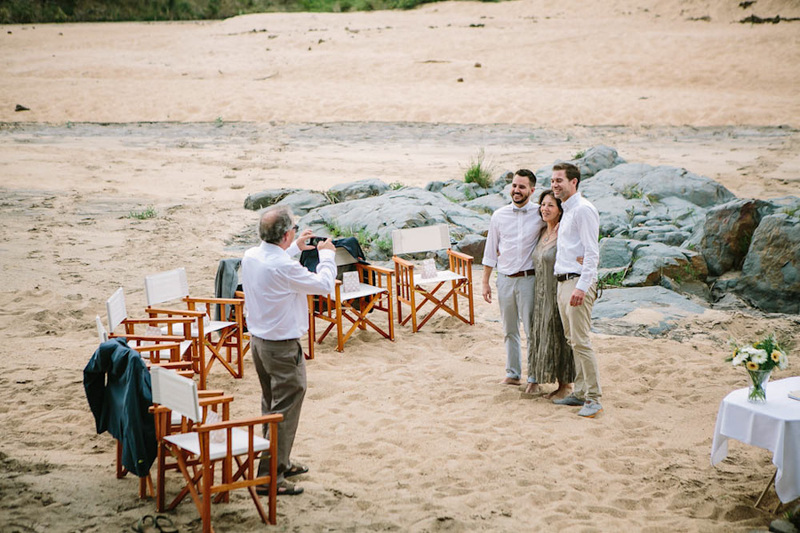 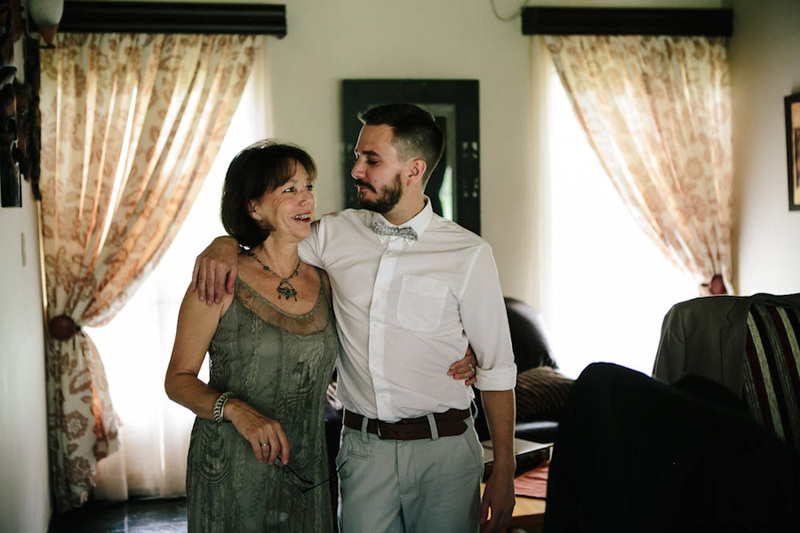 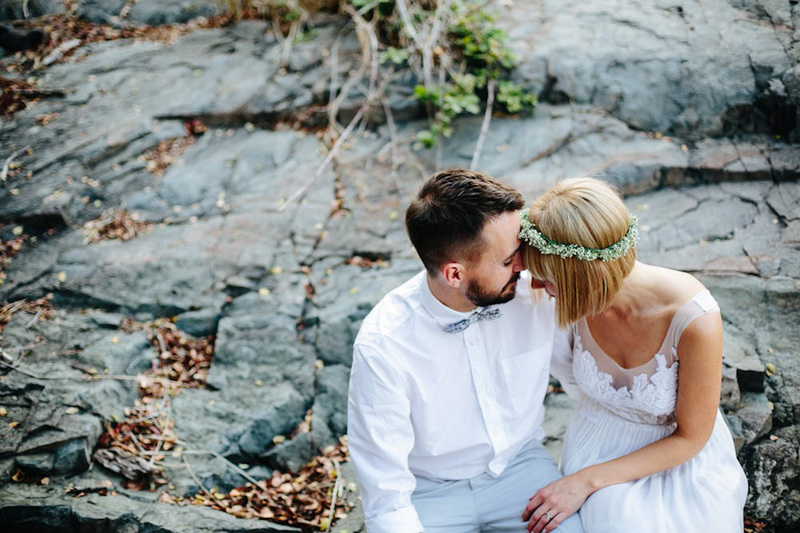 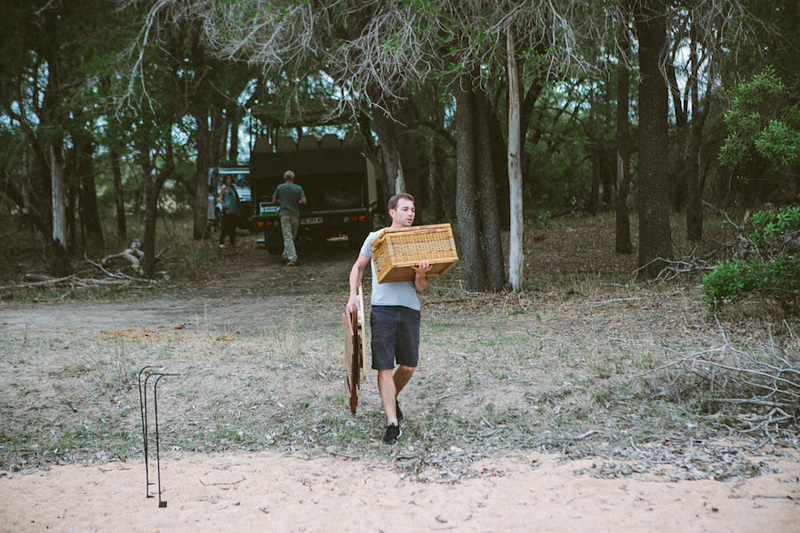 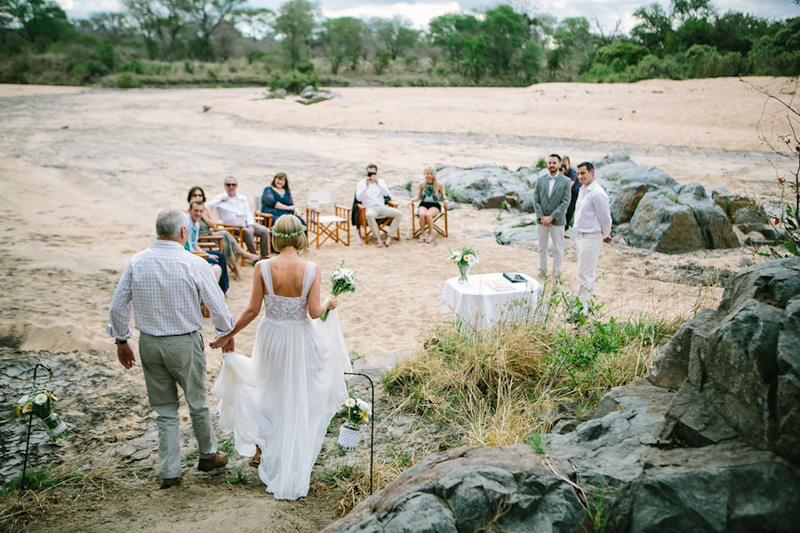 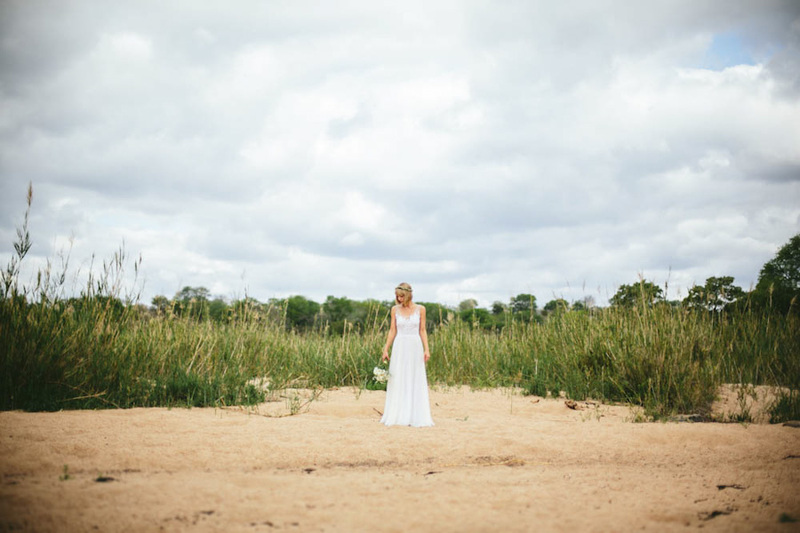 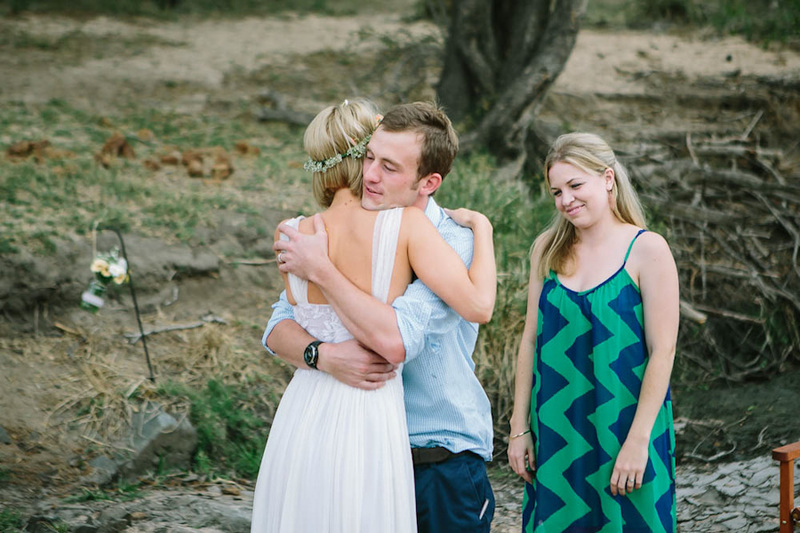 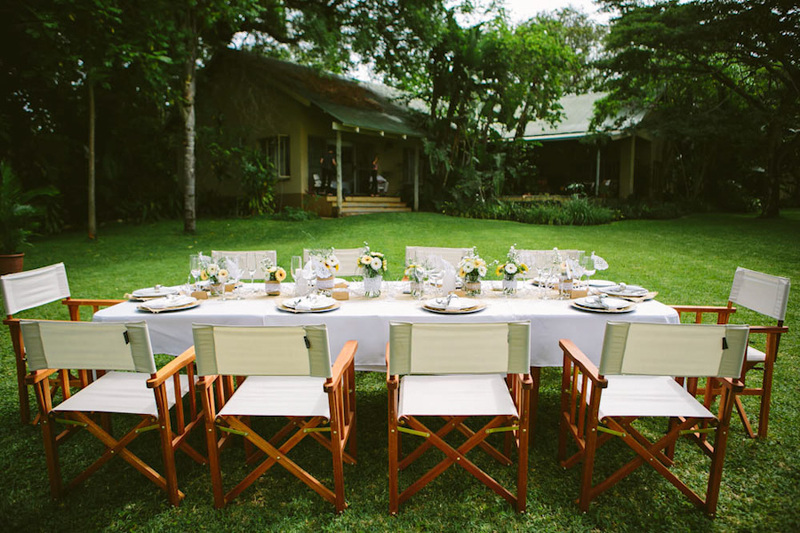 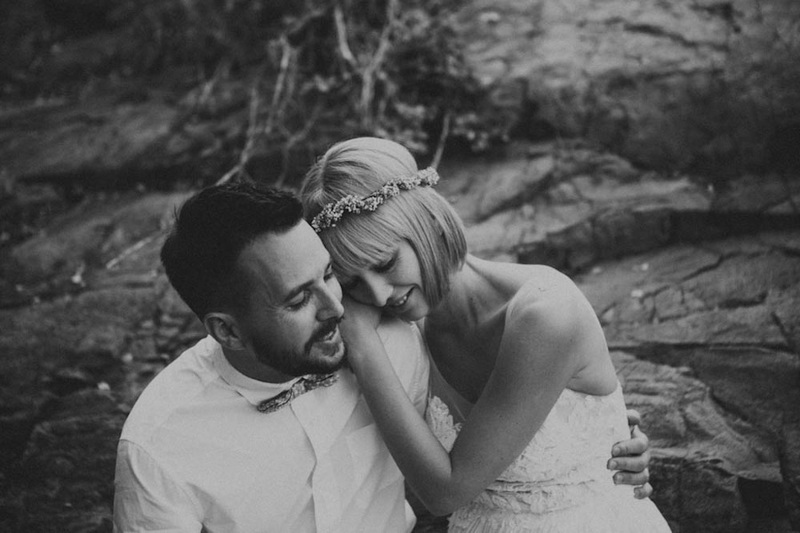 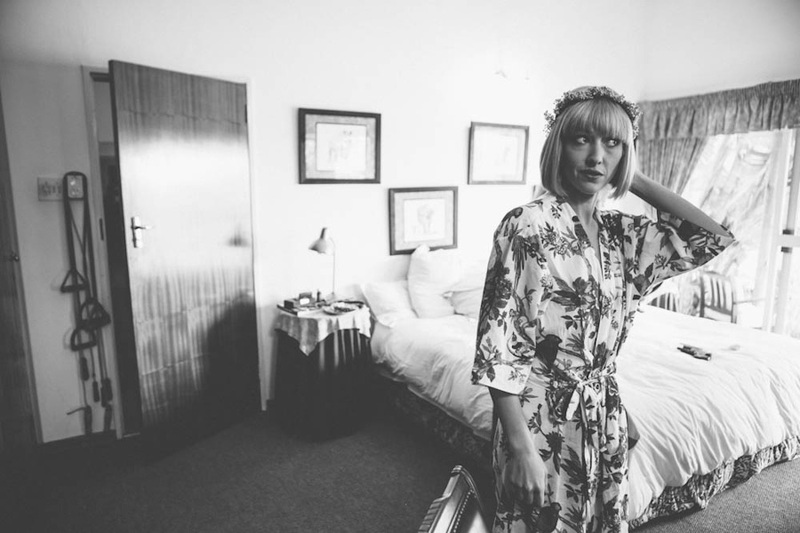 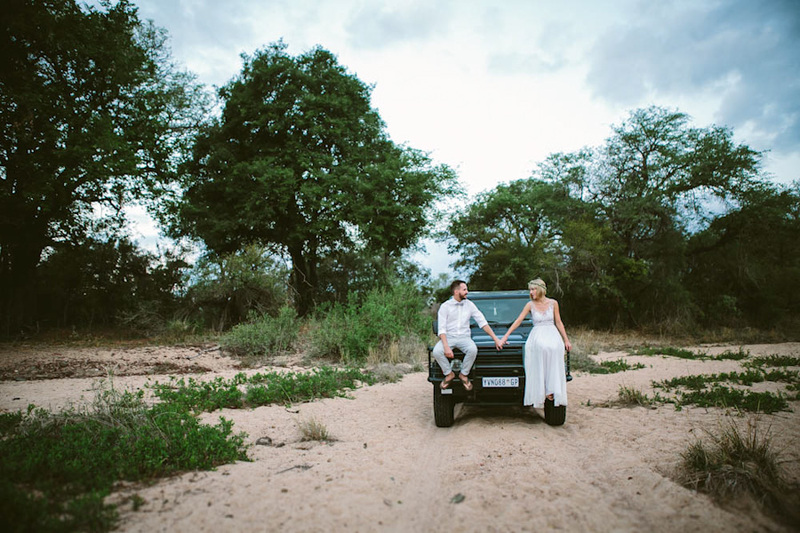 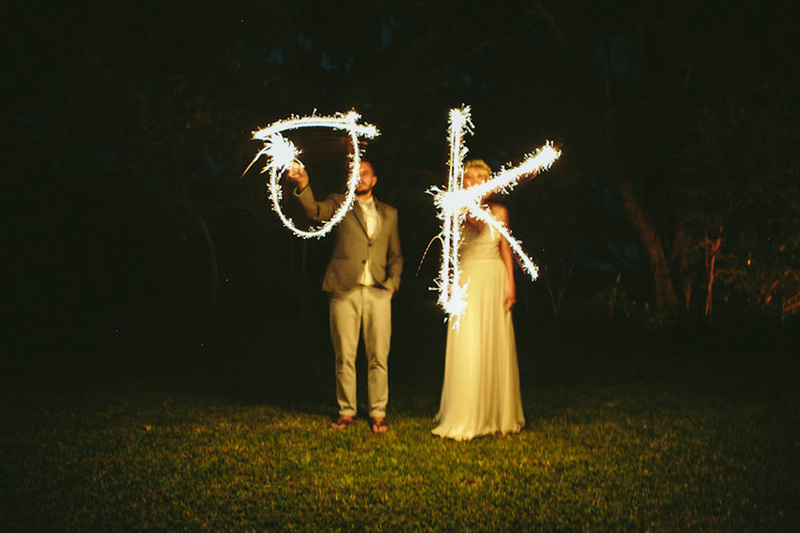 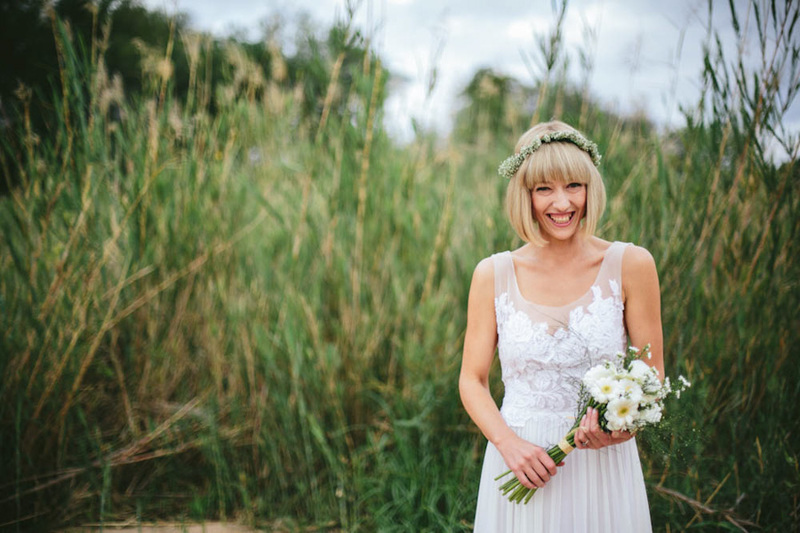 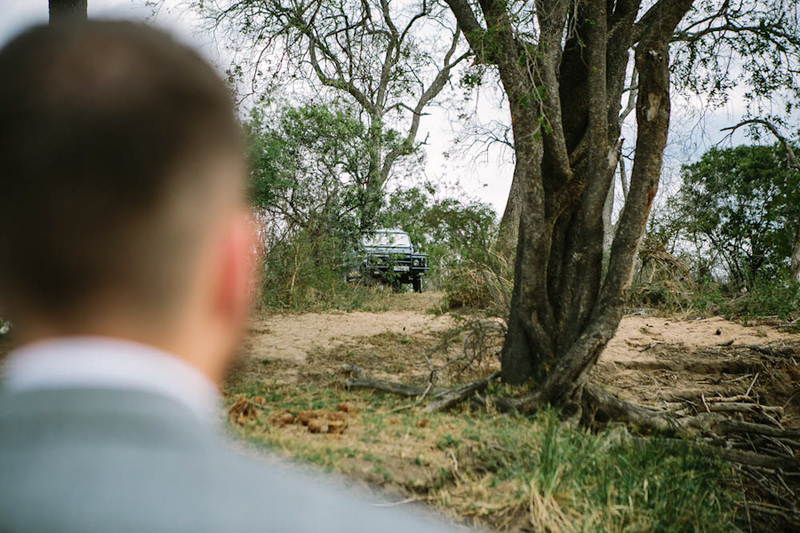 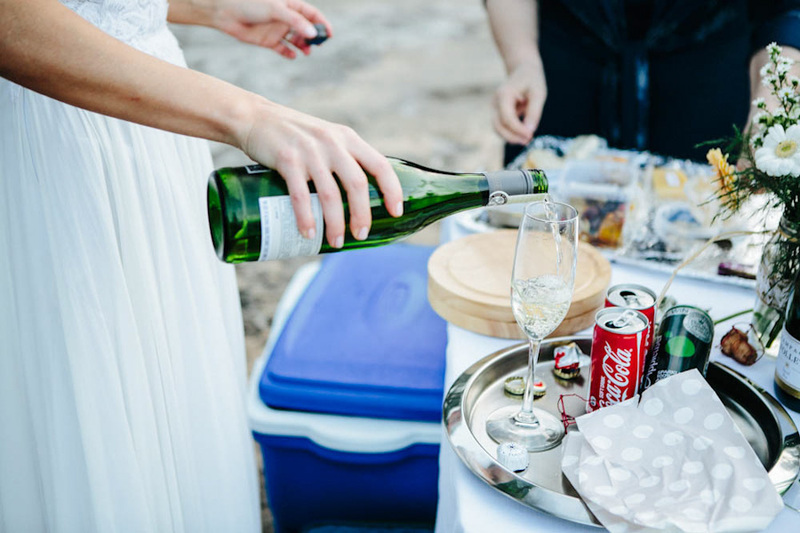 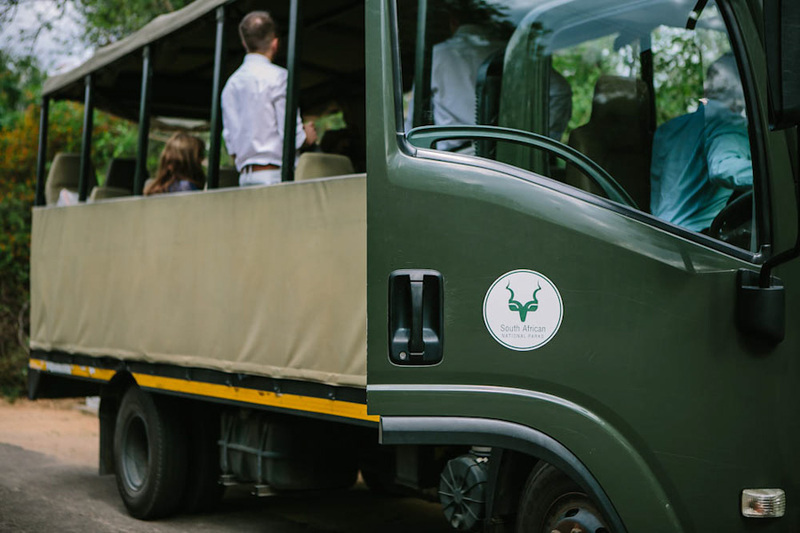 Their first wedding was held in Skukuza in the Kruger National Park where Kerryn had grown up and where her parents still live, and was attended by only their parents and siblings. 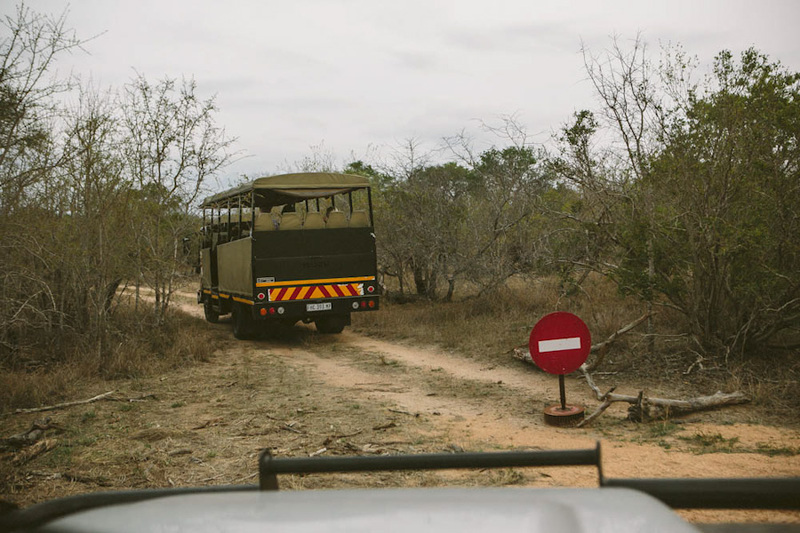 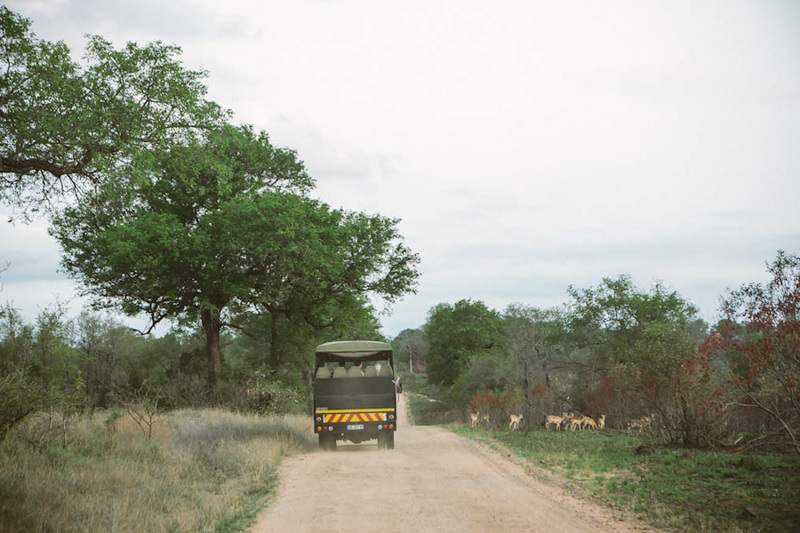 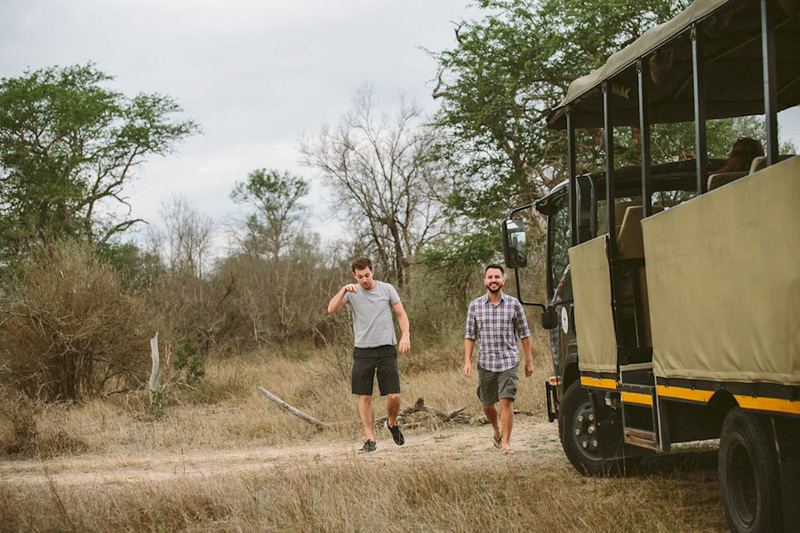 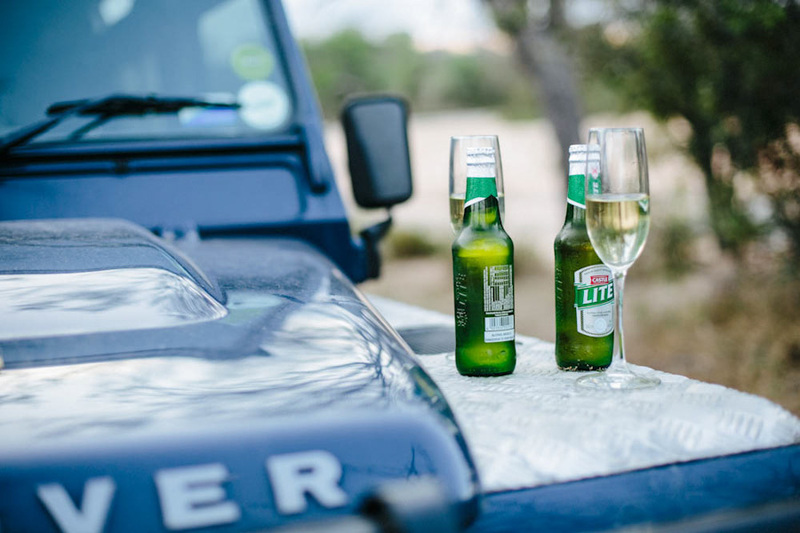 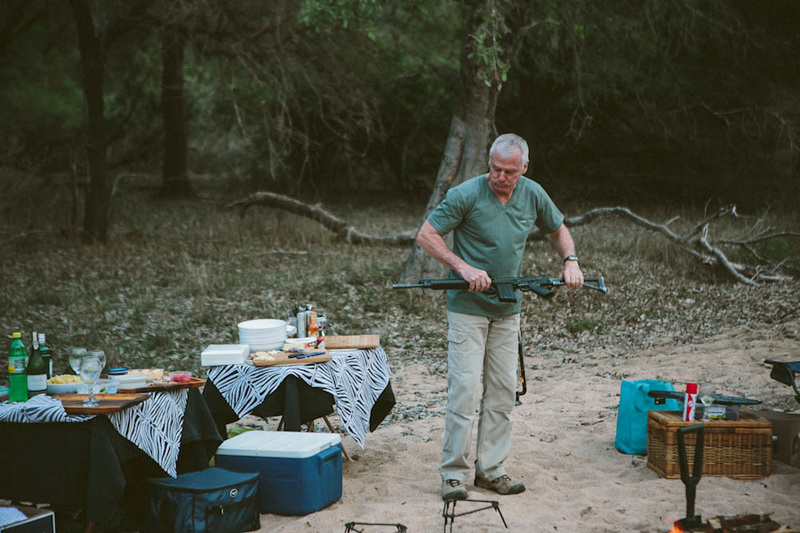 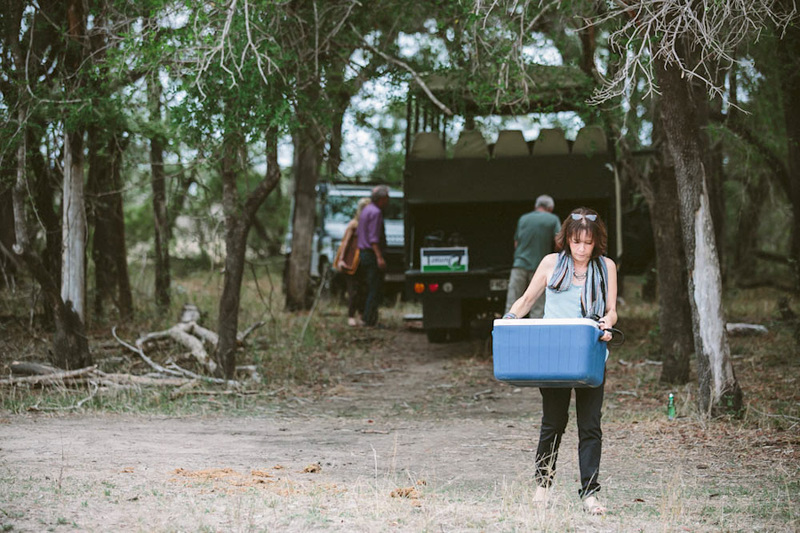 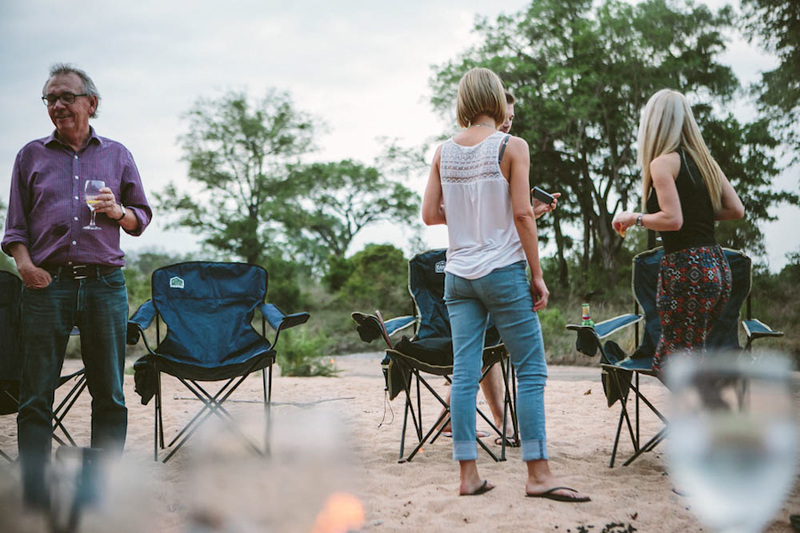 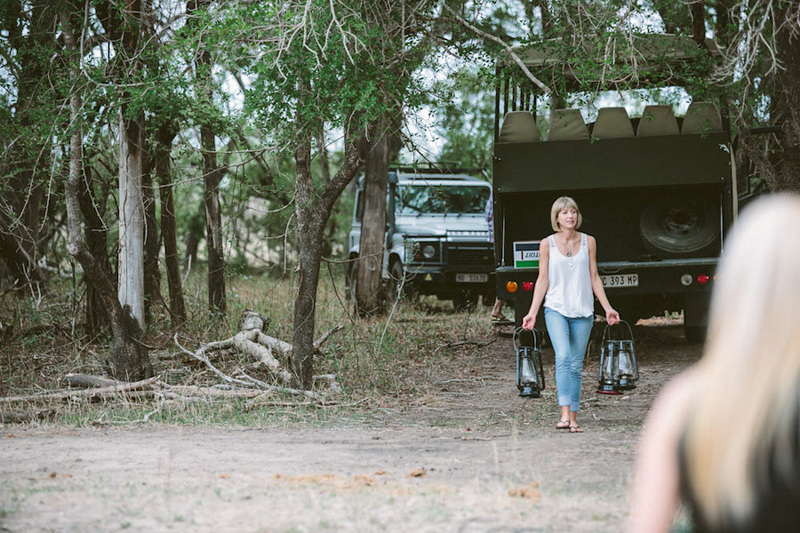 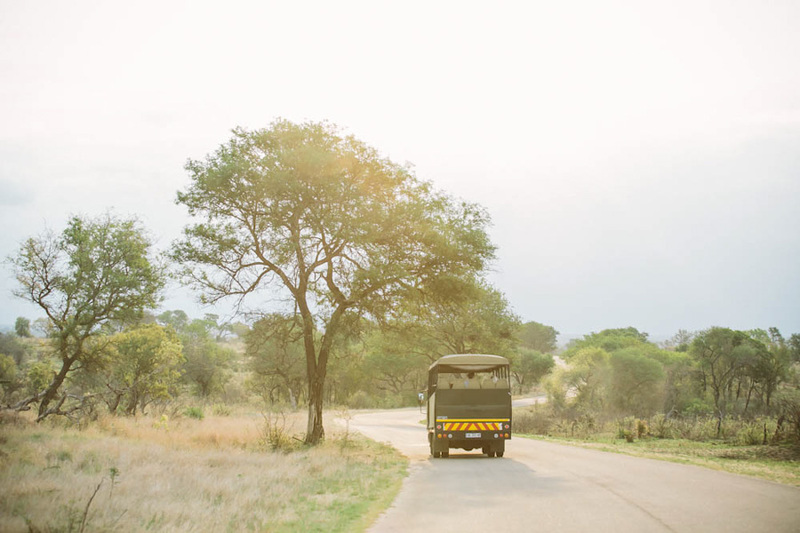 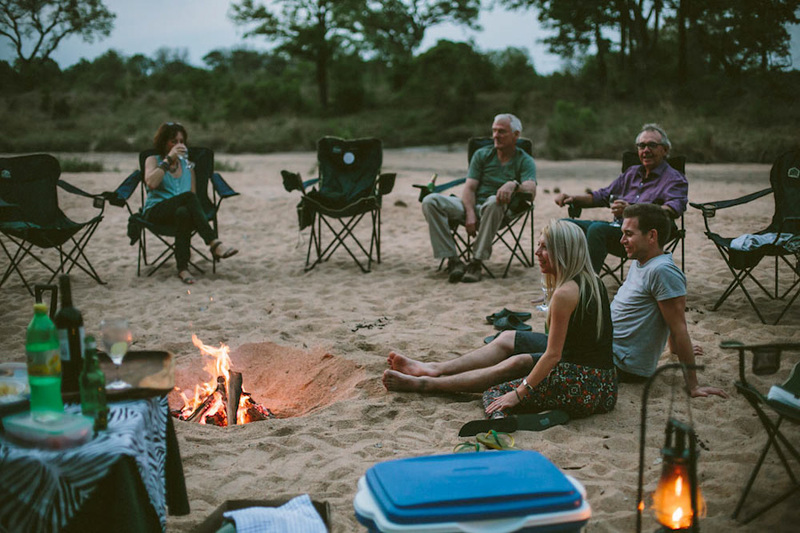 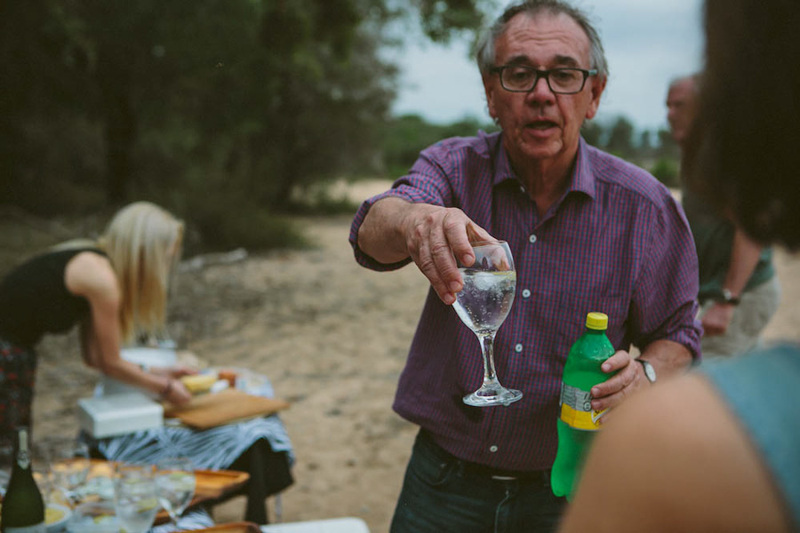 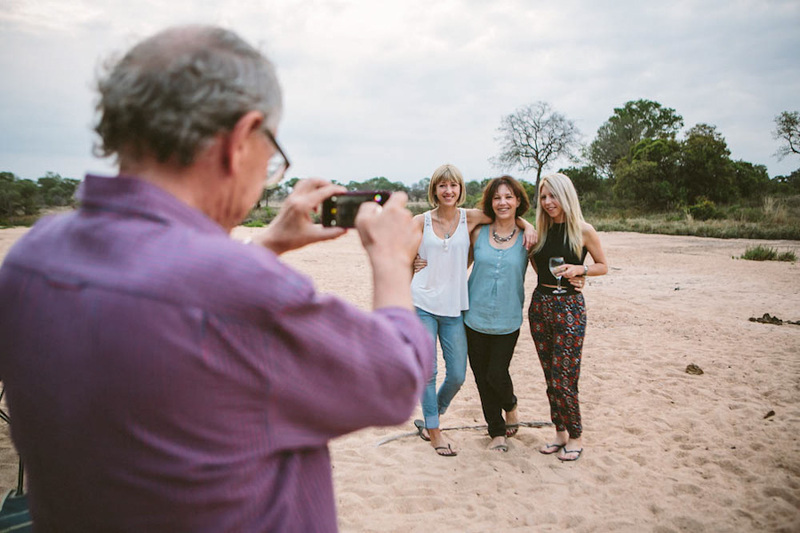 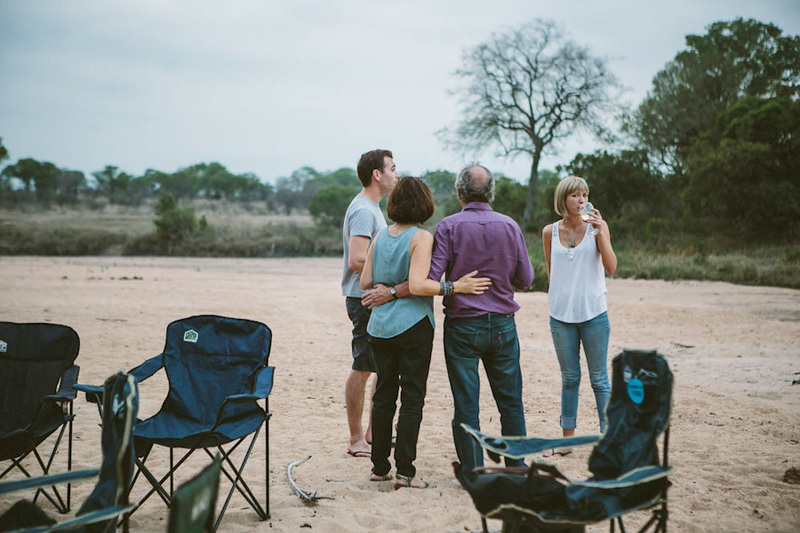 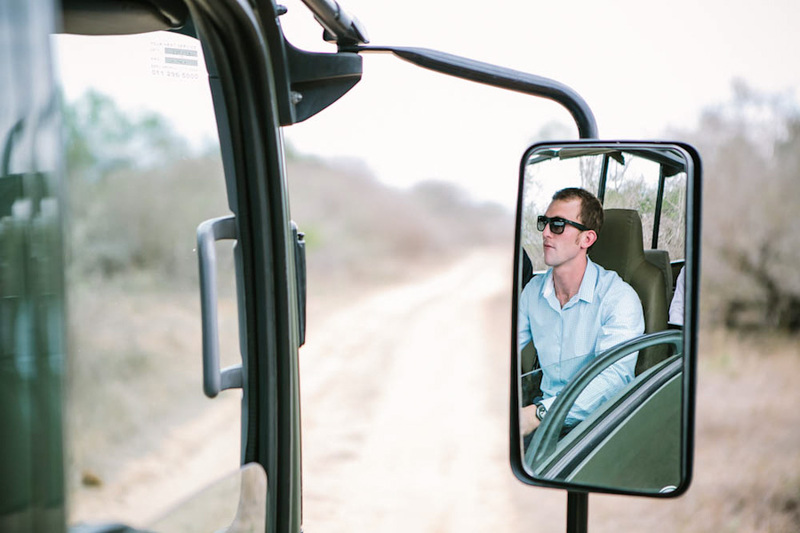 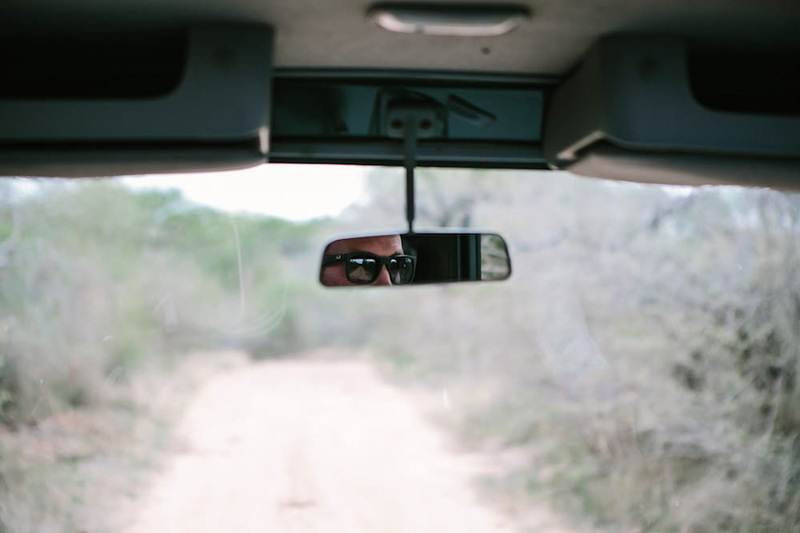 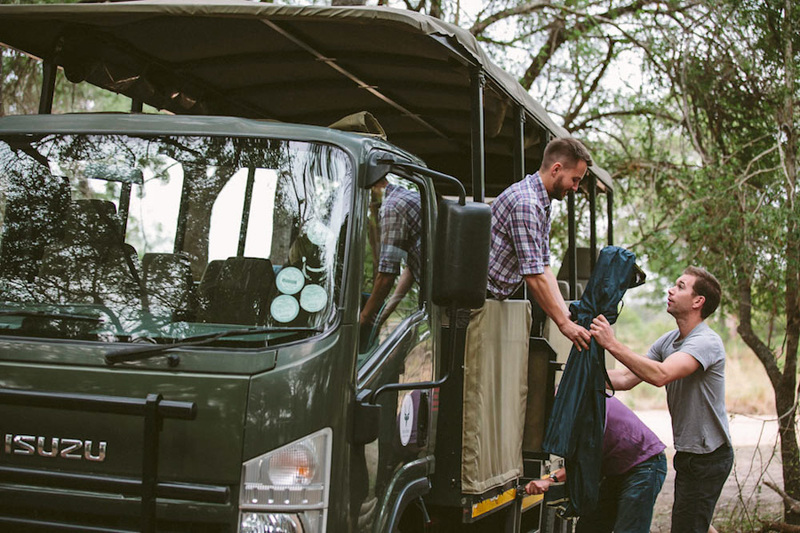 From the time we arrived in Kruger after a road trip in our own Landy, we felt nothing but welcomed and included by this small intimate group. 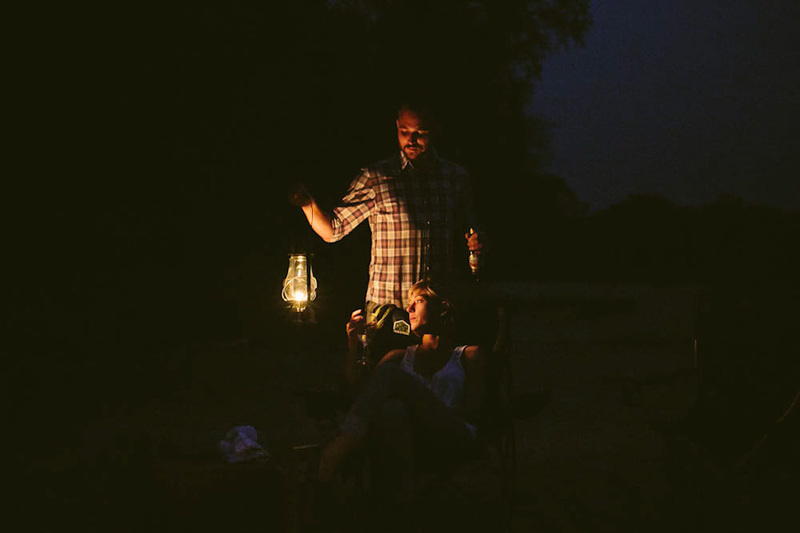 The night before their wedding we got to travel with them on the back roads in the Kruger not usually allowed for tourists to go and share sundowners and a bonfire with them. 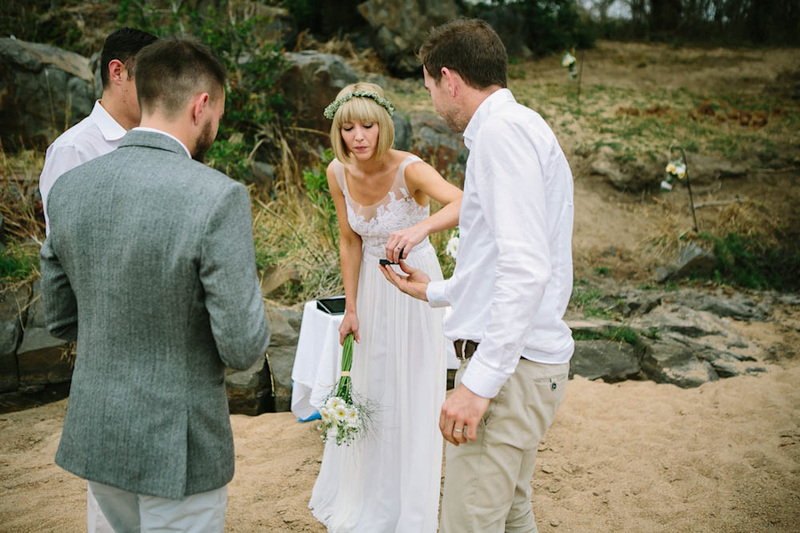 Kerryn and Jeff were super chilled and relaxed and it was awesome to chat and form the timeline for the next day’s wedding with them. 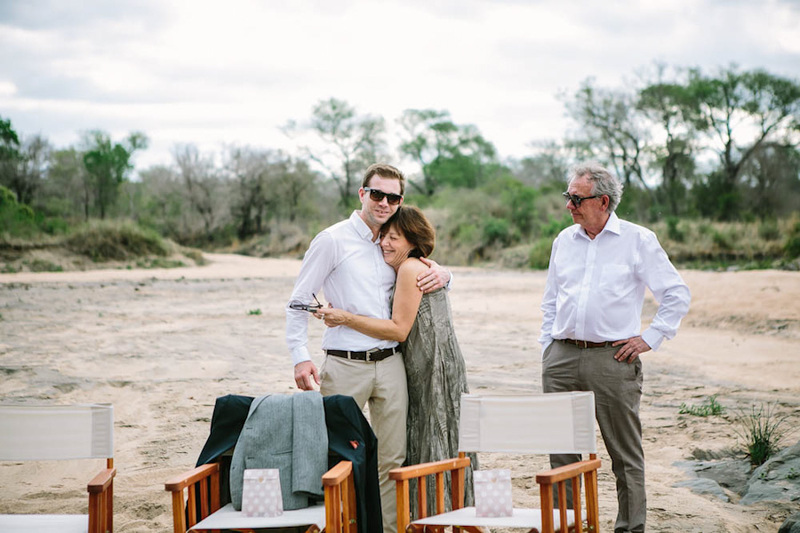 From the time we got to the abandoned dry river bed it was so special to see these two families interact and be so at ease and comfortable with each other. 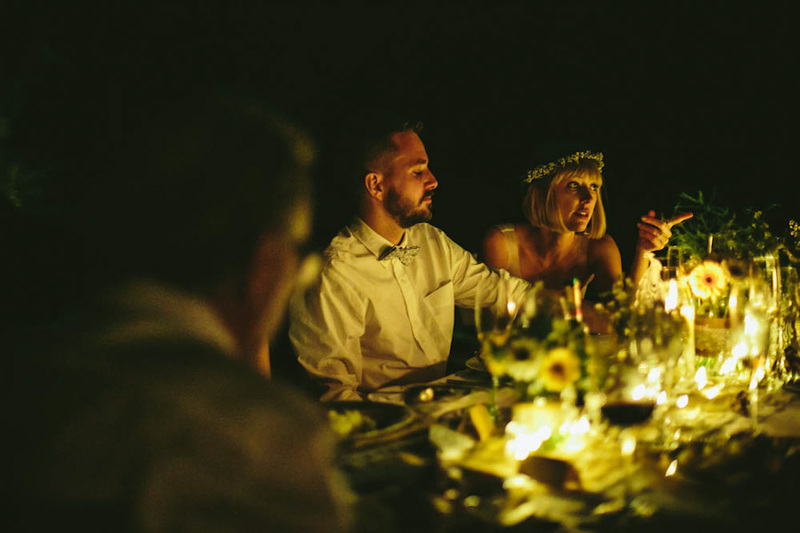 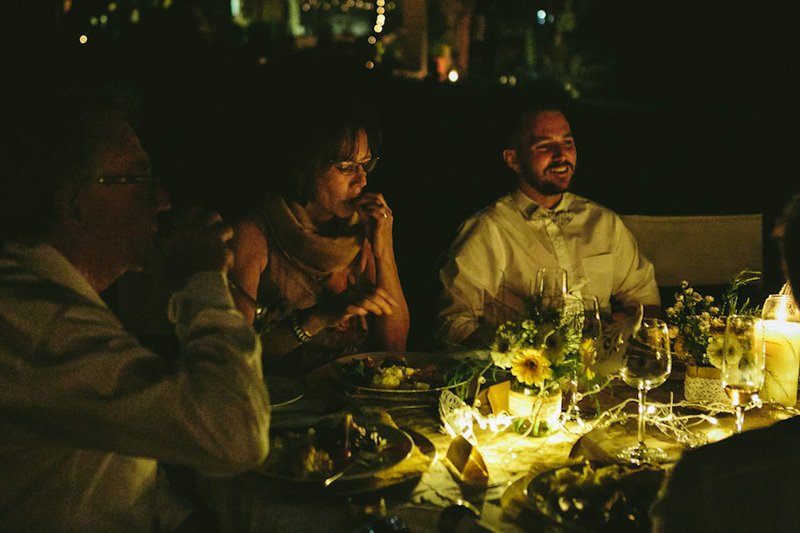 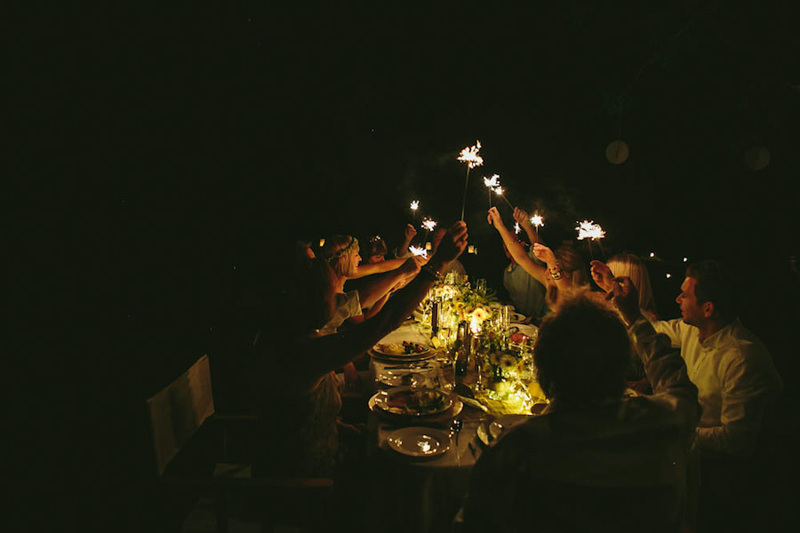 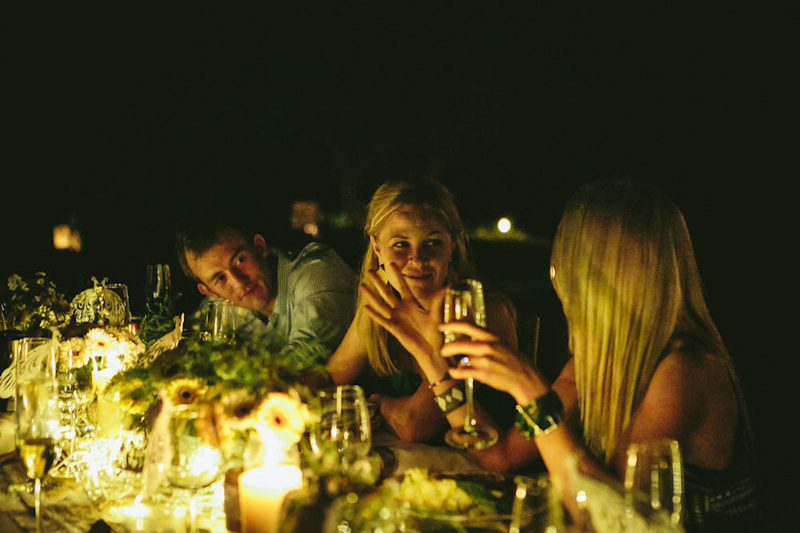 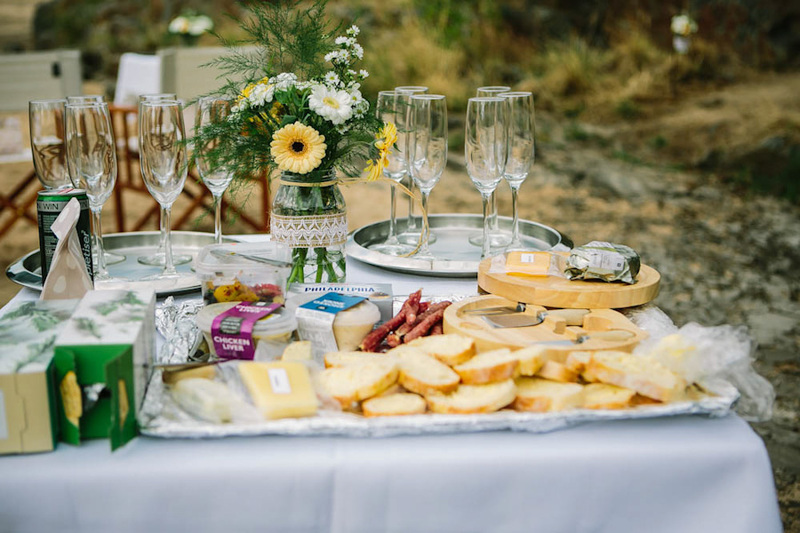 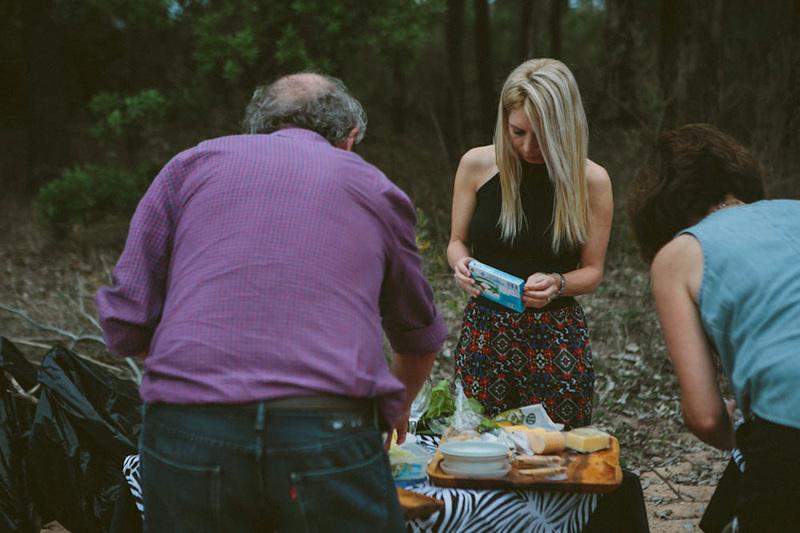 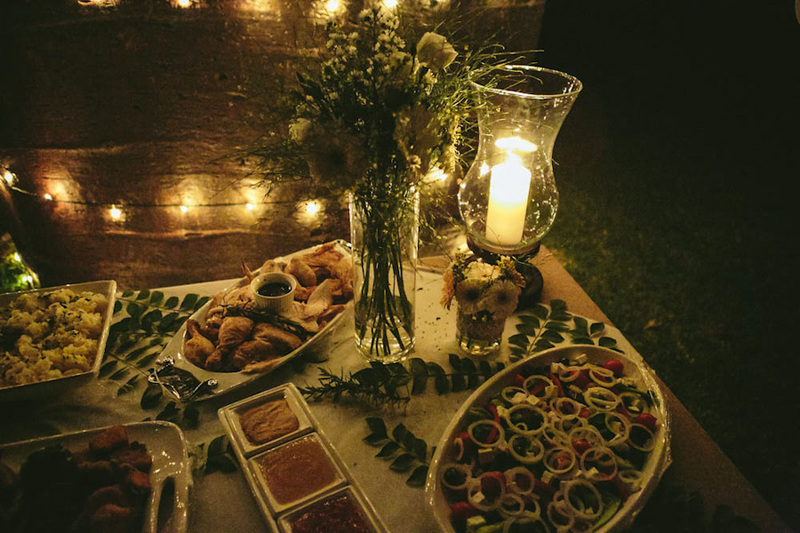 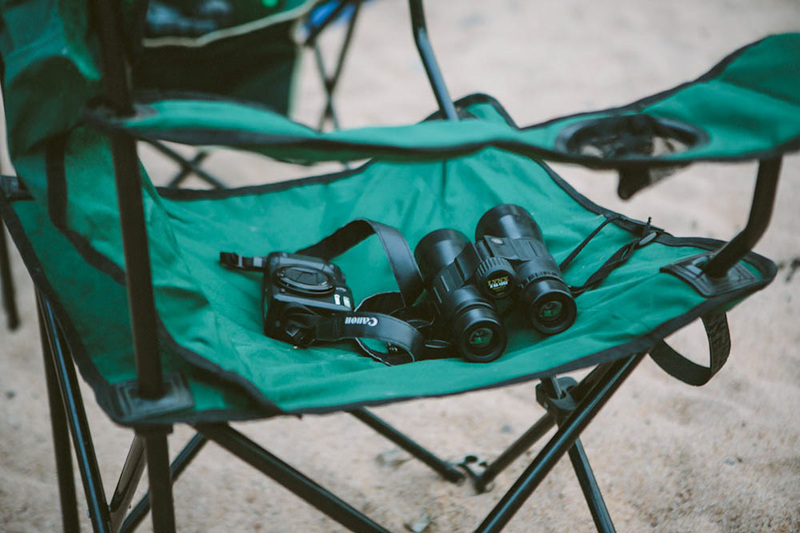 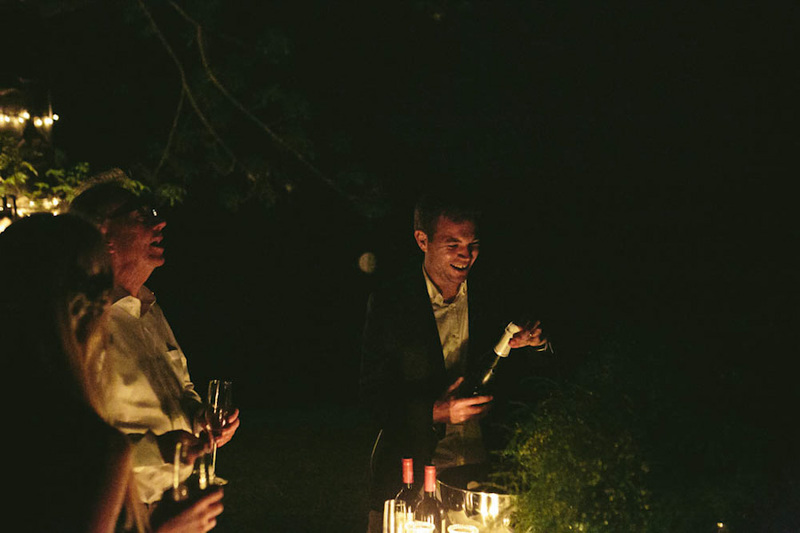 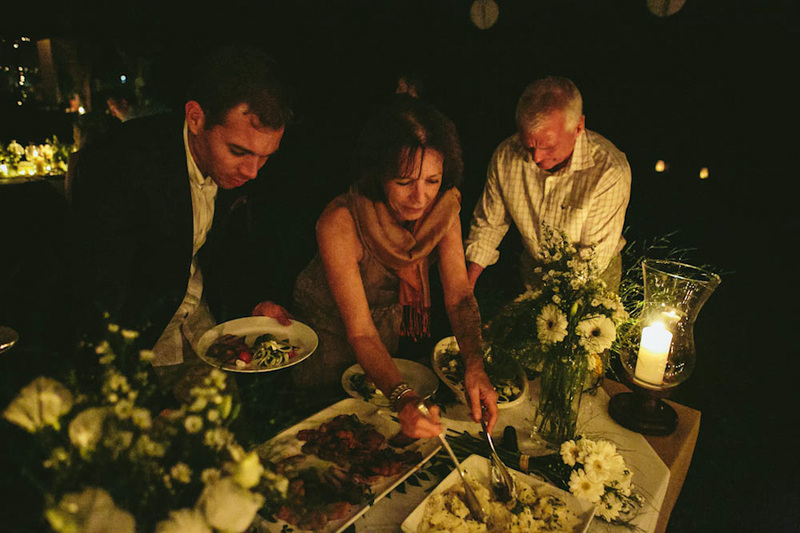 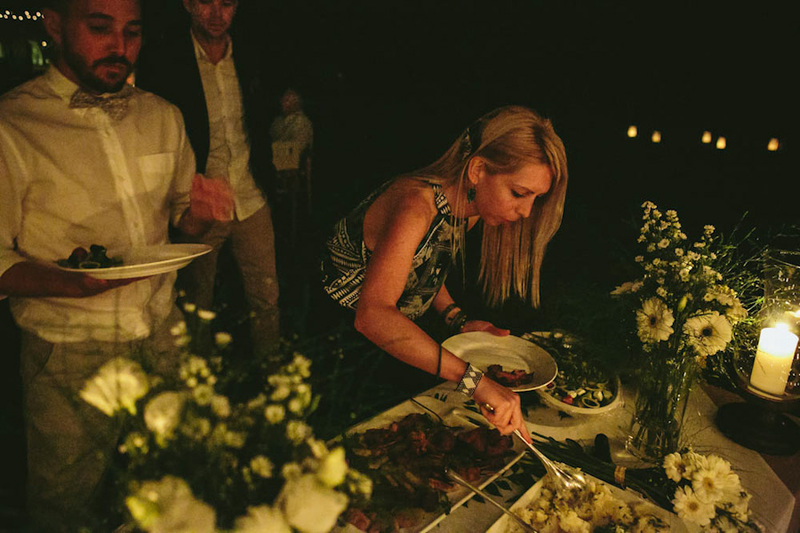 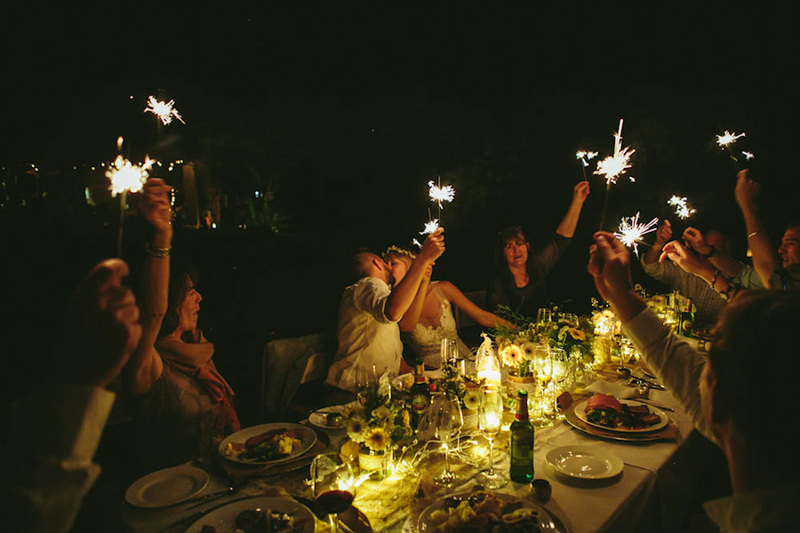 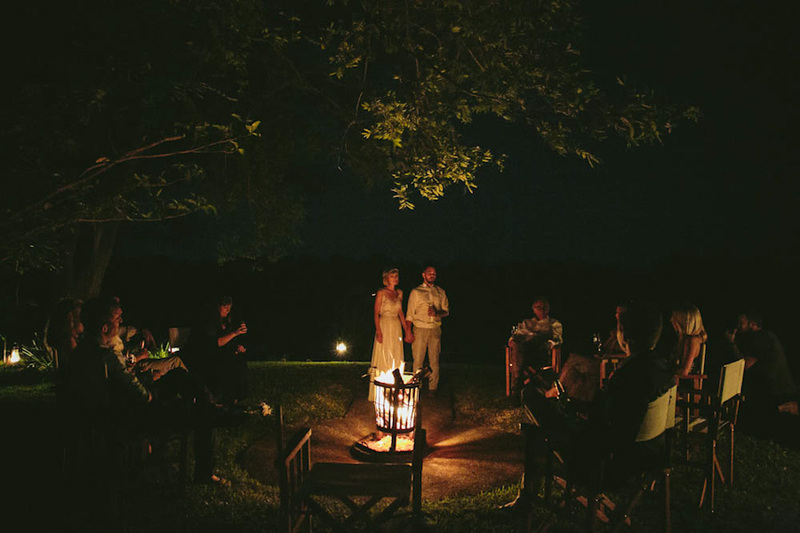 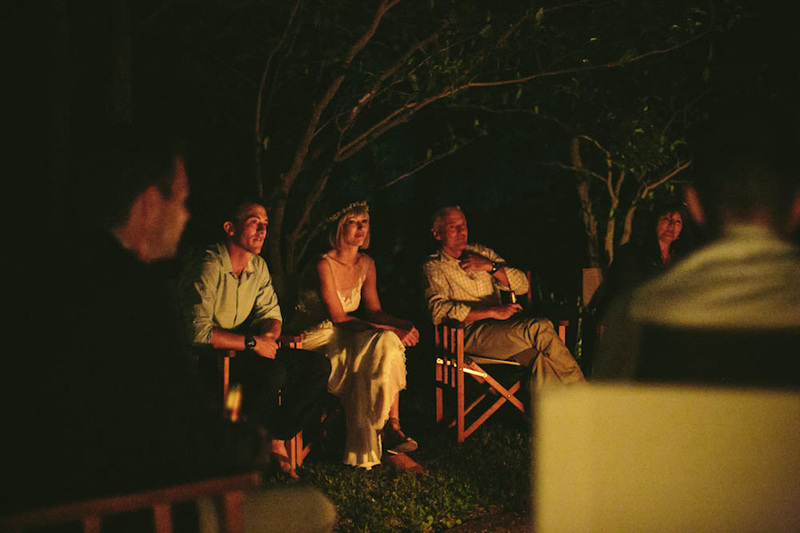 While they encouraged us to just share and enjoy this evening with them, we couldnt help but document this peaceful and magical evenings of these two families uniting together under a starlit sky and surrounded by the calls of various animals. 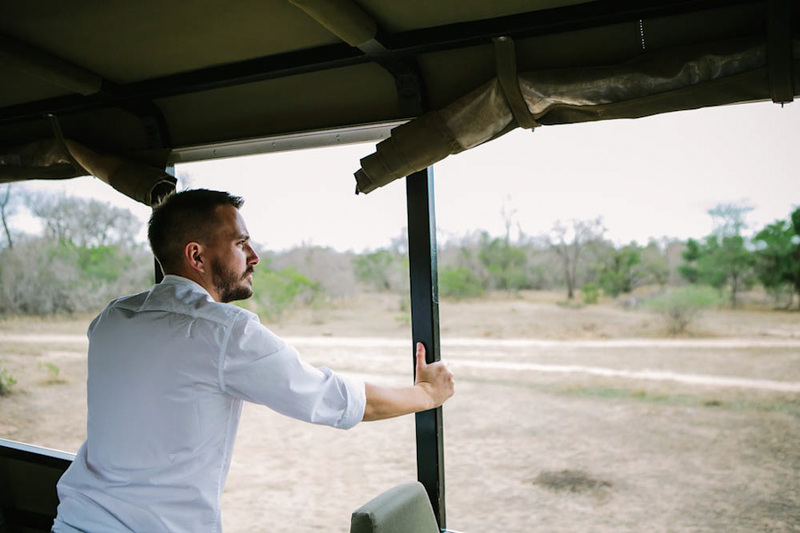 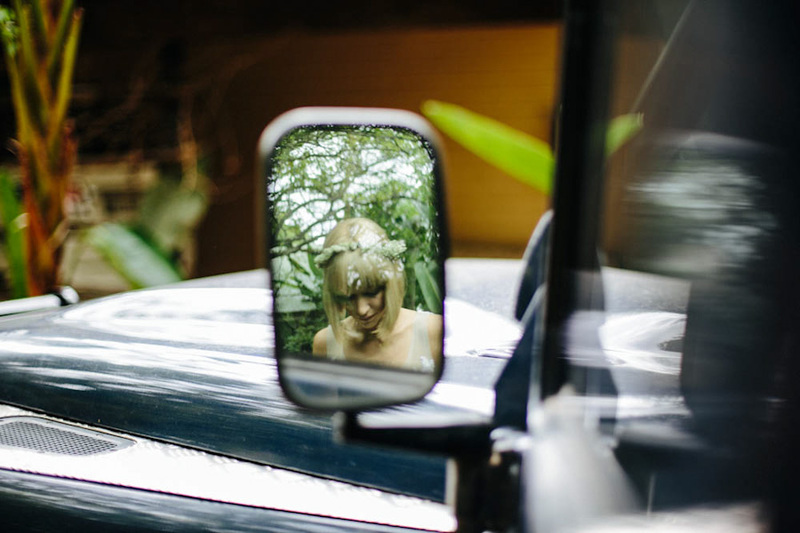 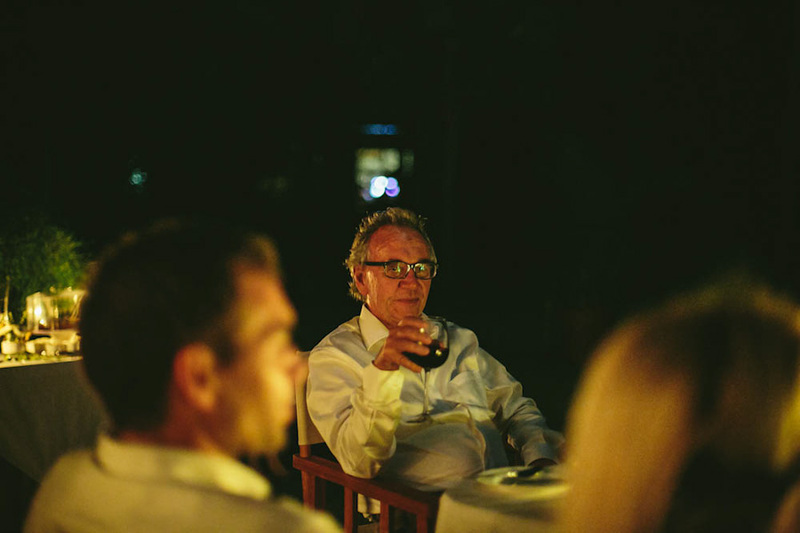 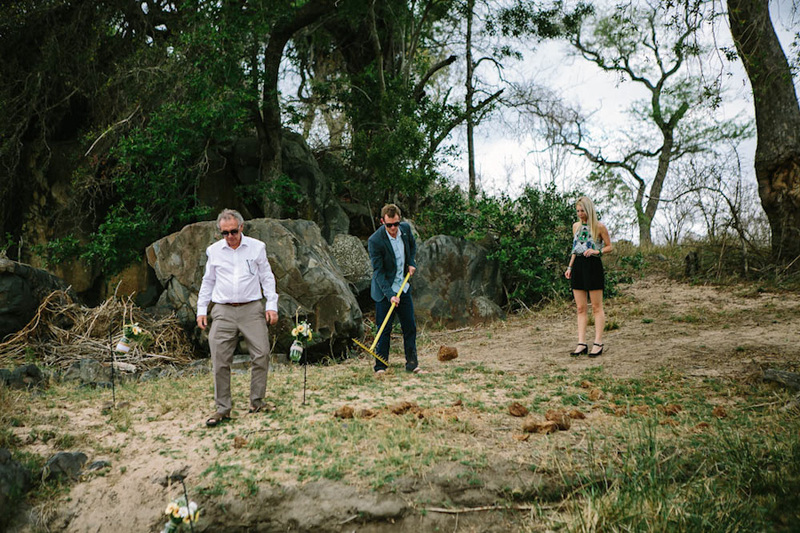 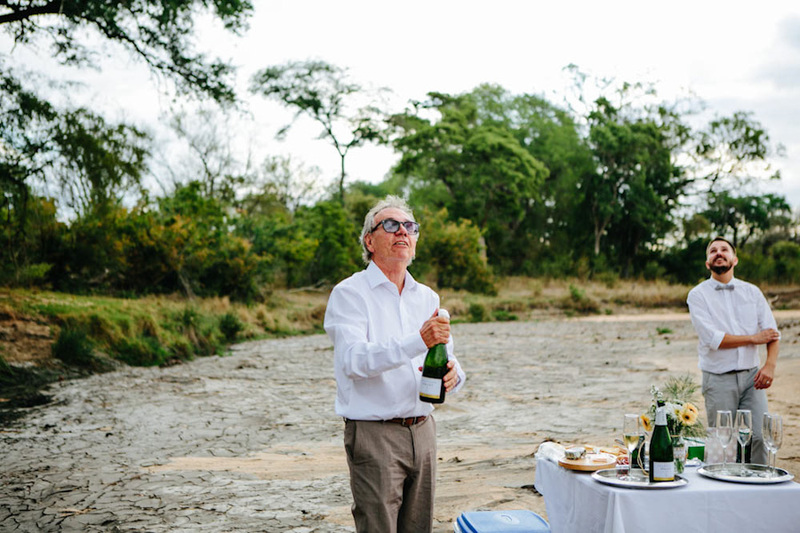 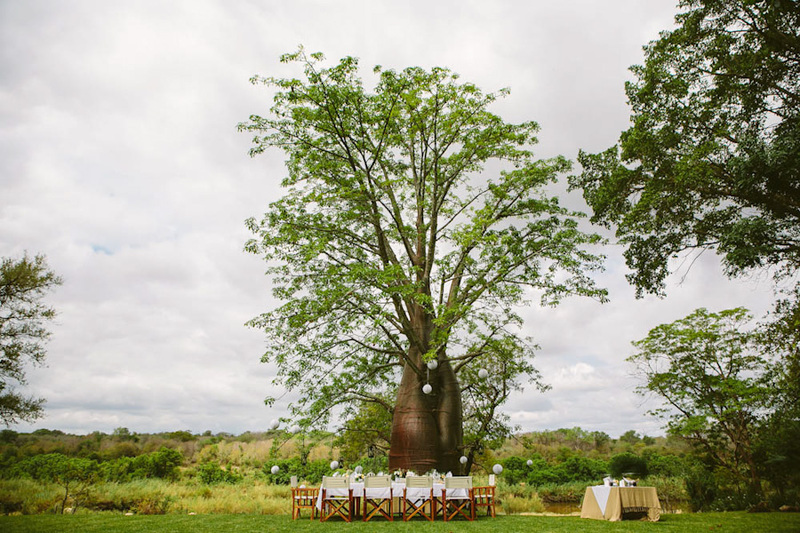 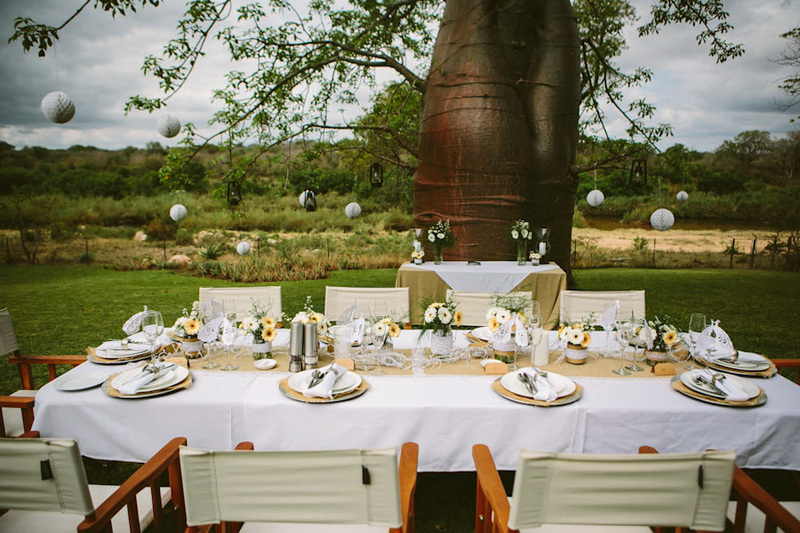 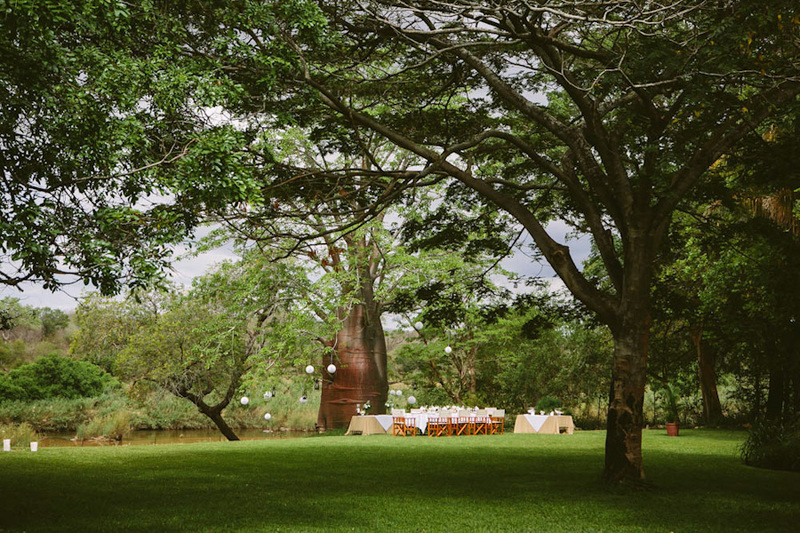 After spending the morning driving around Kruger and going picture mad with all the incredible wildlife we saw, we arrived at Kerryn’s family home to find in their garden, under the big baobab which sat on the edge of the Sabie river, the most magical “reception” area we have ever seen. 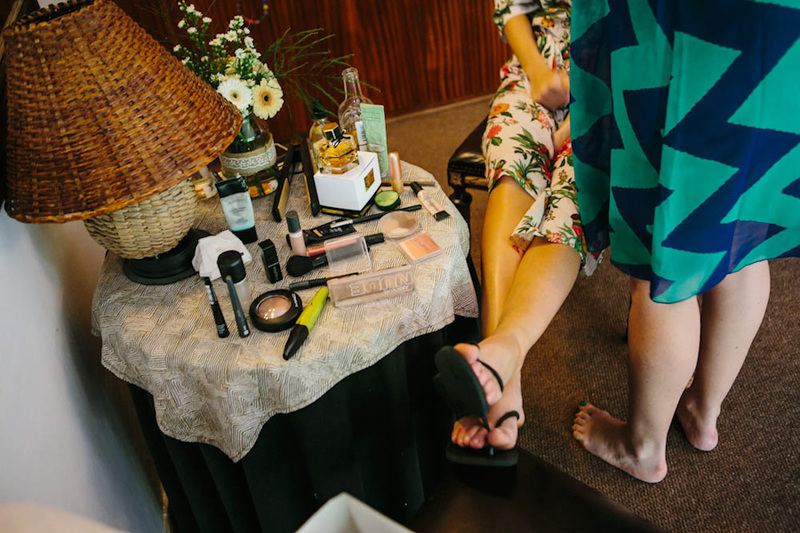 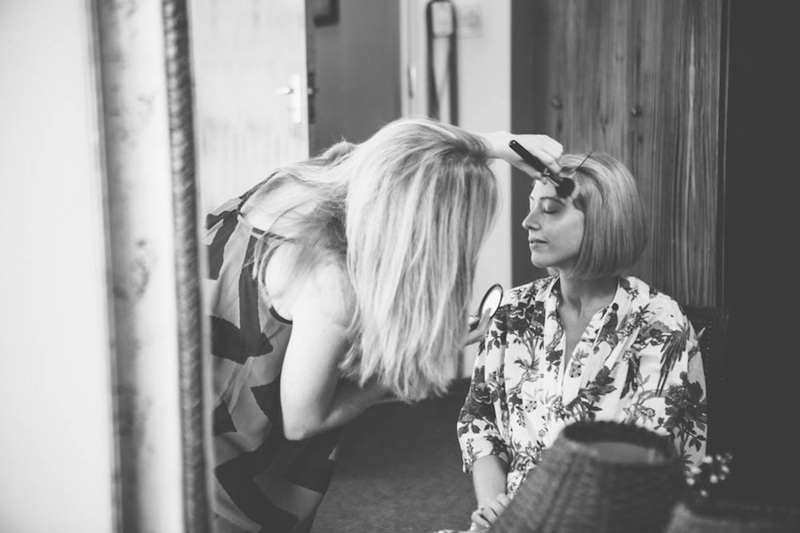 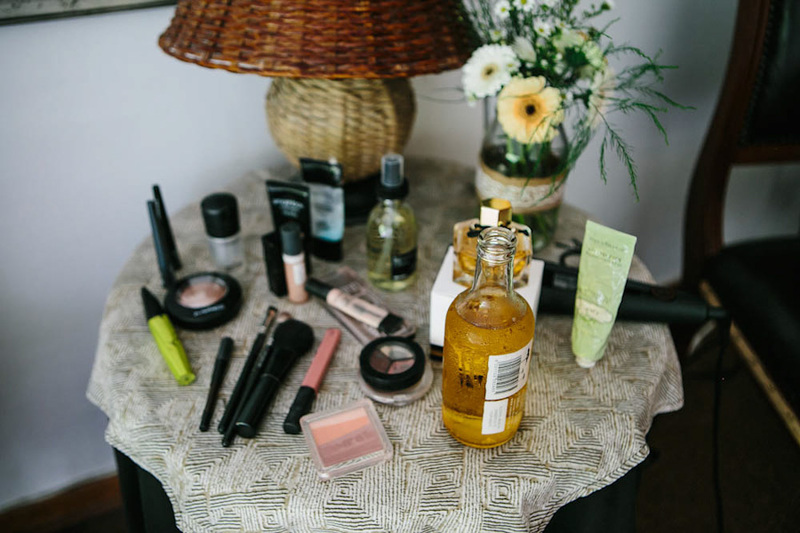 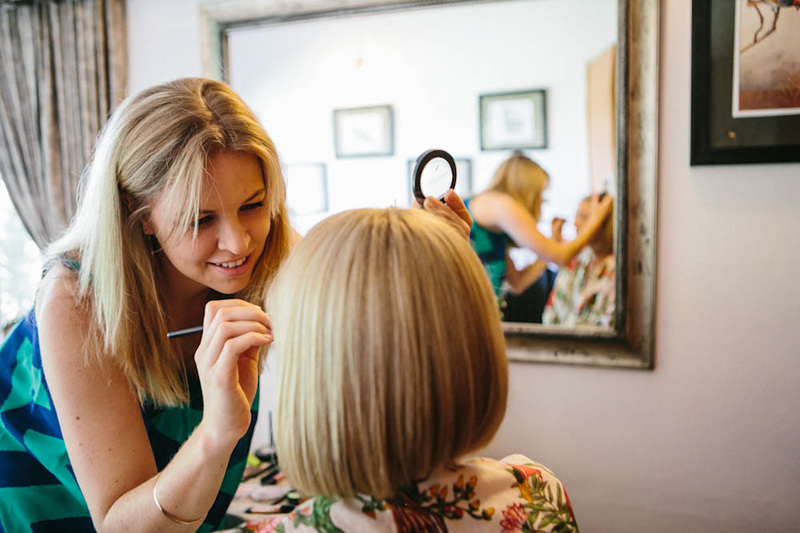 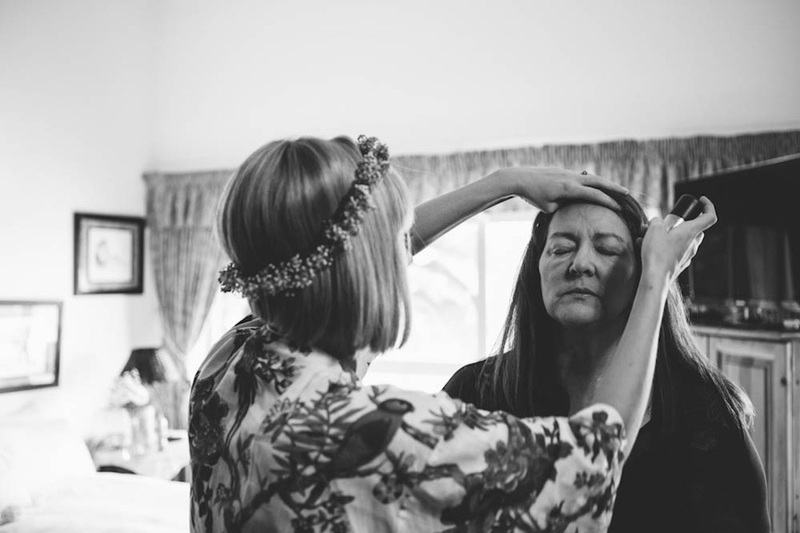 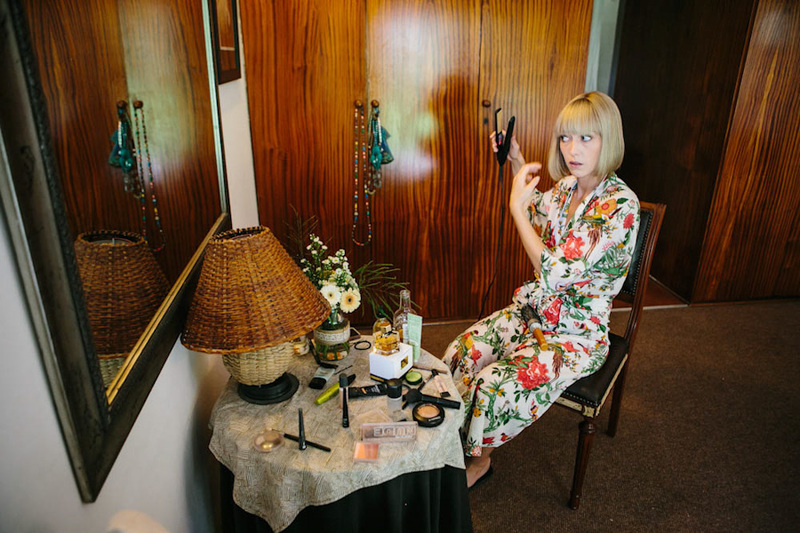 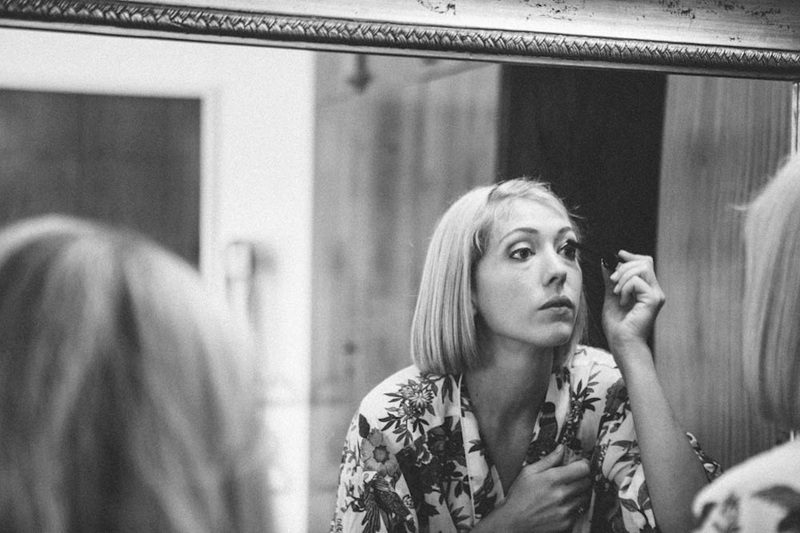 Kerryn with the help of her lovely sister in law Ane got ready at her house. 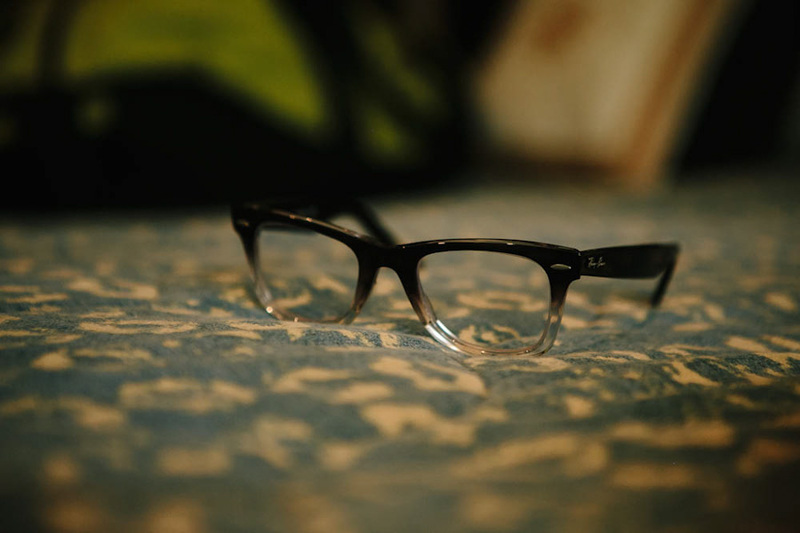 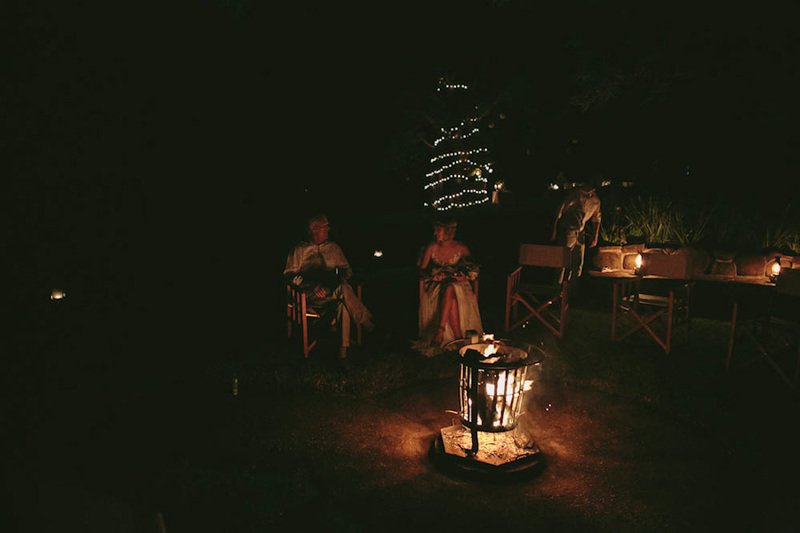 There was zero pretension and just such a lovely calm atmosphere that was a treat to be witness to. 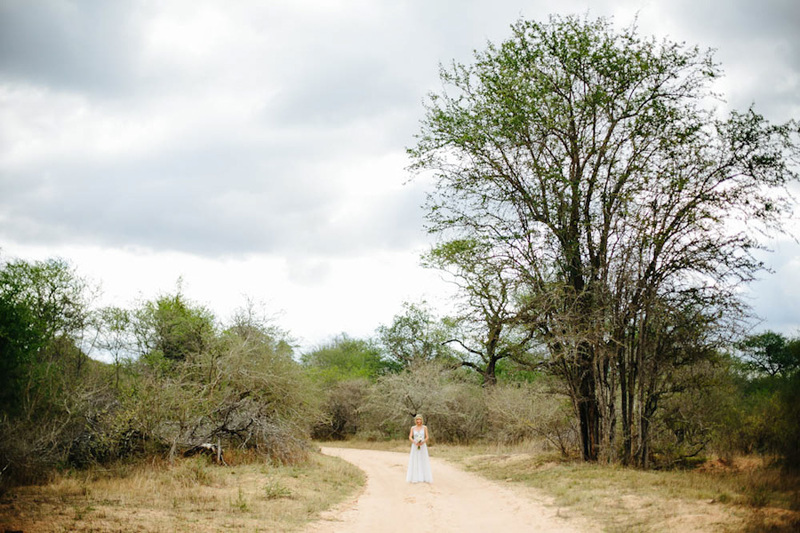 It was a complete joy stopping along the way to the ceremony (also in an off the track location seen by virtually no one except some elephants and leopards) to take pictures of Kerryn in places as unique and special as their entire wedding was. 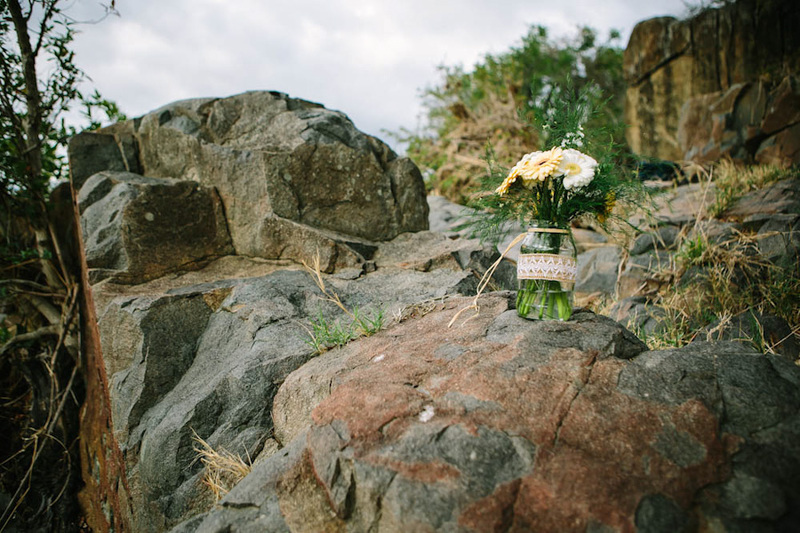 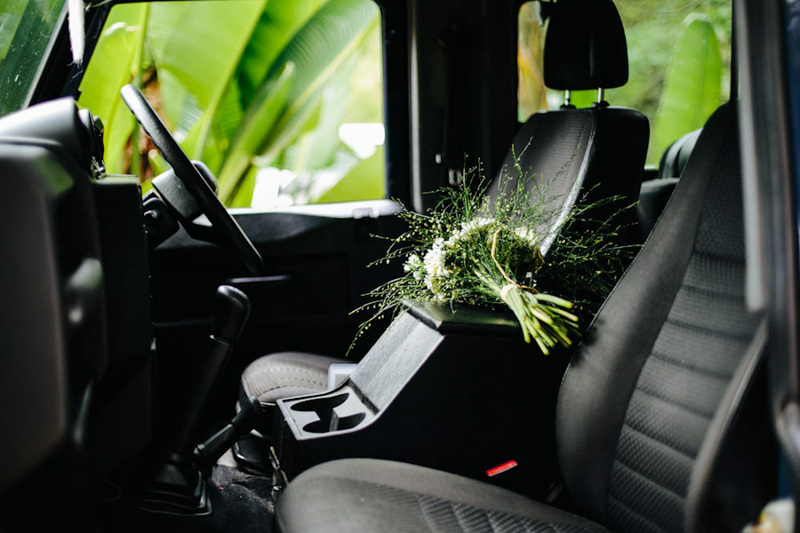 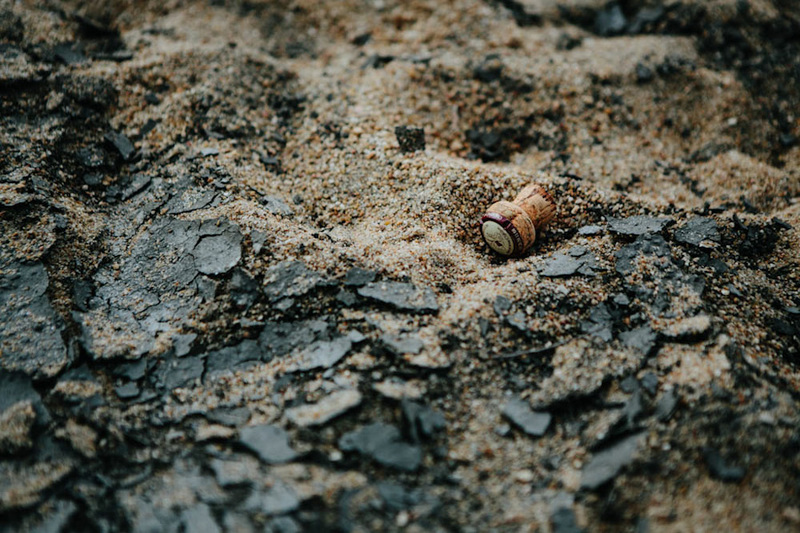 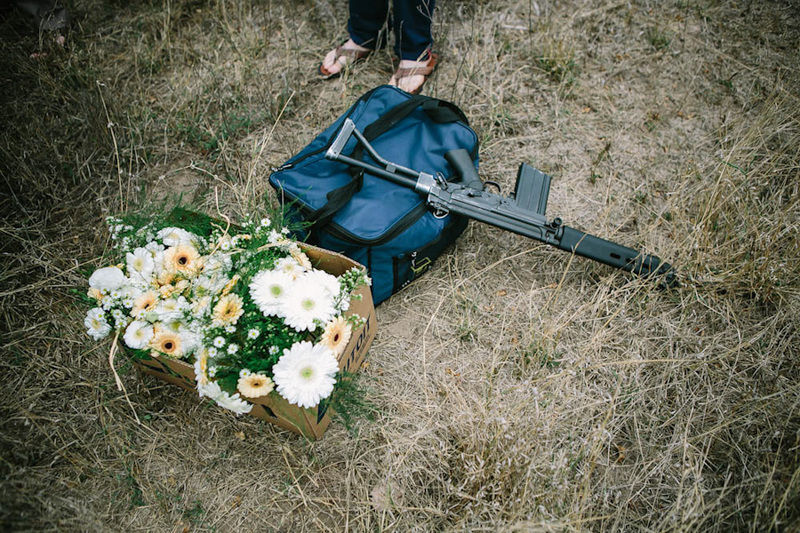 While we were en route in Andy the Landy, Andy my husband watched the rest of the family set up the ceremony area with such love in a spot untouched by other humans. 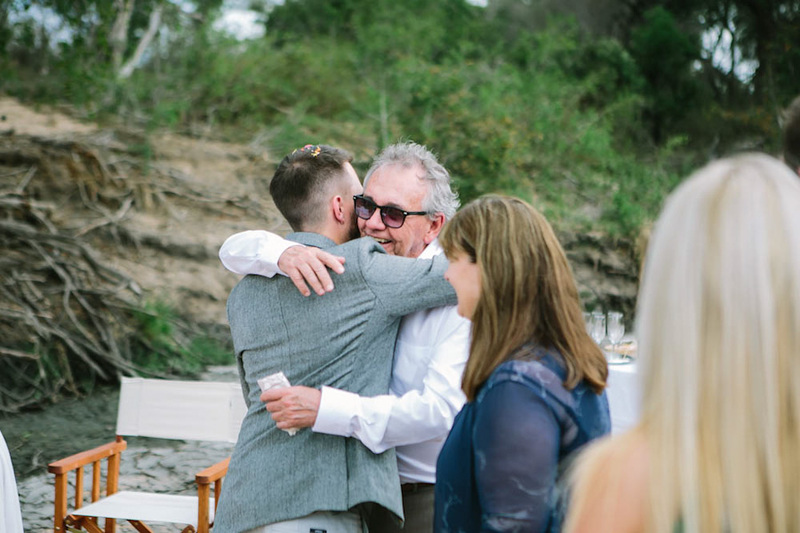 Witnessing this ceremony was something so special and powerful for us and by the end of it we felt like these people were an extension of our own family. 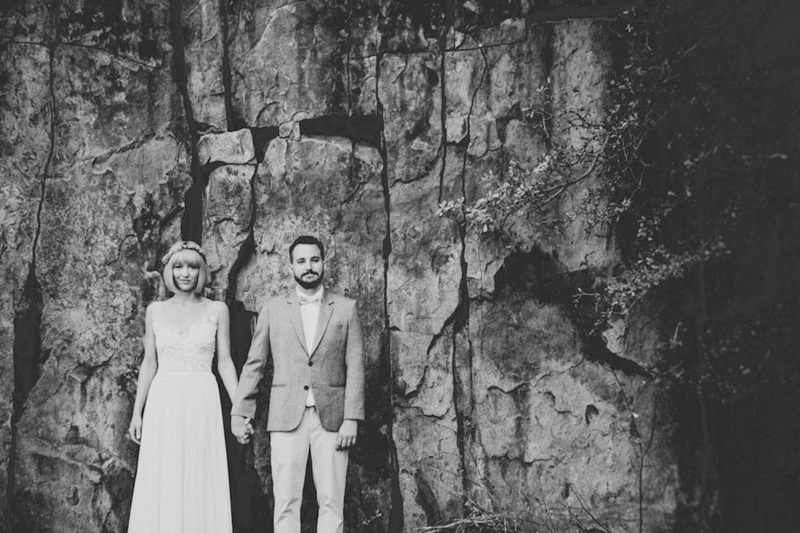 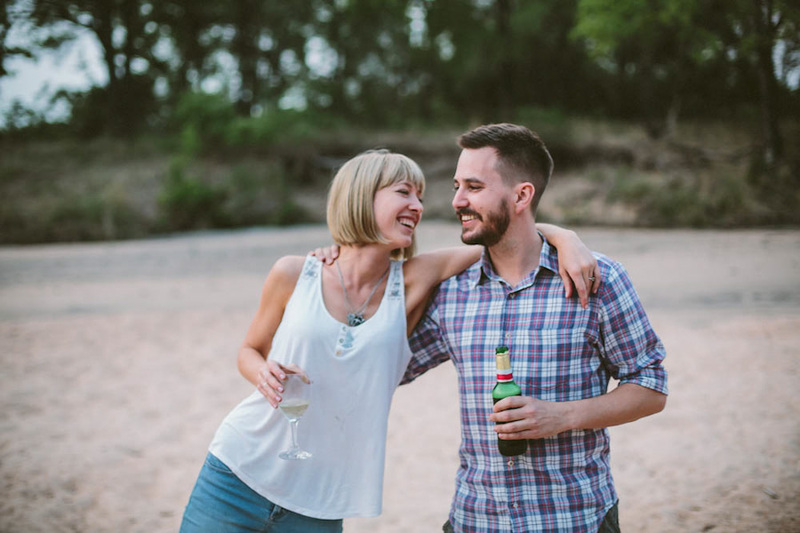 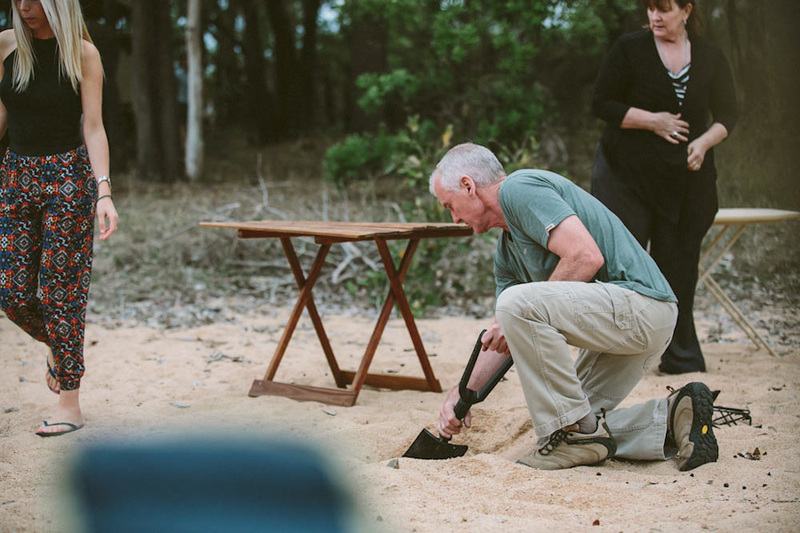 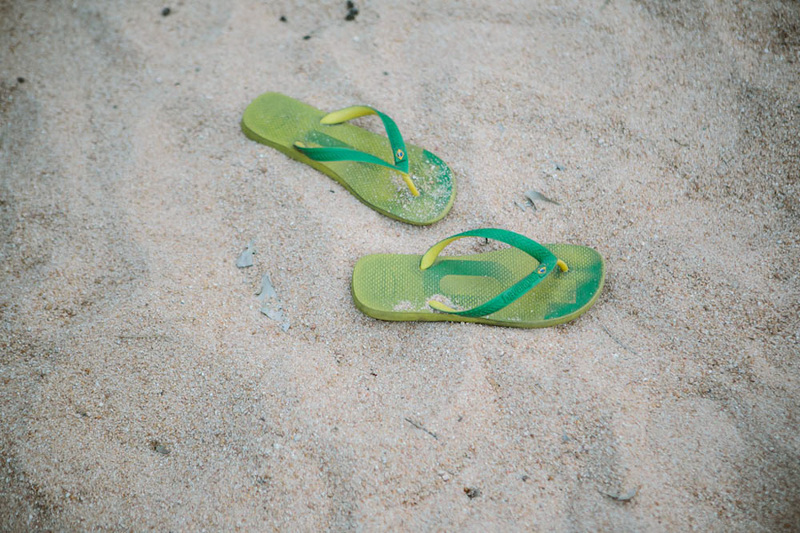 Kerryn and Jeff were so much fun on the couple shoot and we really felt more like we were hanging out with old friends. 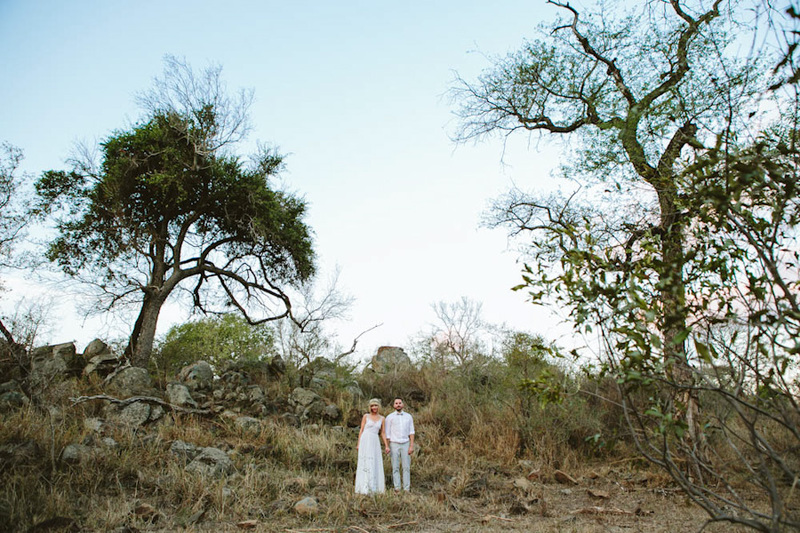 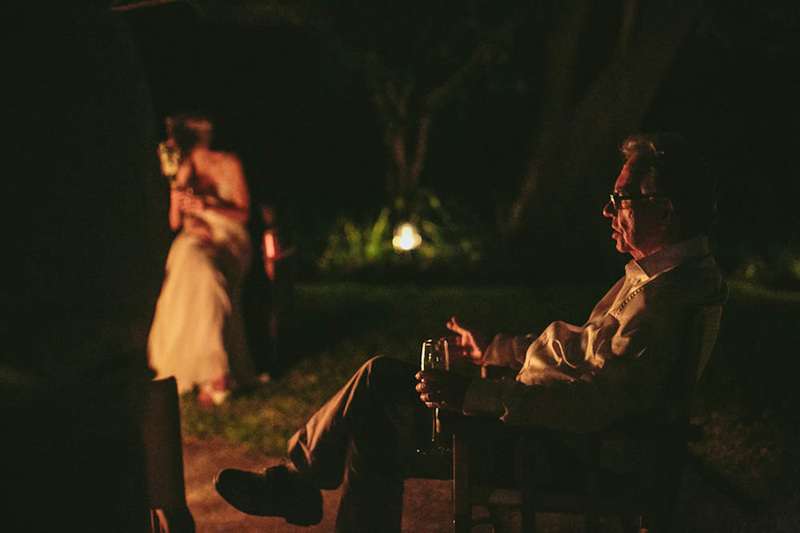 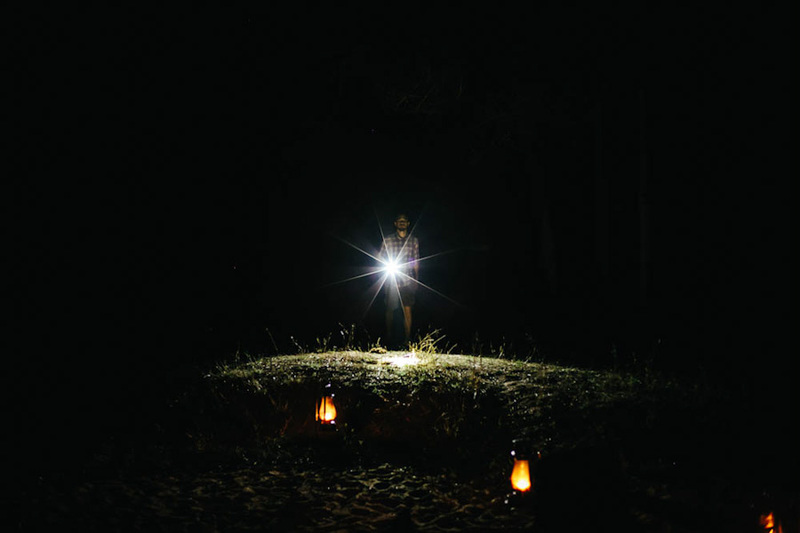 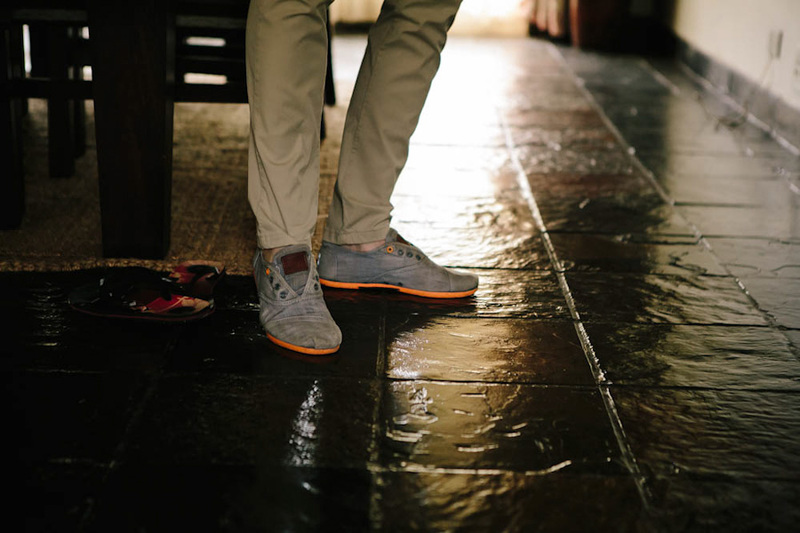 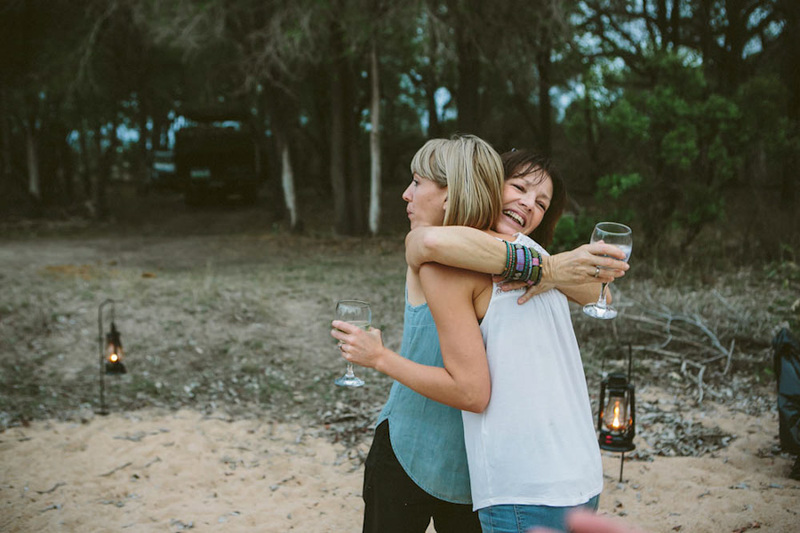 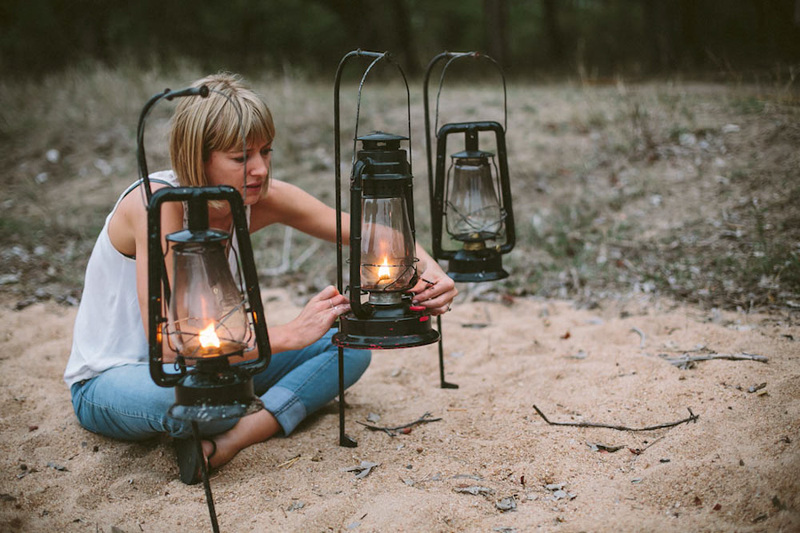 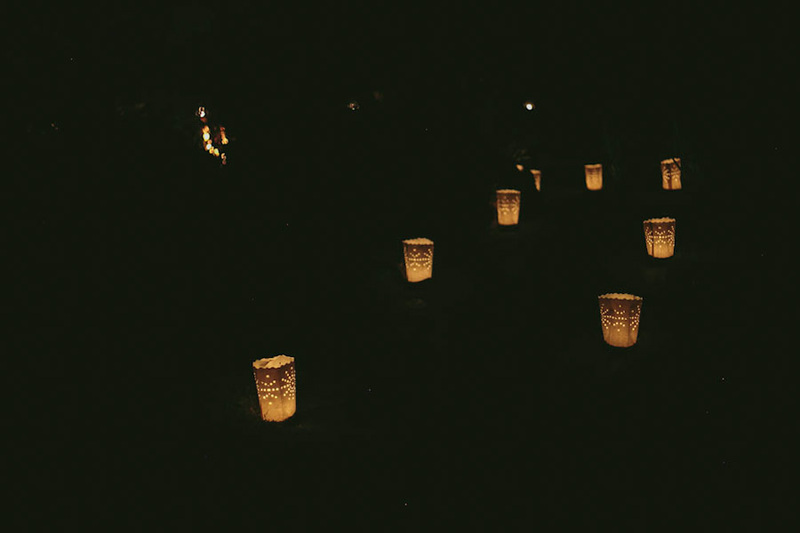 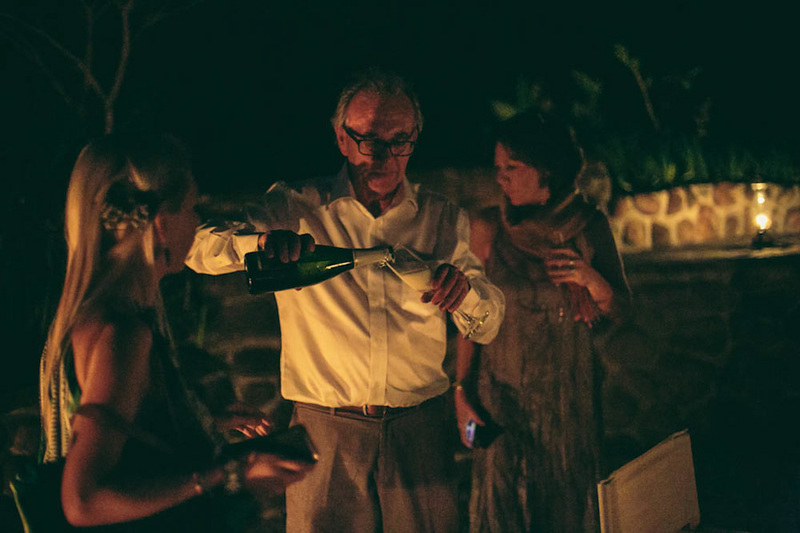 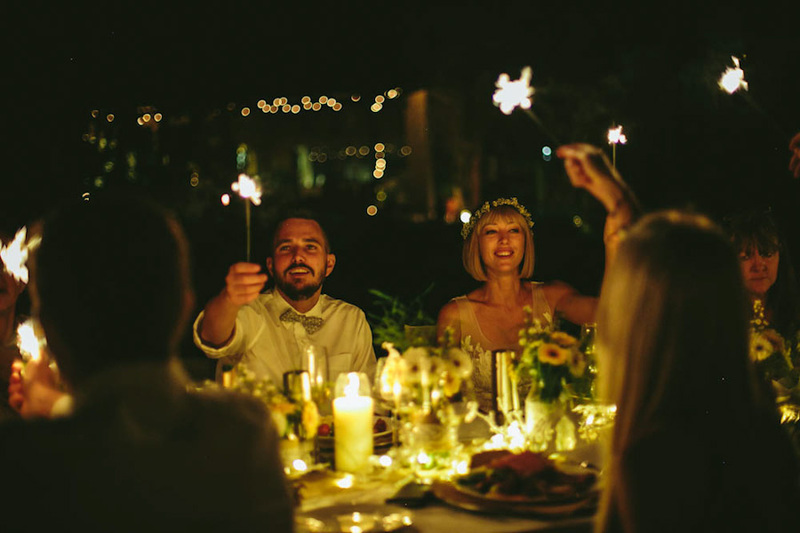 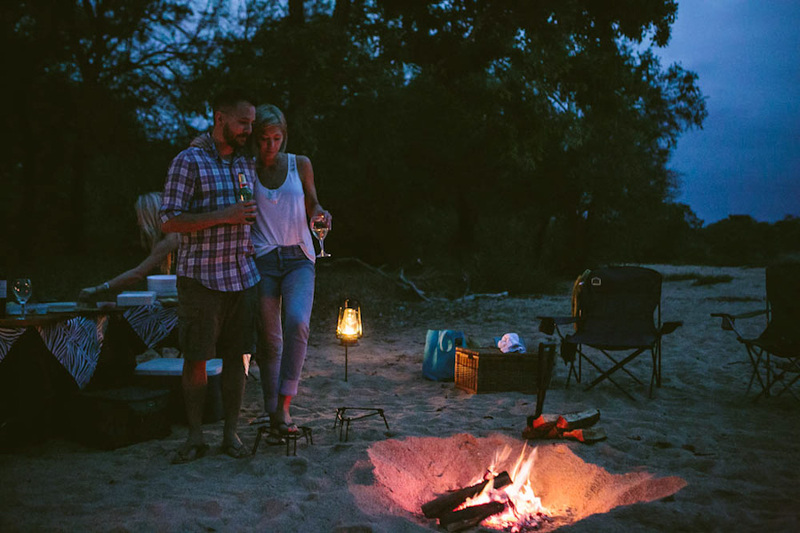 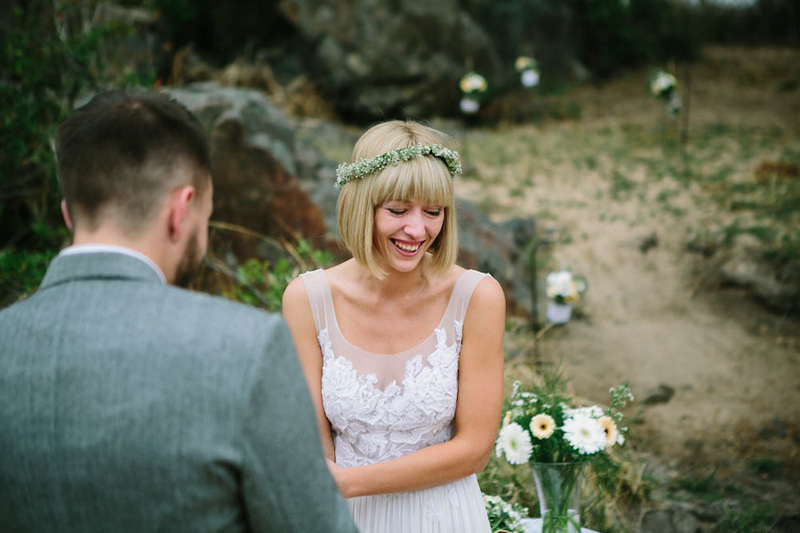 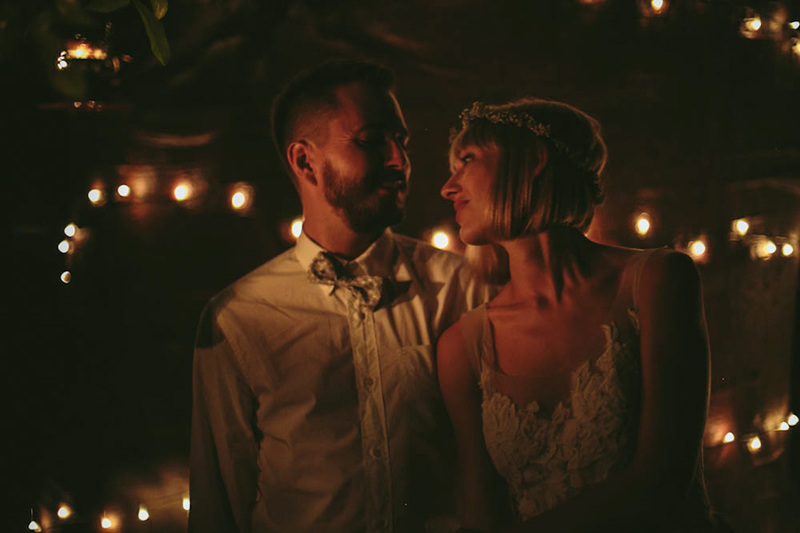 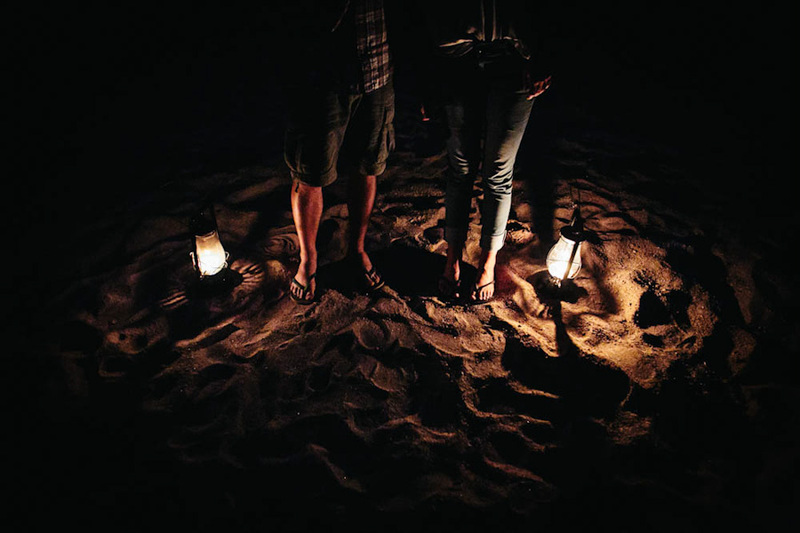 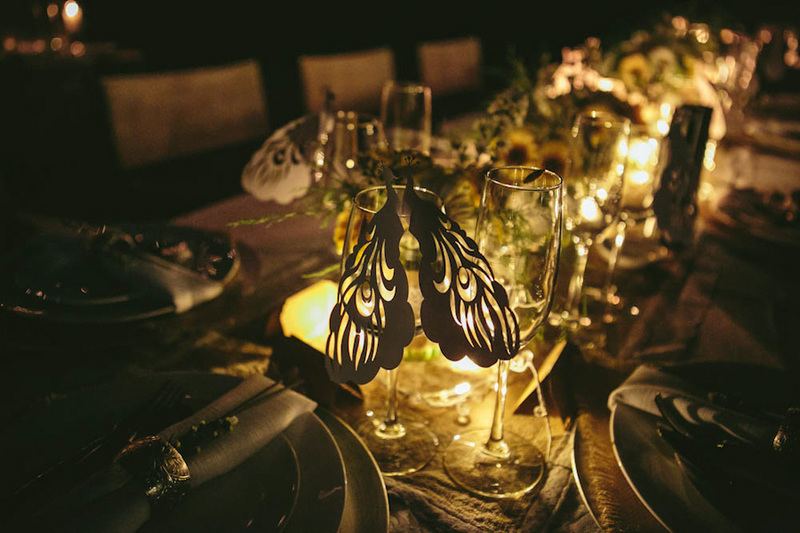 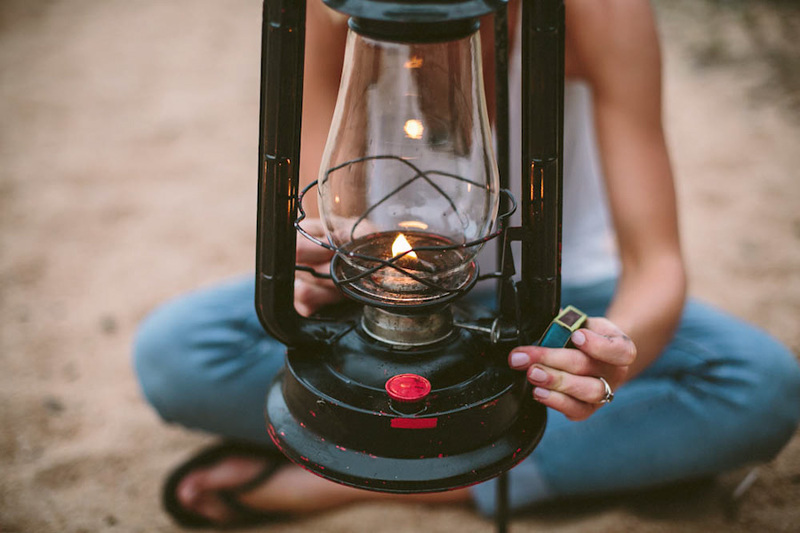 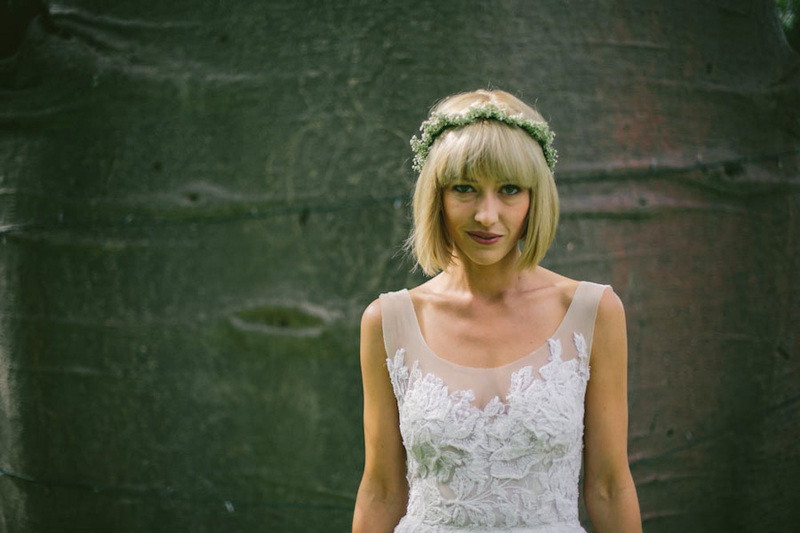 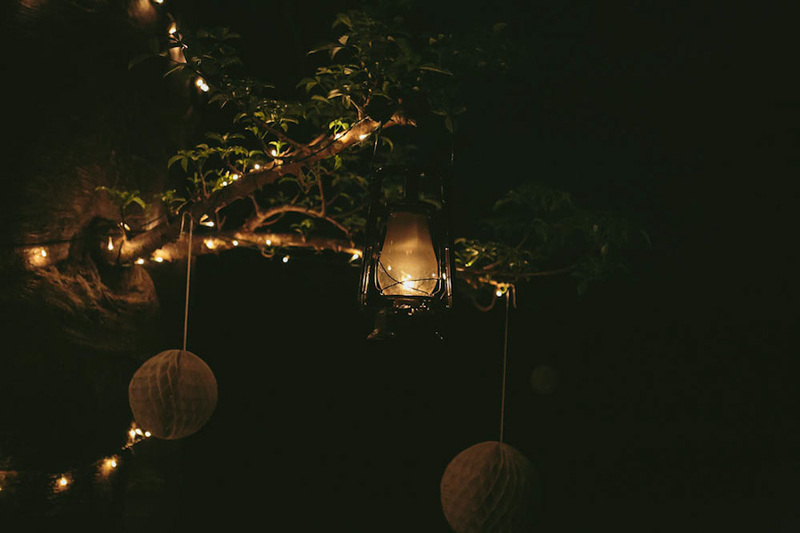 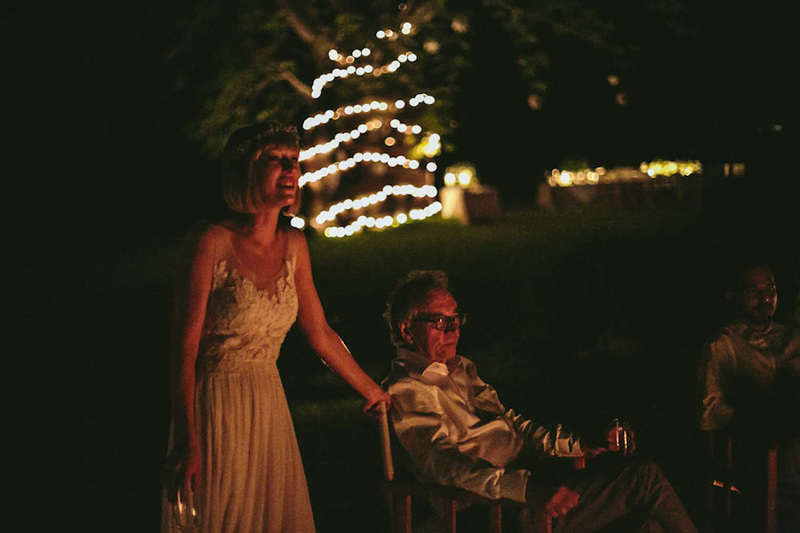 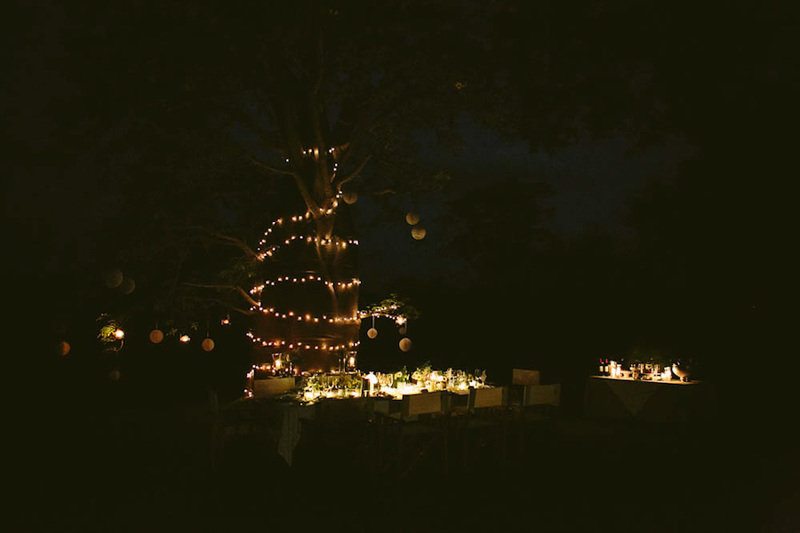 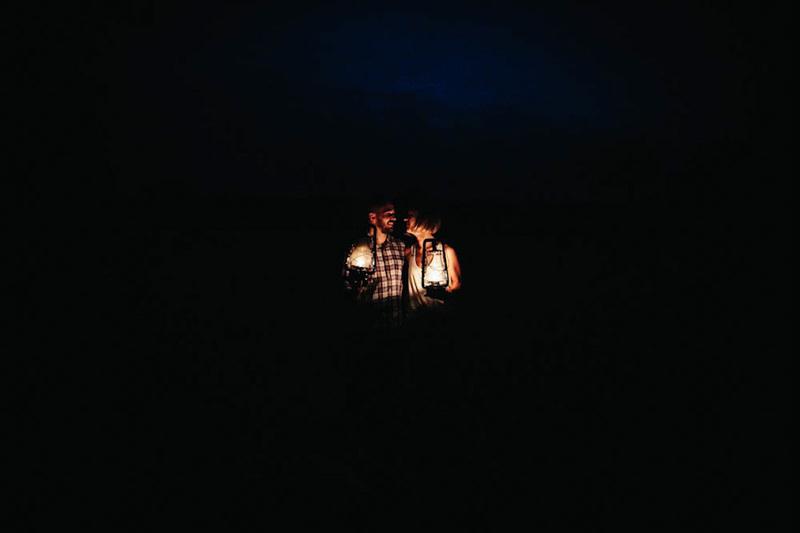 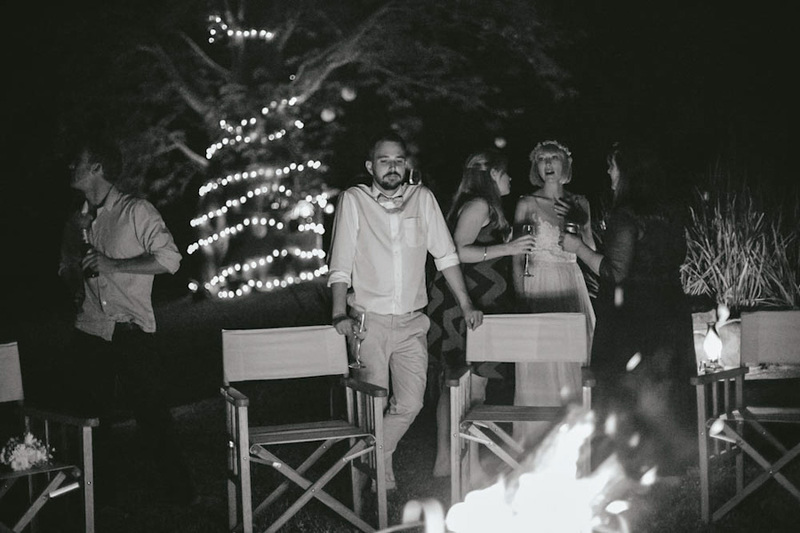 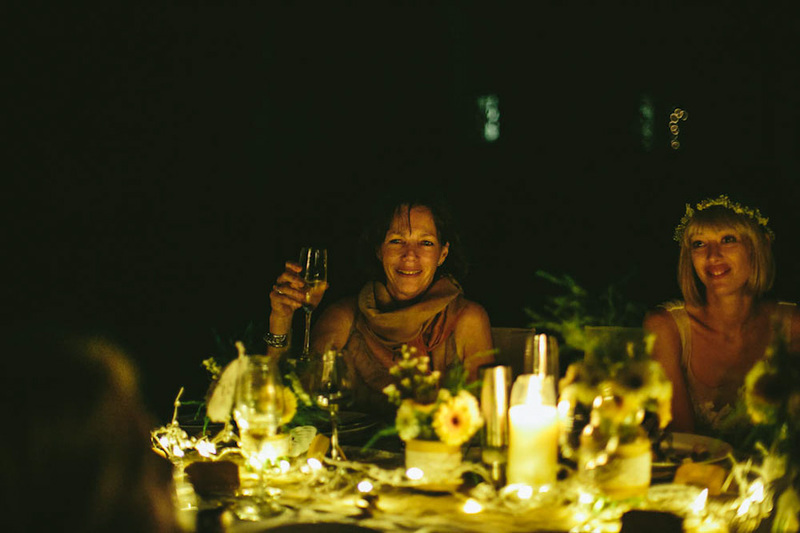 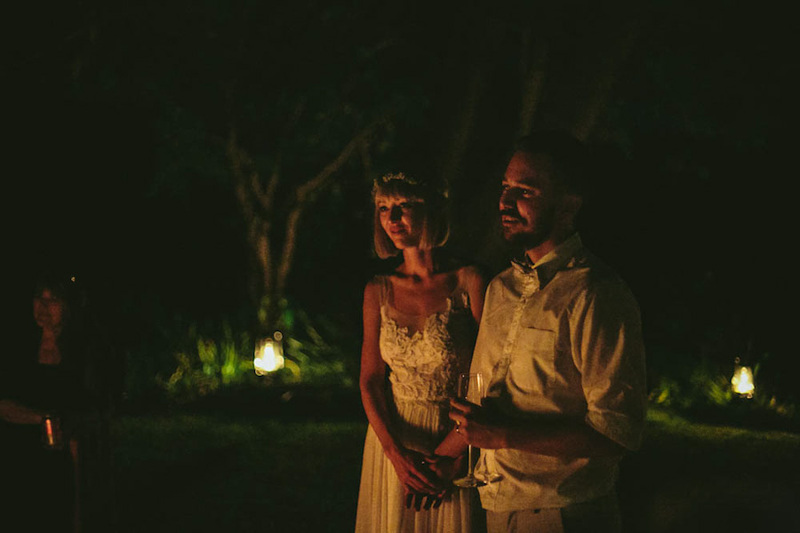 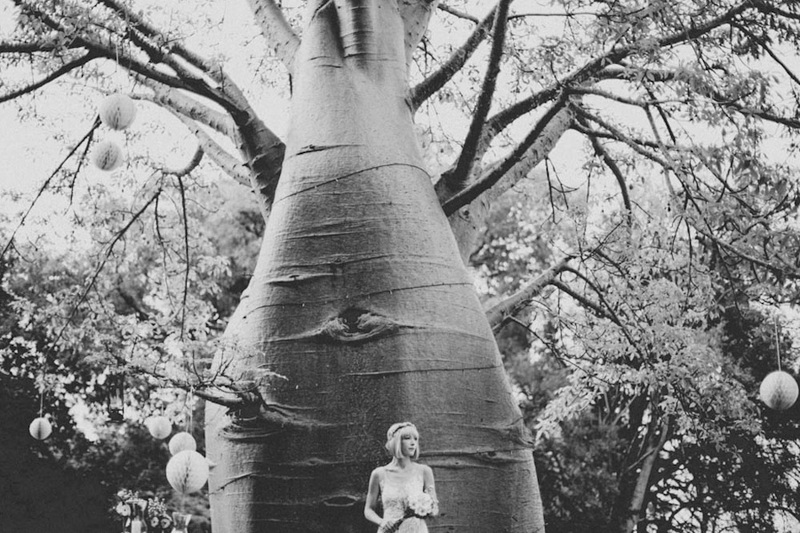 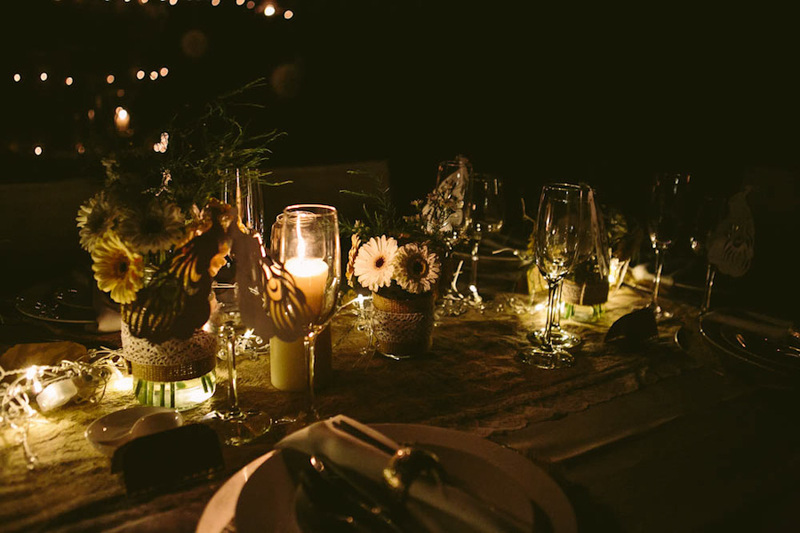 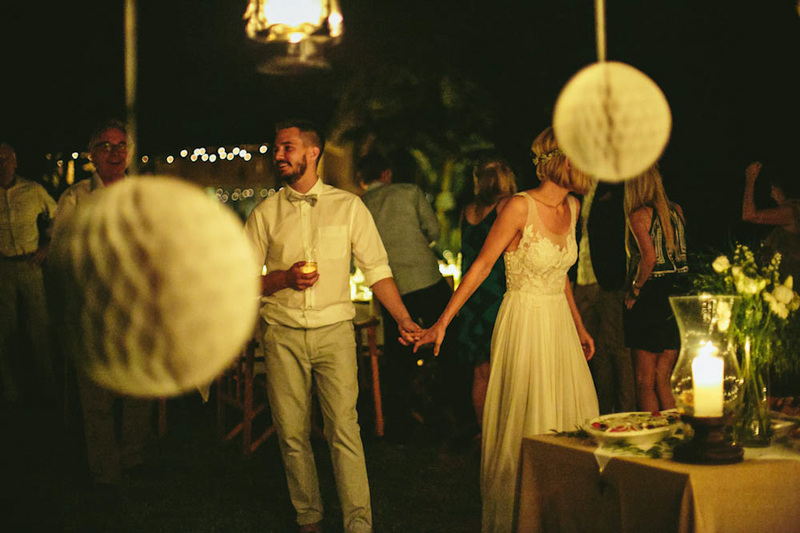 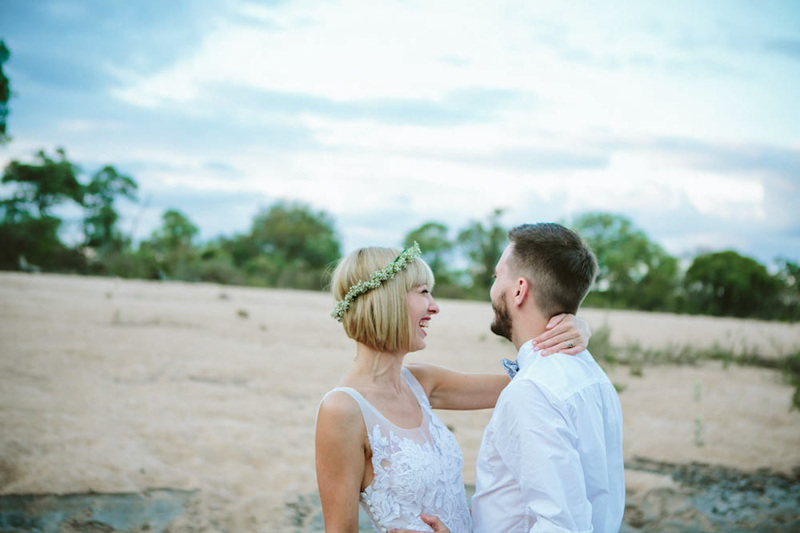 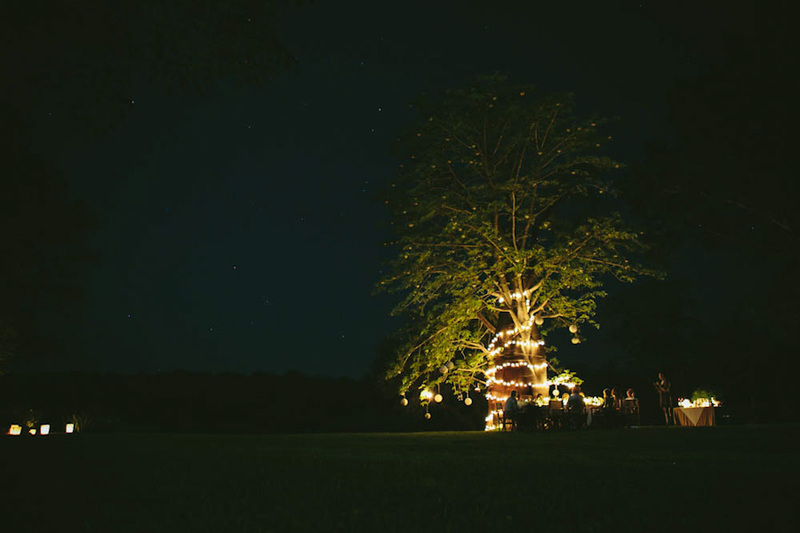 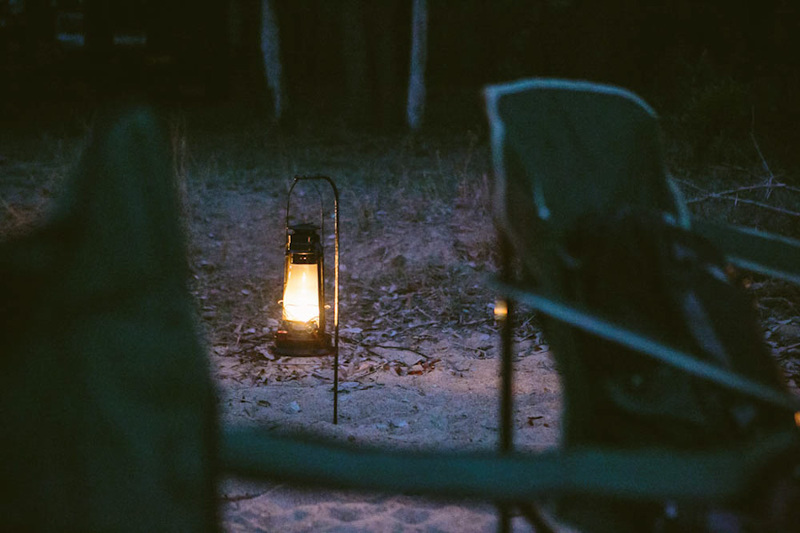 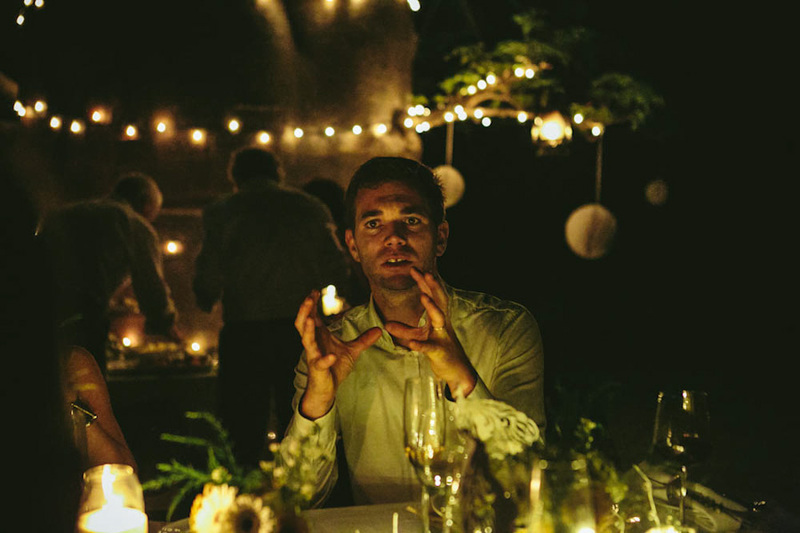 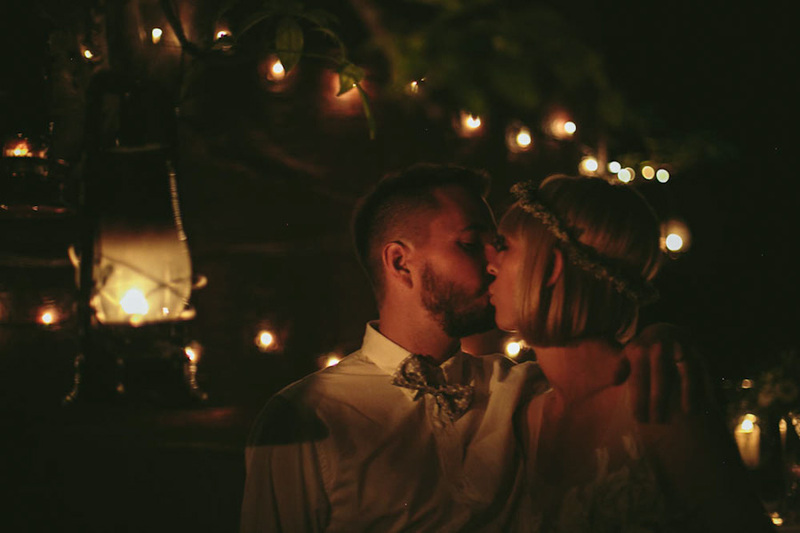 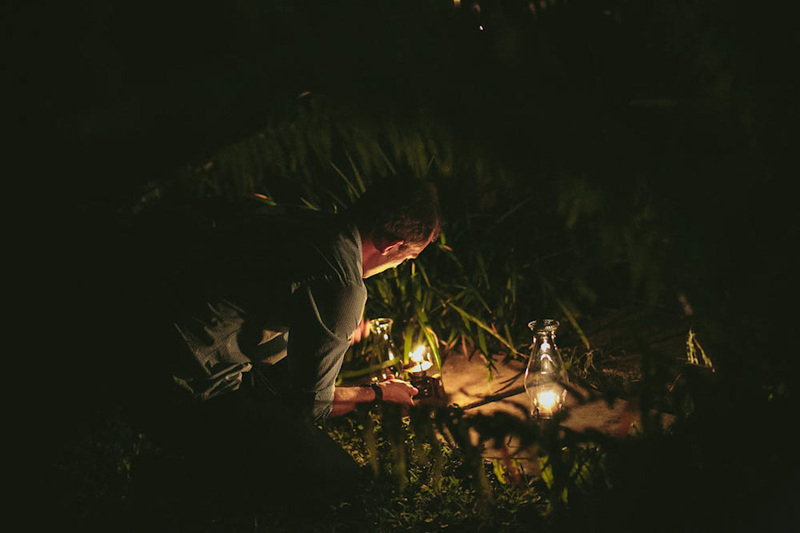 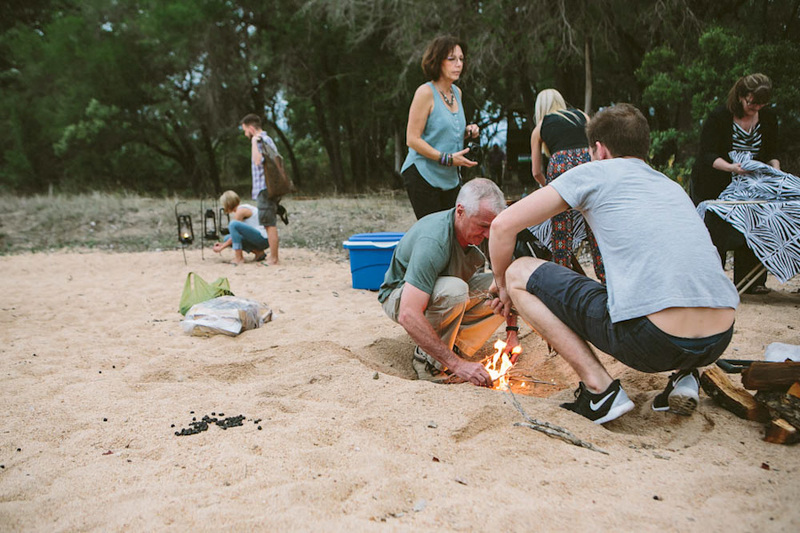 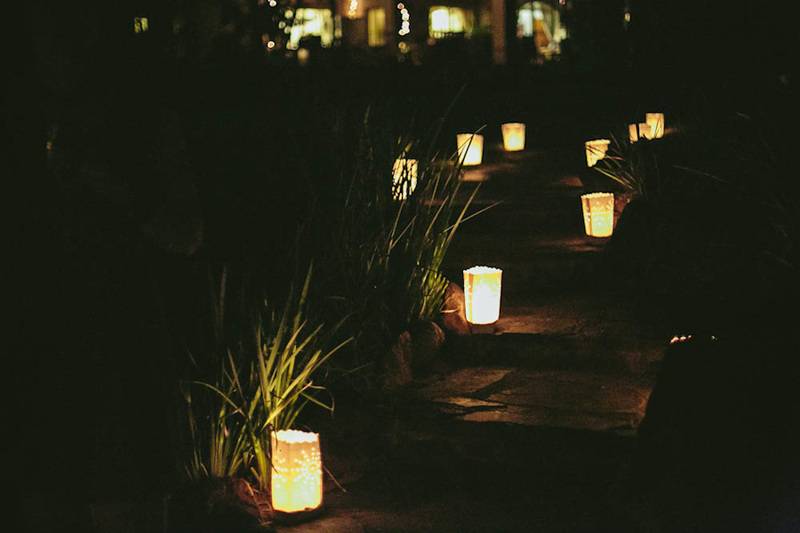 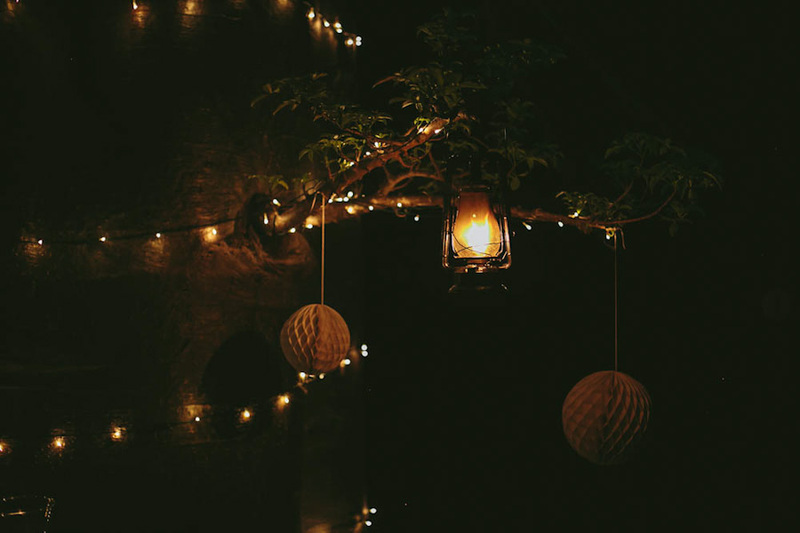 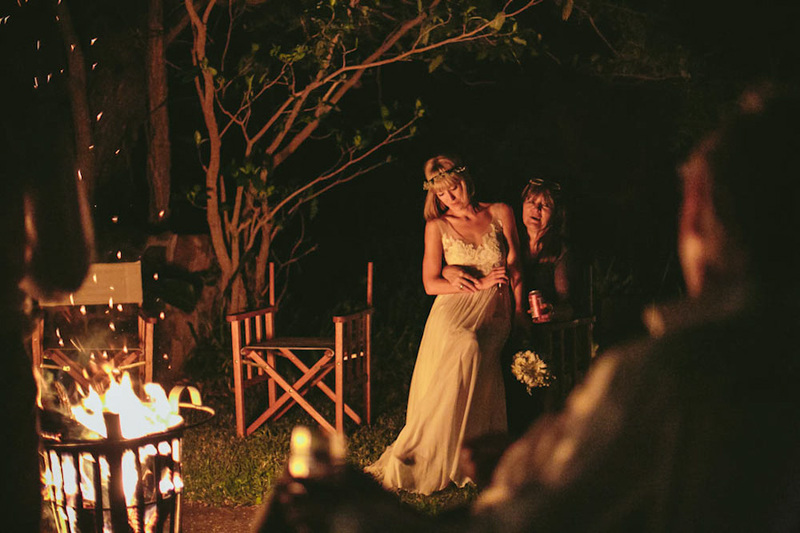 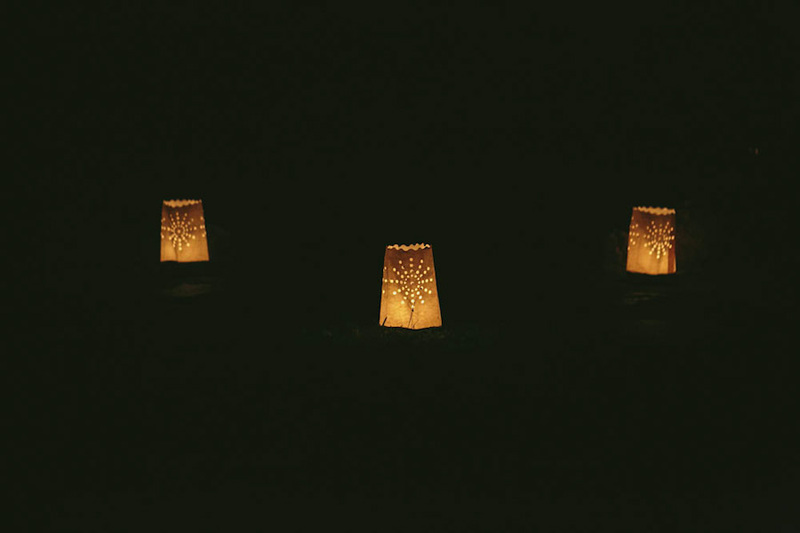 By the time we returned home, there was a fire going, all the fairy lights in the baobab were lit and Kerryn’s garden was transformed into a magical and romantic landscape. 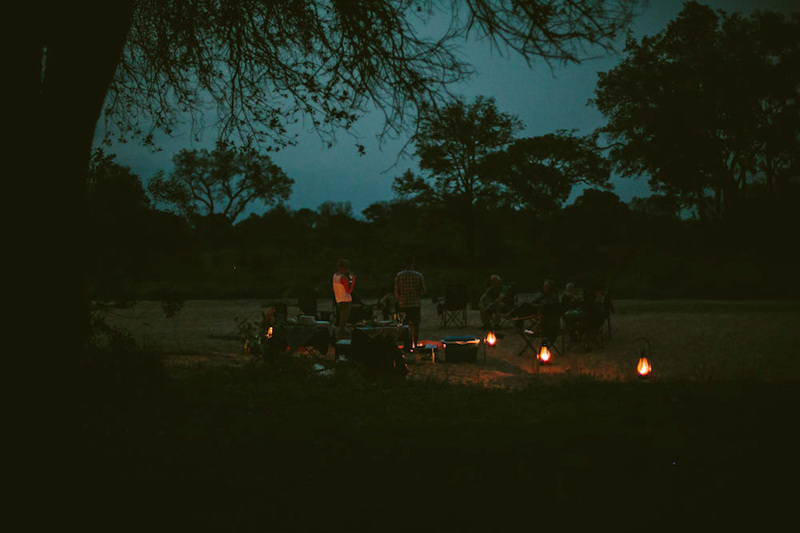 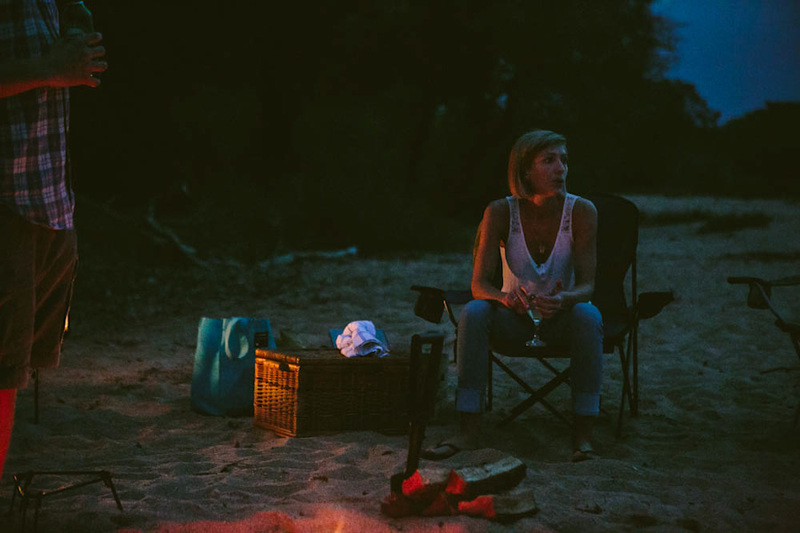 With the sound of buffalos across the river, the families gave impromptu speeches around the fire, lit only by the flames and the stars in the sky. 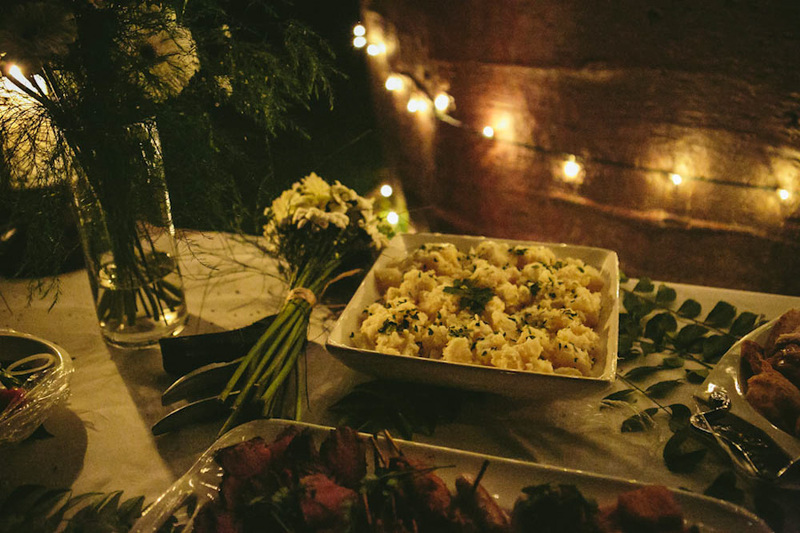 Dinner was relaxed and intimate with all the food being made by the family and included Kerryn’s mom’s famous potato salad (which was flipping amazing). 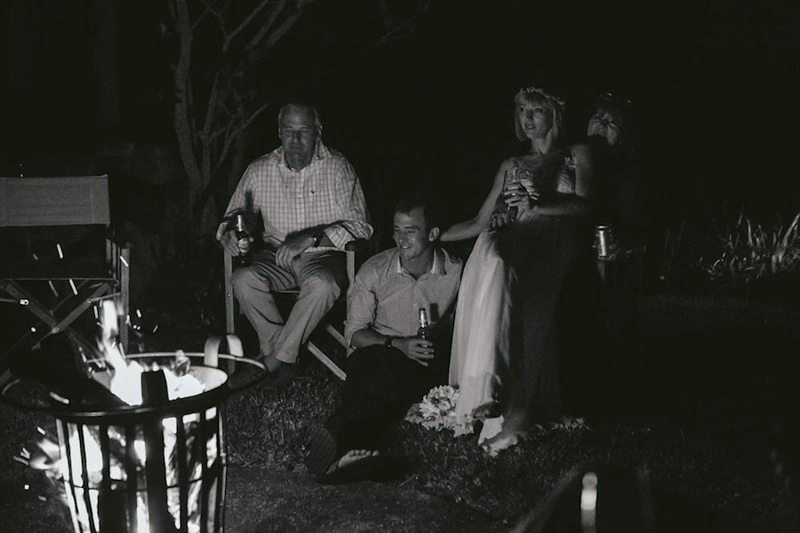 Watching these families share this meal and bond in their absolute love for their two newlyweds was something we felt beyond special to witness and even after we had left the families sitting around the fire chatting and laughing we felt a glow of knowing we had shared in something so special and so wonderful. 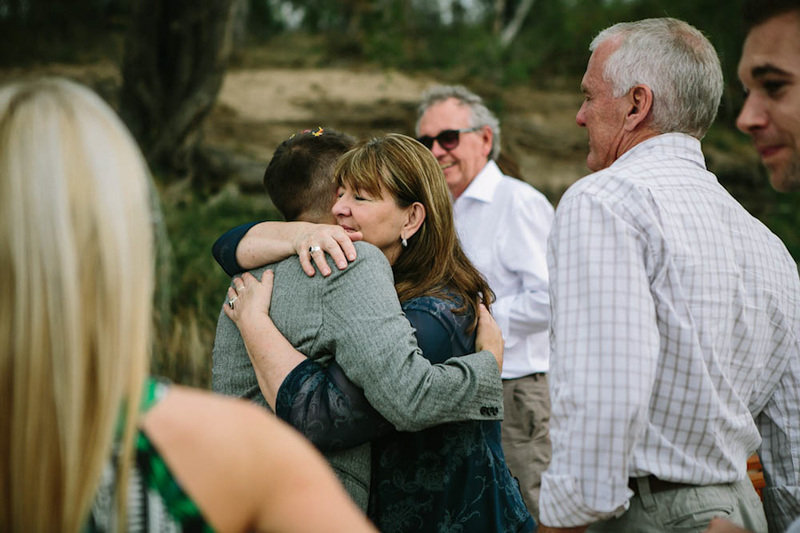 Thank you so much to Kerryn, Jeff, the Maggs and Tyser families for letting us share this day with you. 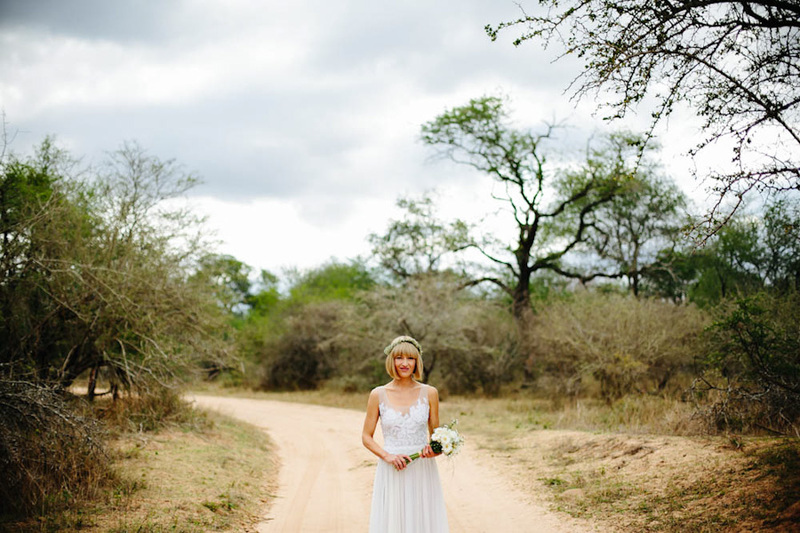 soooo gorgeous!!! 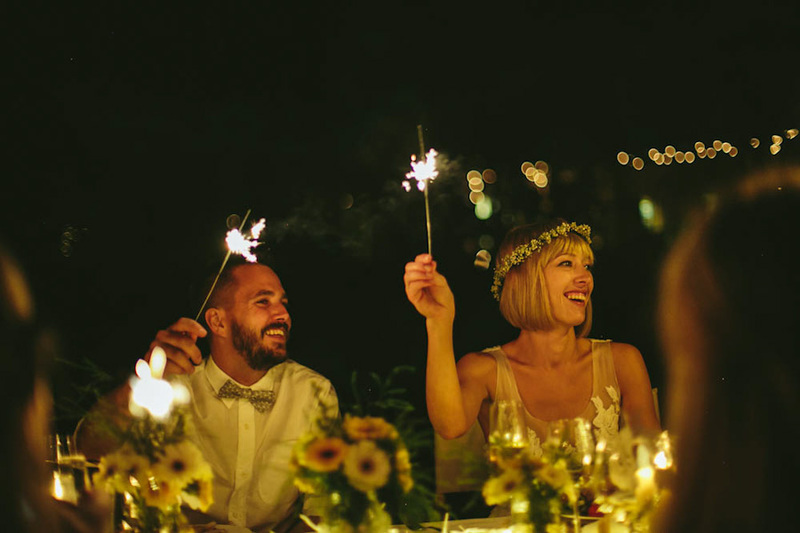 wishing you lots of happiness together!